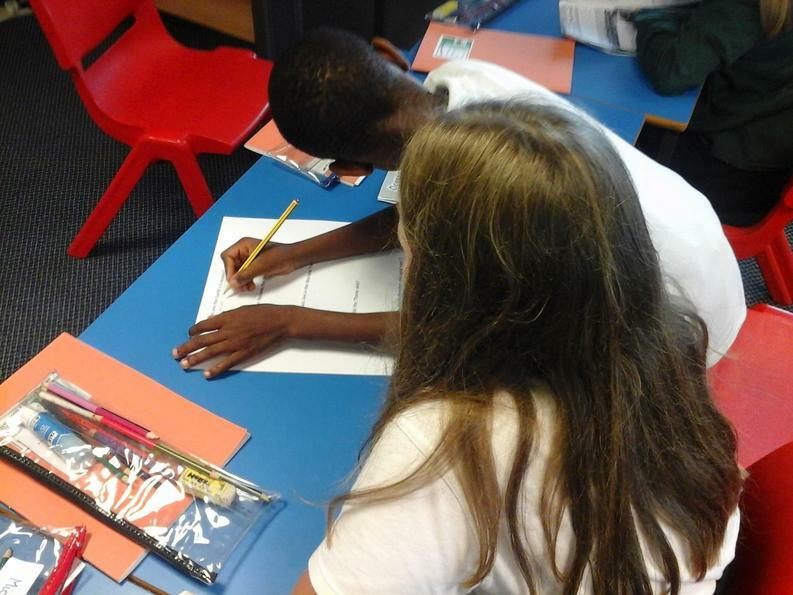 At Westwood, we aim to consistently provide a culture of creativity and inspiration for our children. 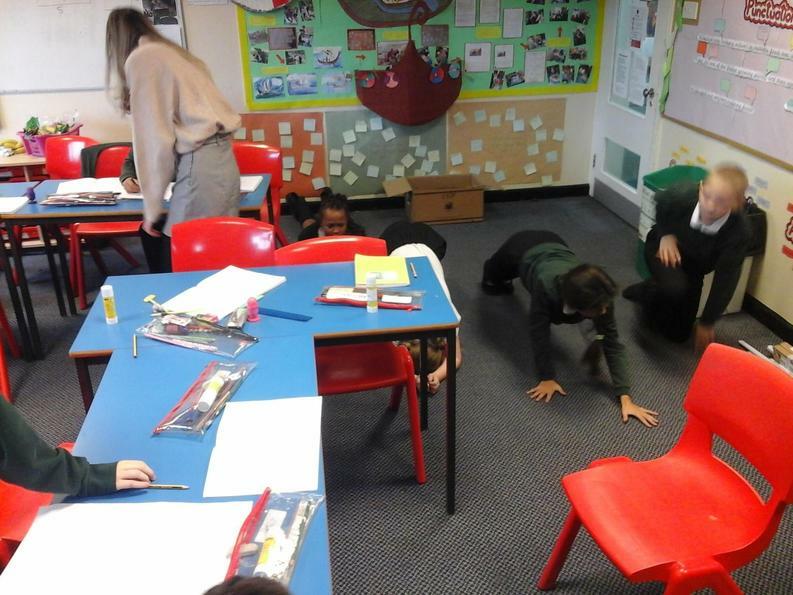 We are always looking for different strategies to raise children's attainment and attitudes as well as their physical health and emotional well being. 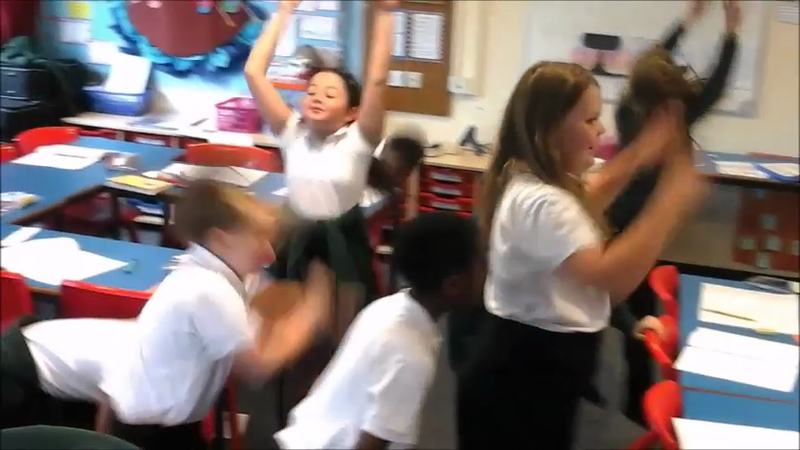 That's why this year all our staff are adopting BURN2LEARN as a way to enthuse, excite and engage children in the classroom! 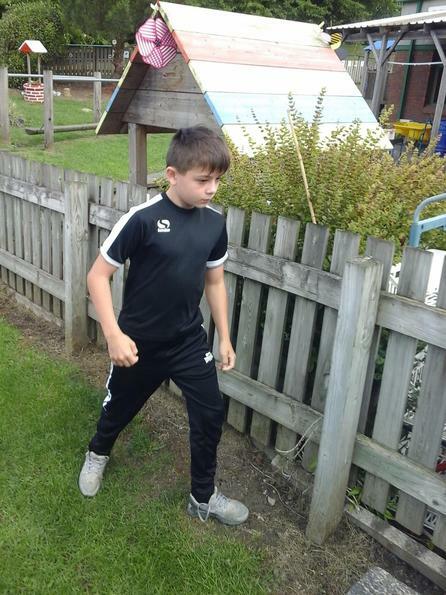 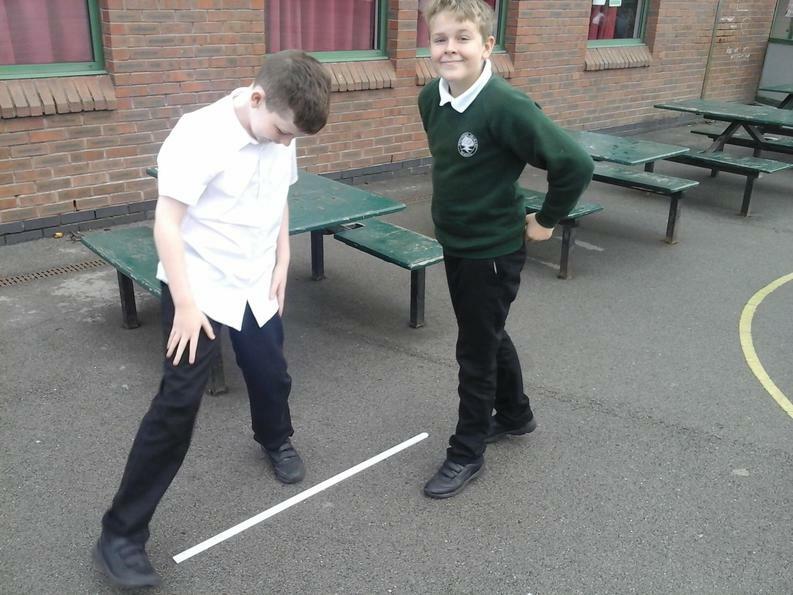 This physically active learning approach is delivered across all subjects and strives to get the children off their seats, not only as a way to raise attainment but improve children's health, communication and leadership skills. 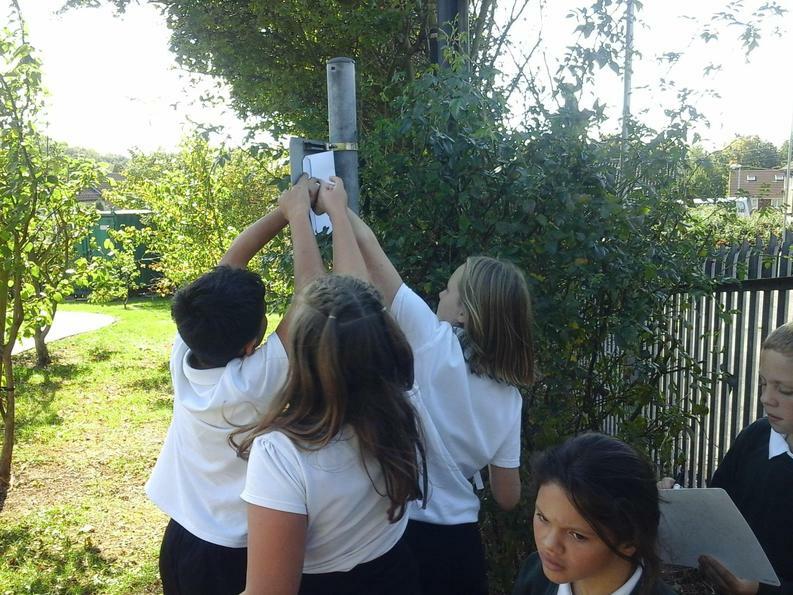 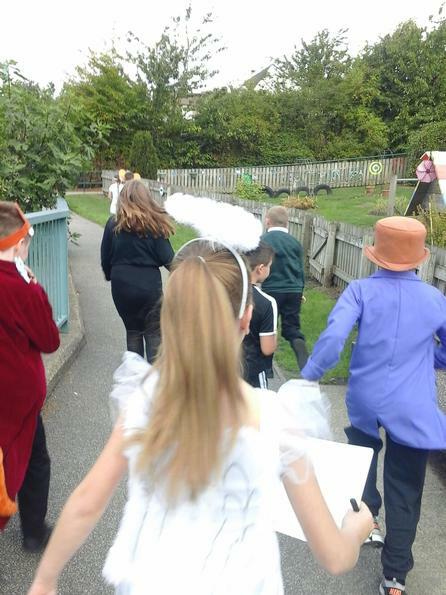 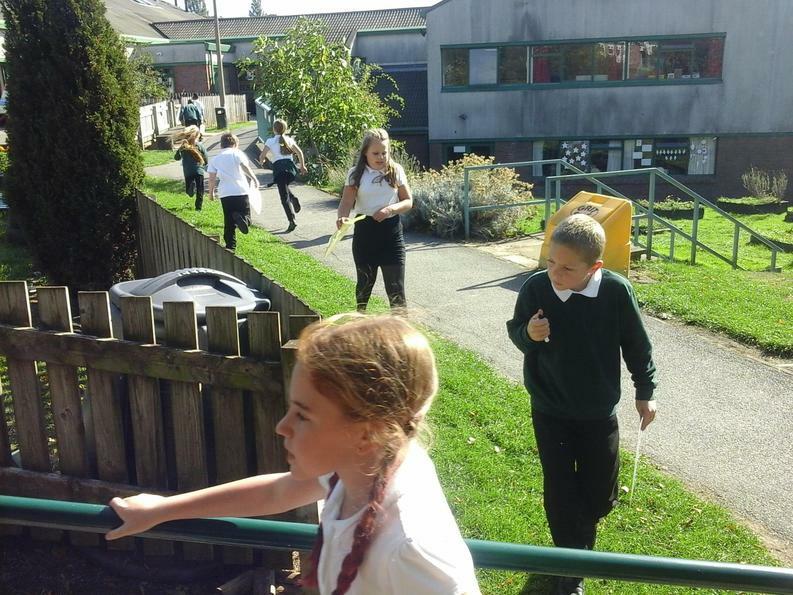 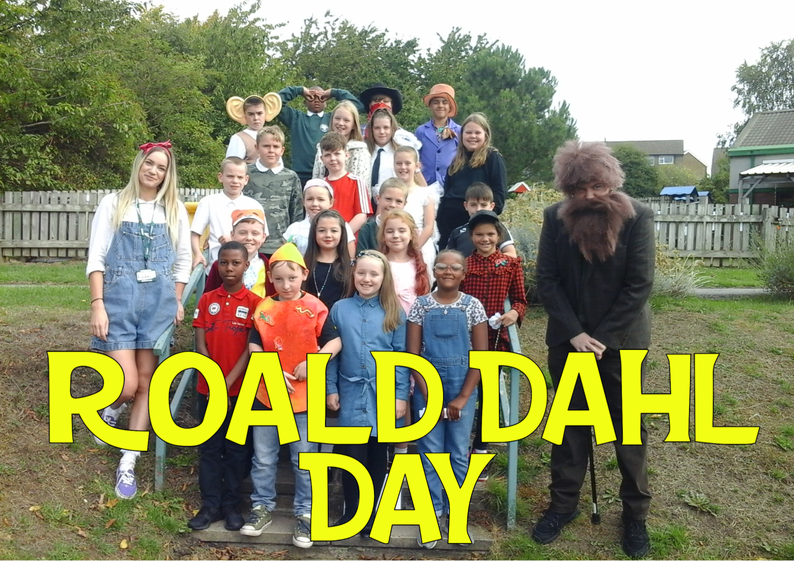 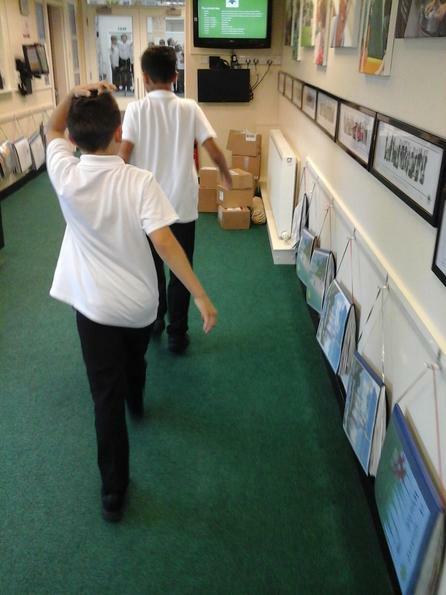 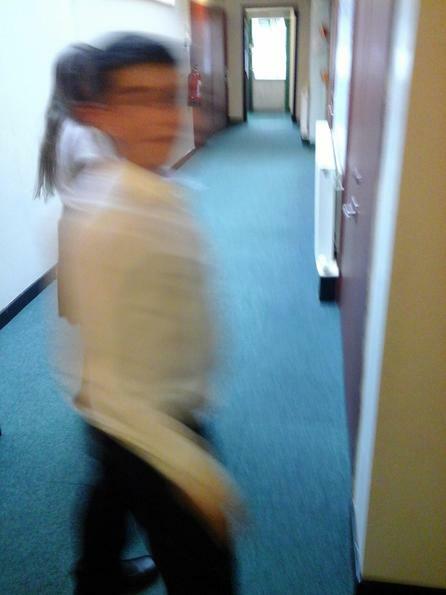 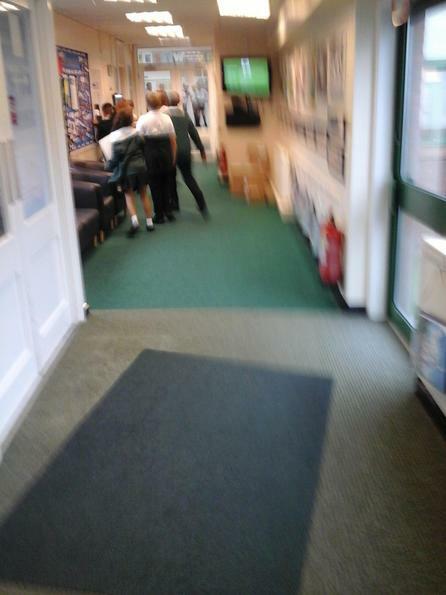 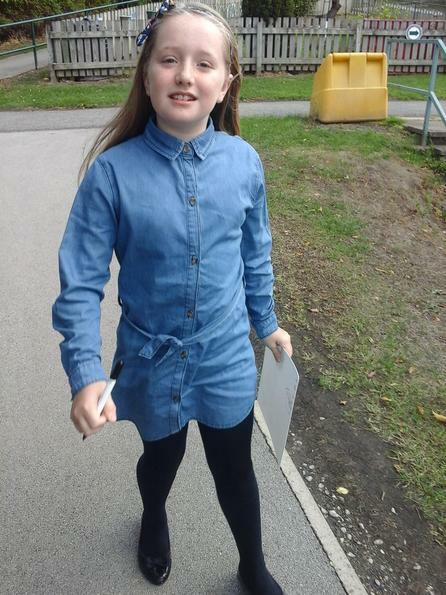 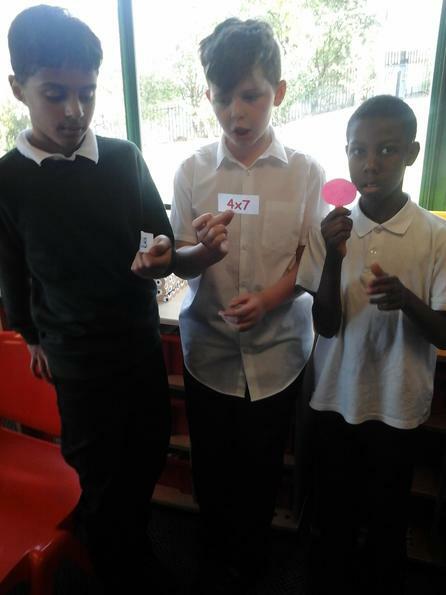 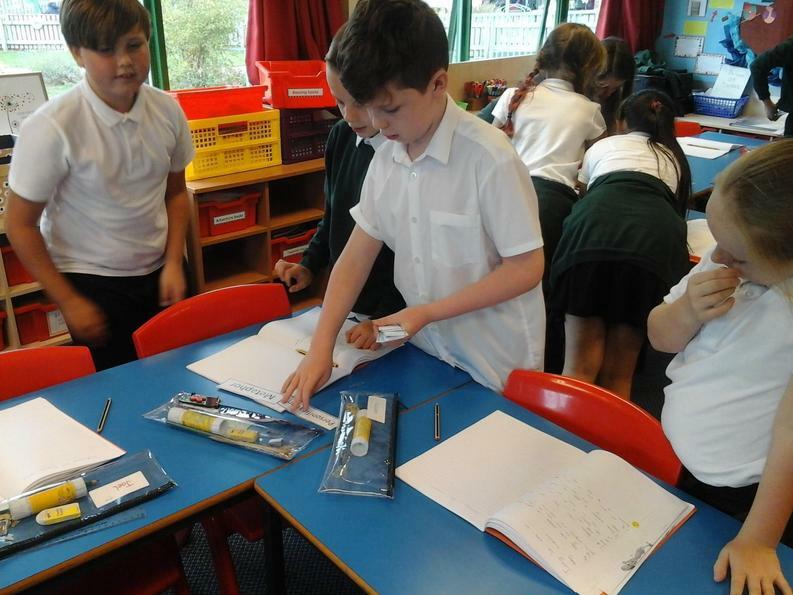 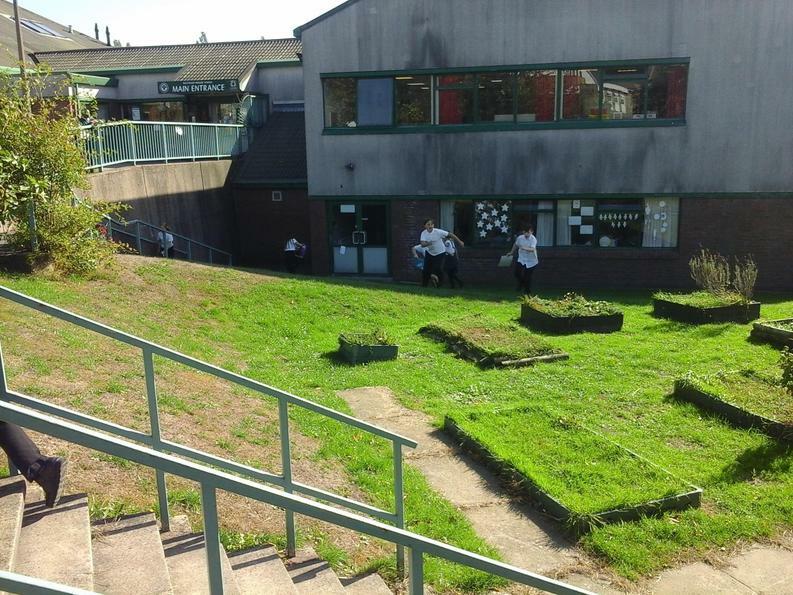 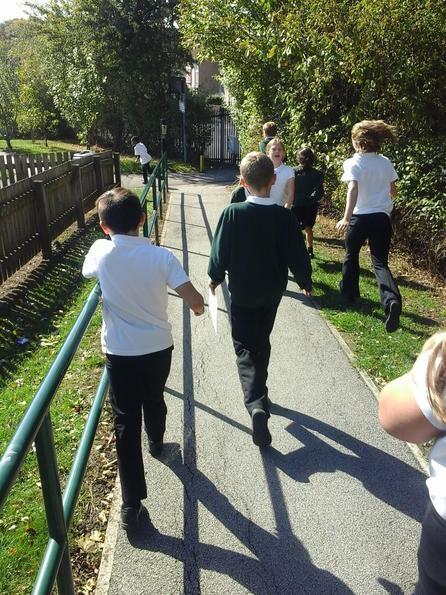 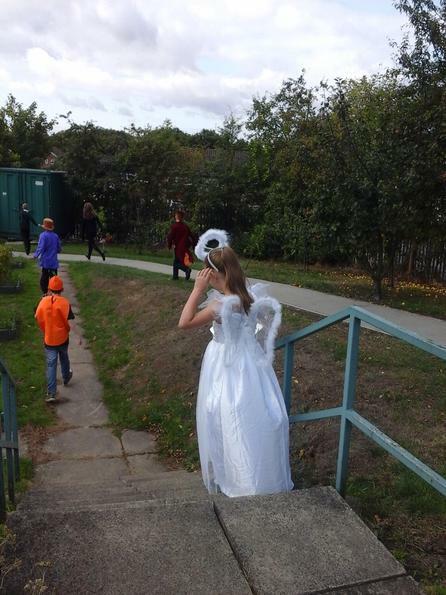 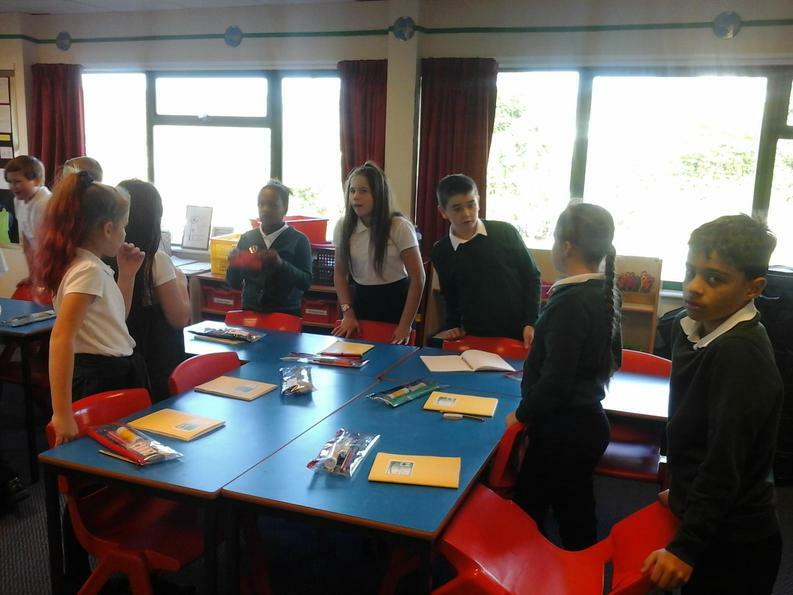 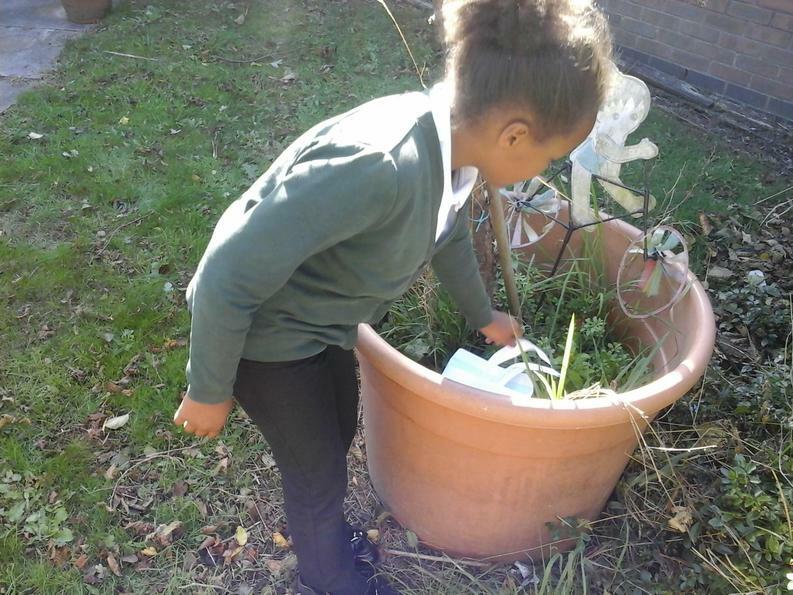 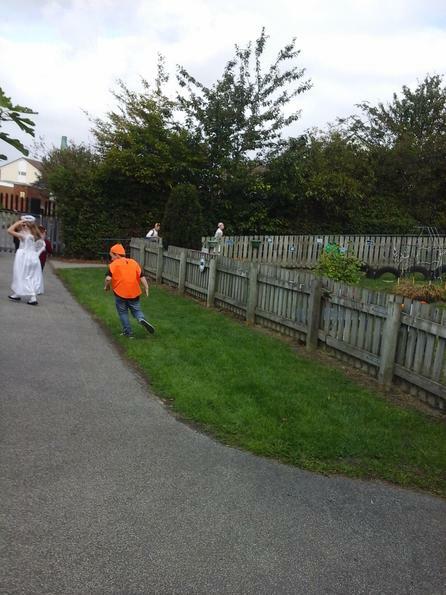 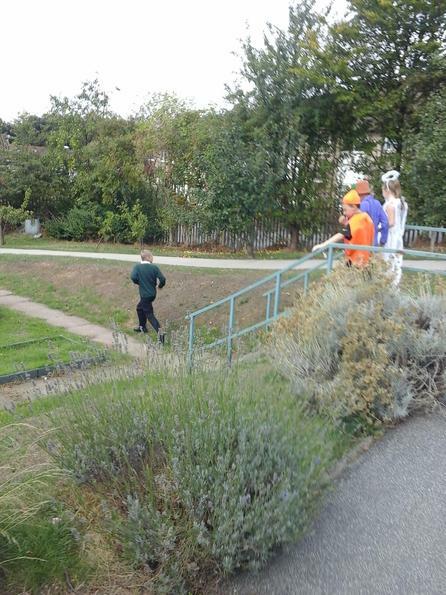 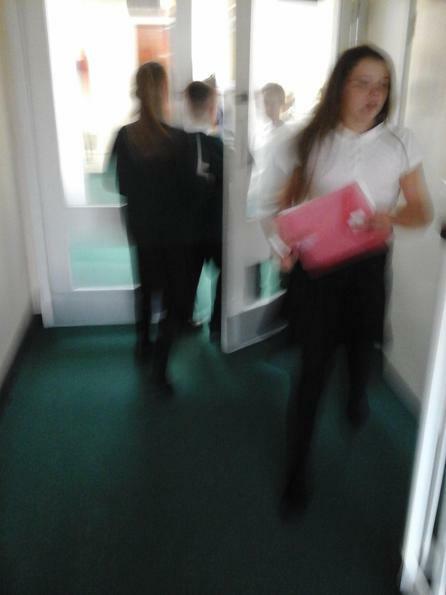 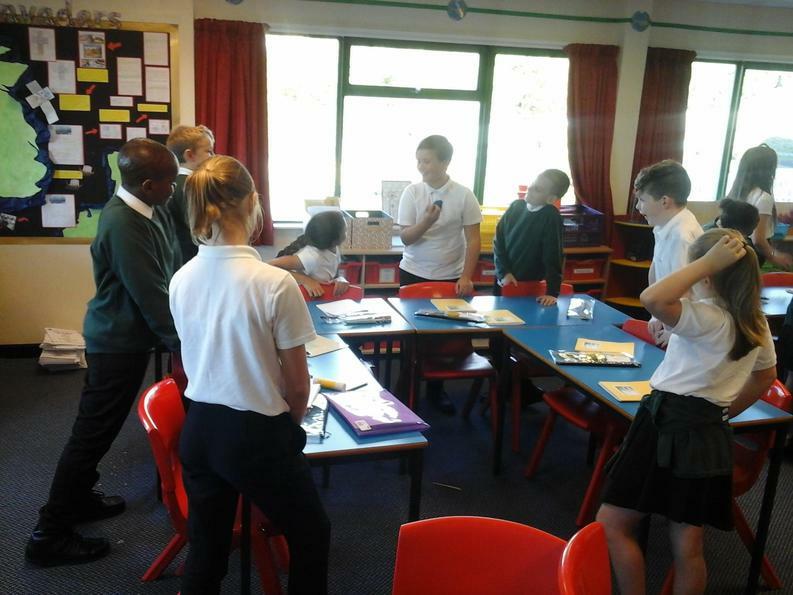 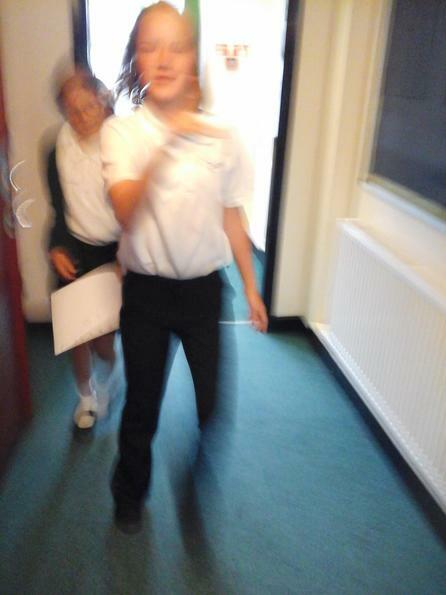 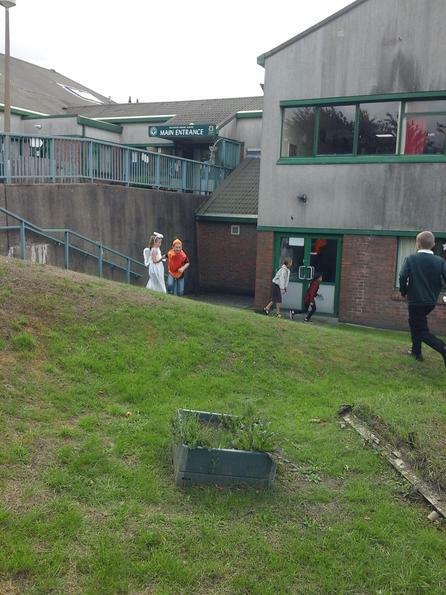 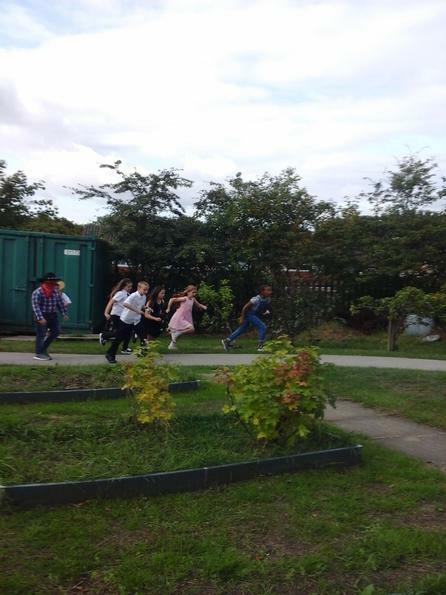 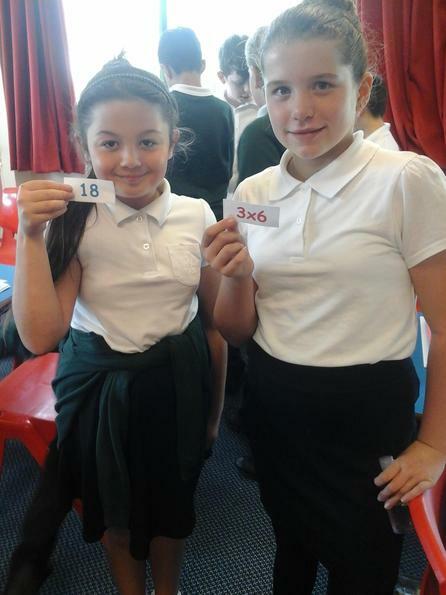 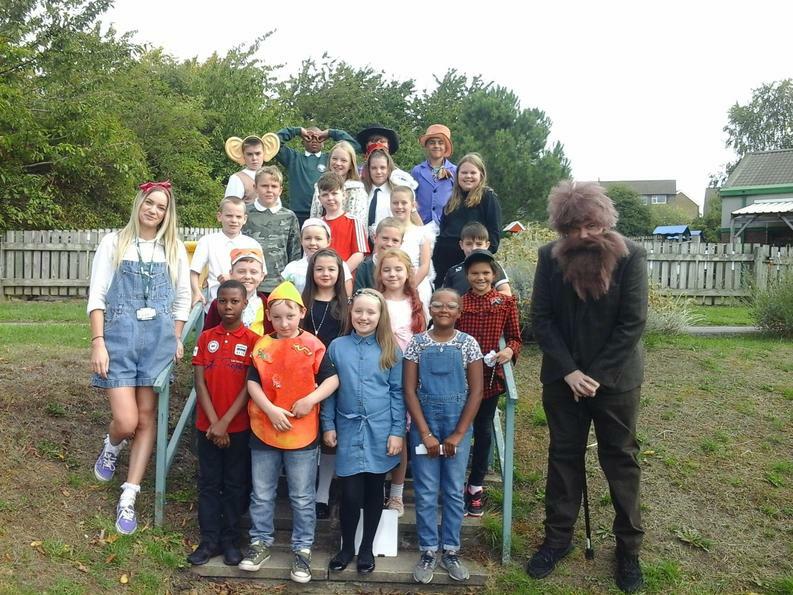 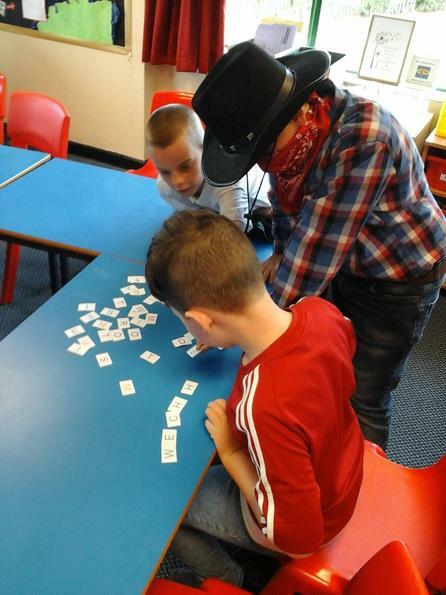 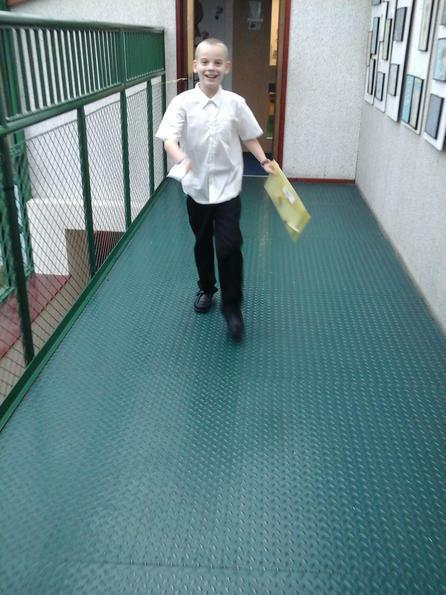 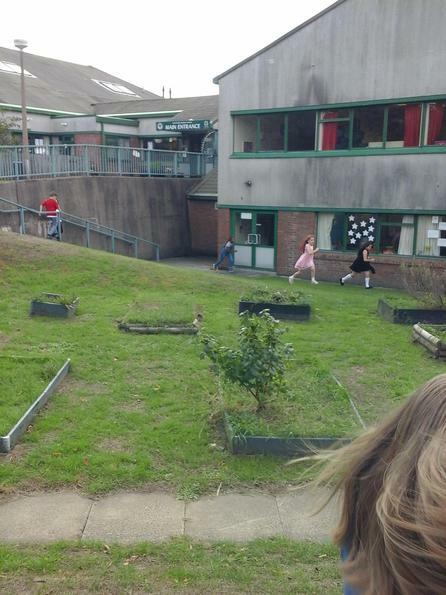 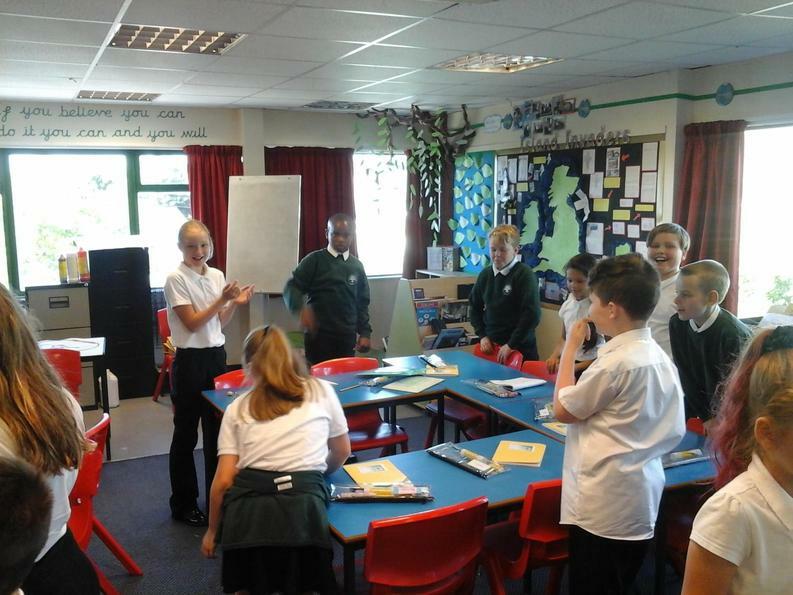 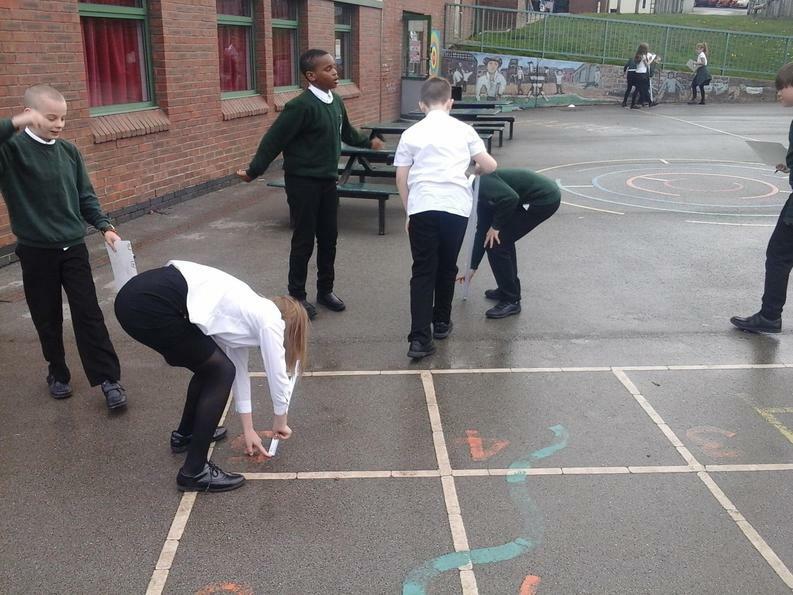 Children can often be seen running outside and through the school completing cross - curricular orienteering activities, throwing and catching balls in the classroom to improve their times table knowledge or even taking part in figurative language relays! 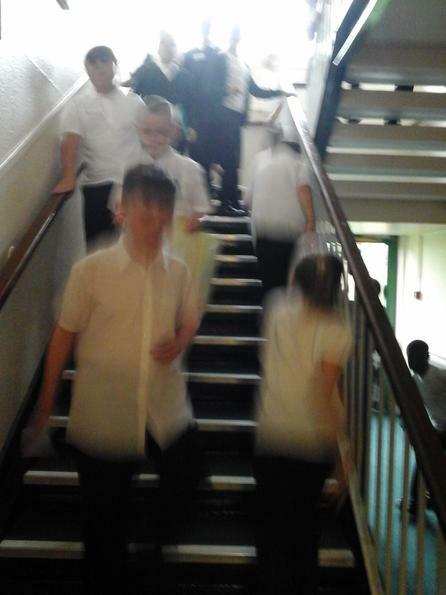 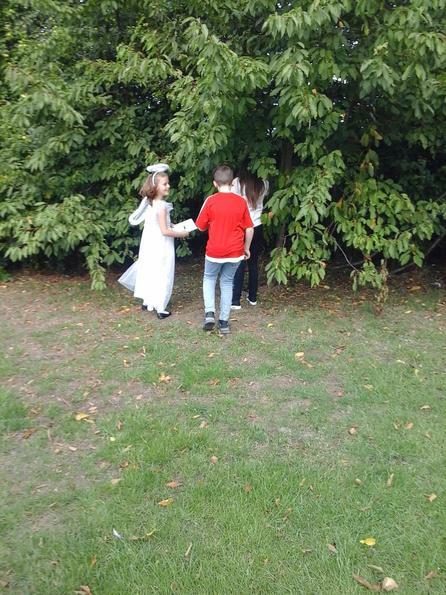 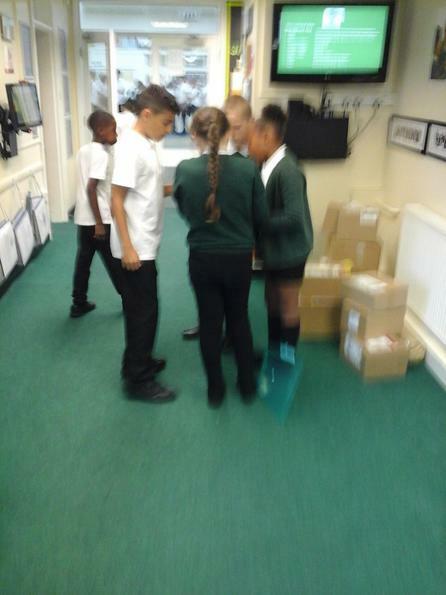 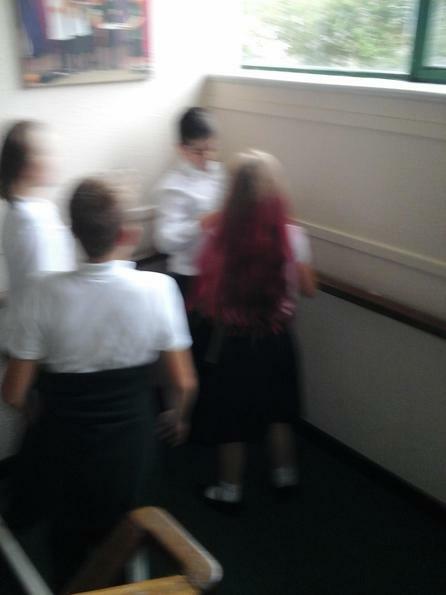 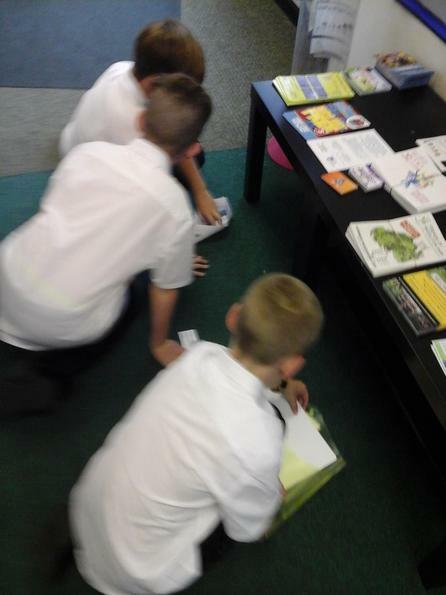 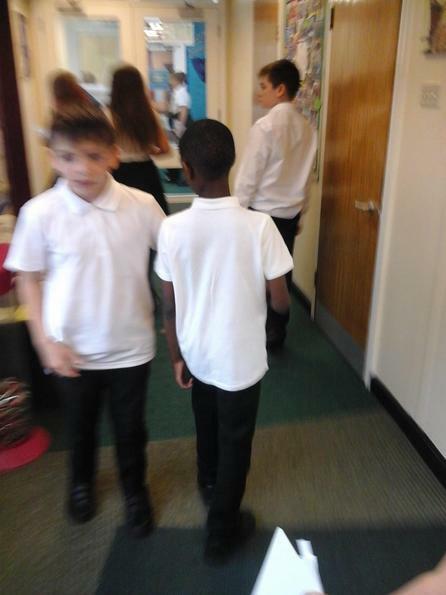 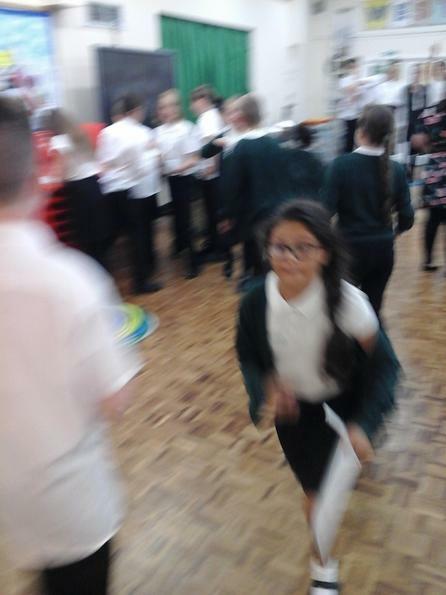 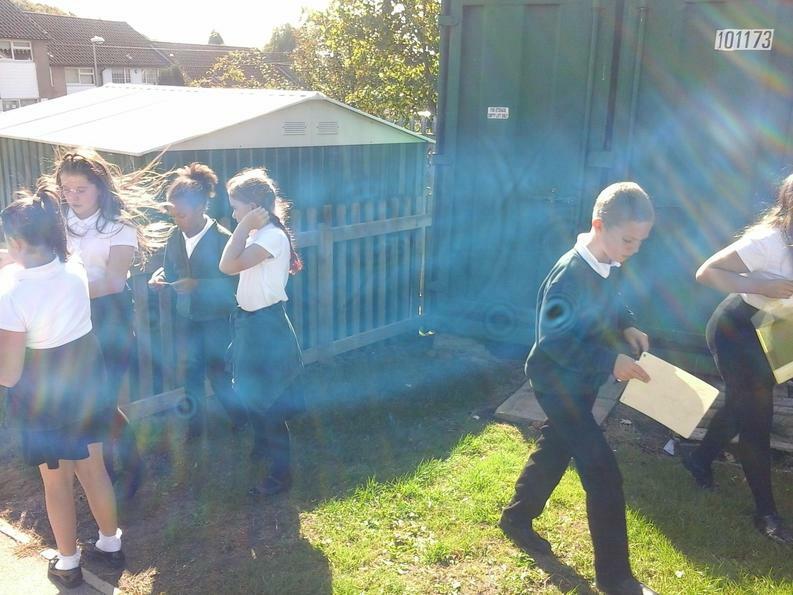 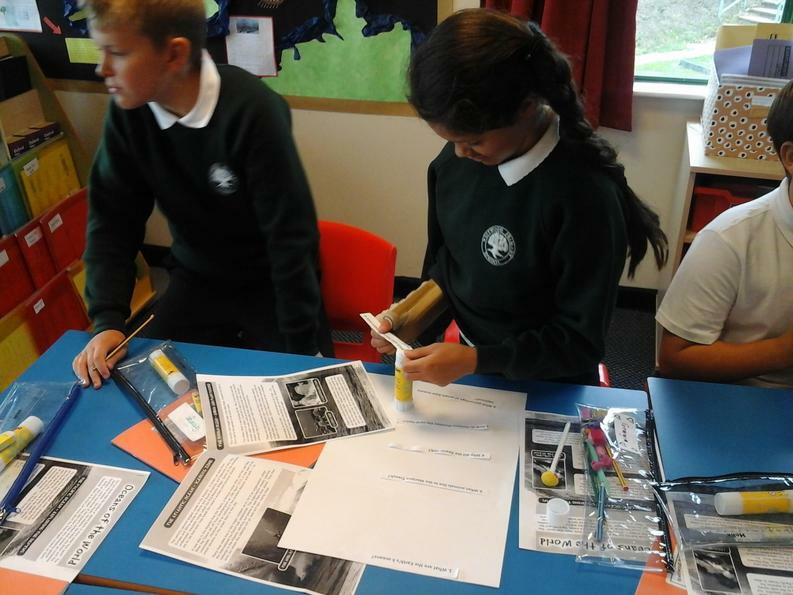 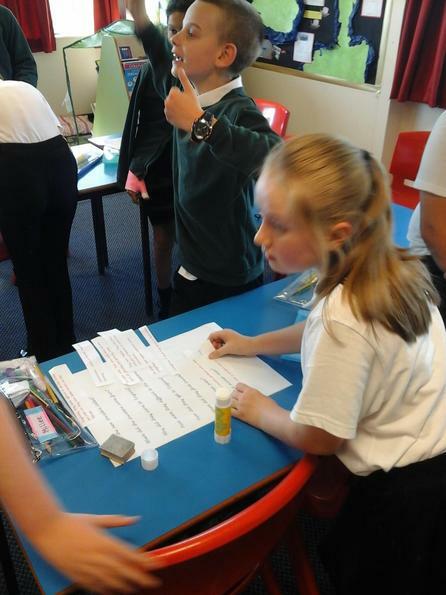 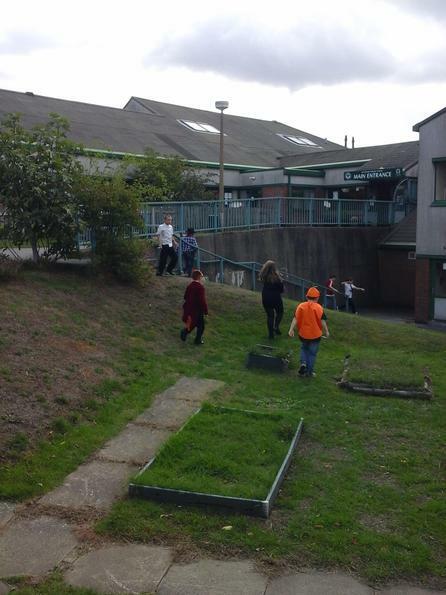 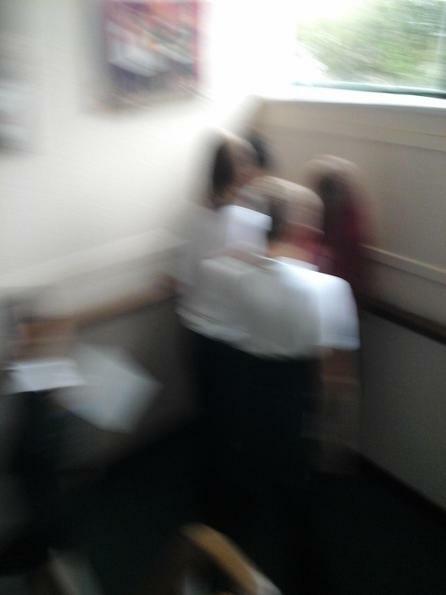 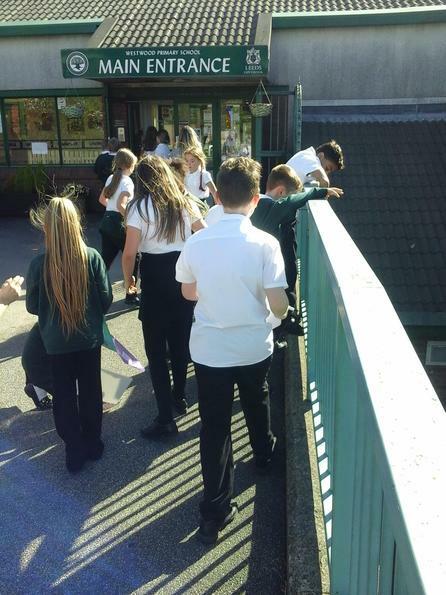 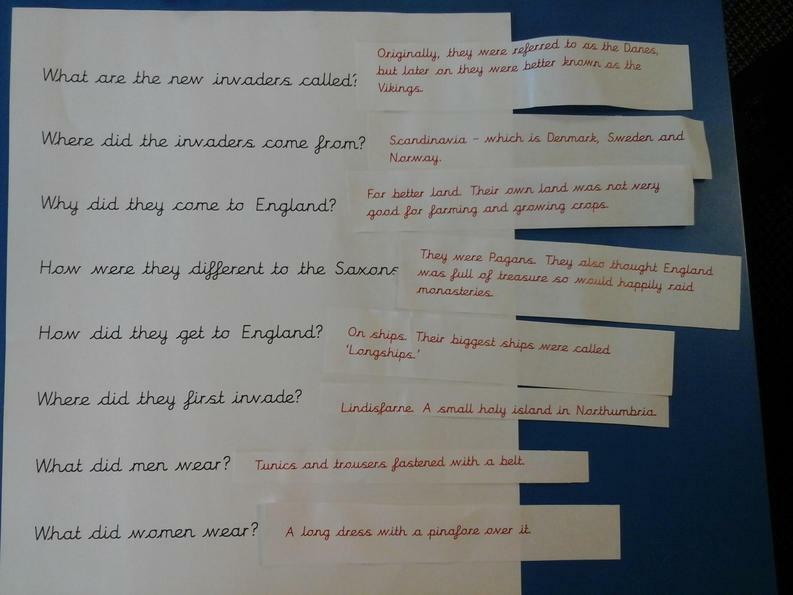 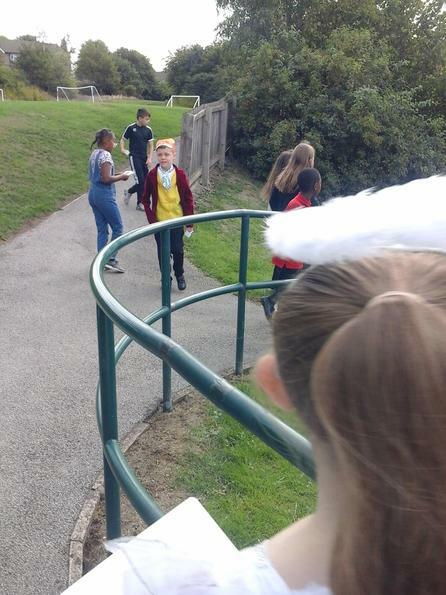 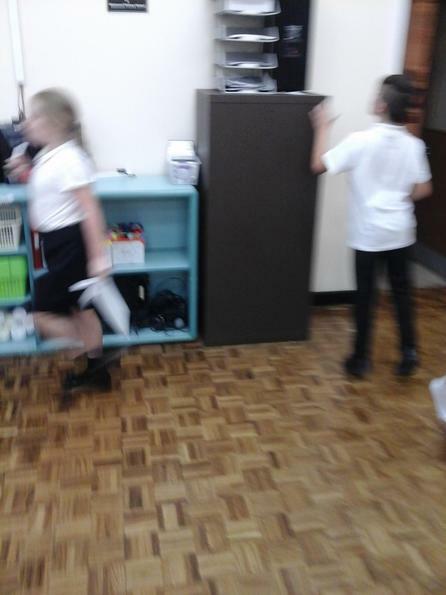 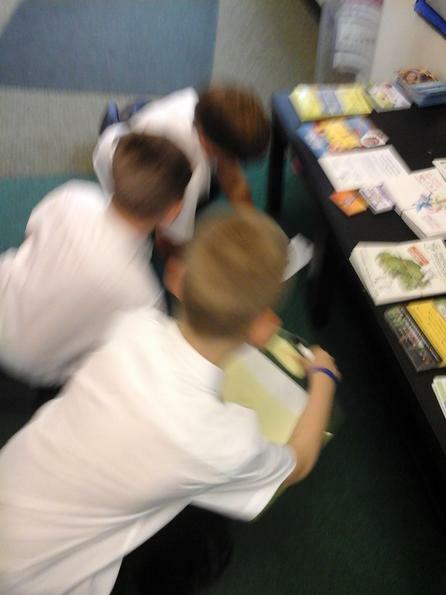 Our first Burn2Learn of the year involved a scavenger hunt searching for 10 facts about the Anglo-Saxons which were hidden all around school. 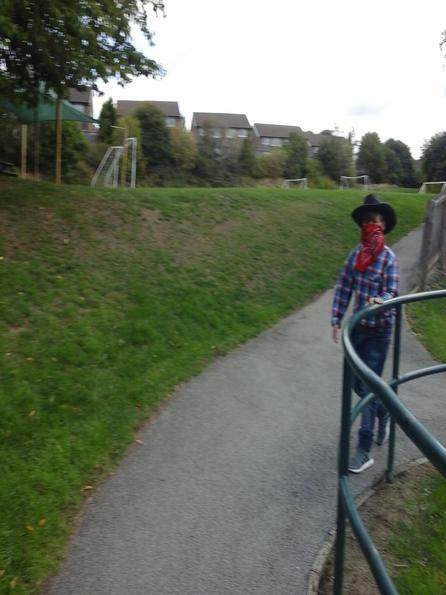 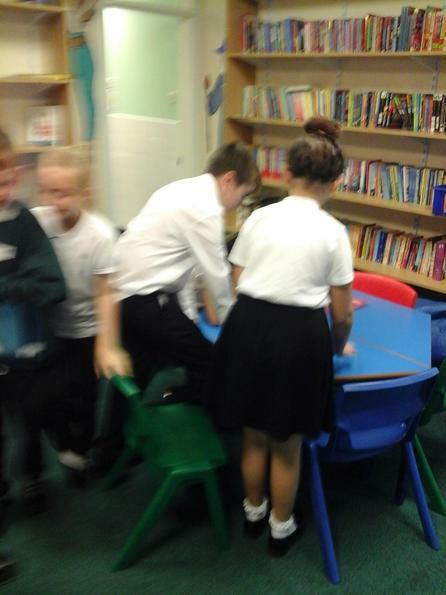 This time Mr McKittrick had been a bit mean and some of the facts were almost impossible to find! 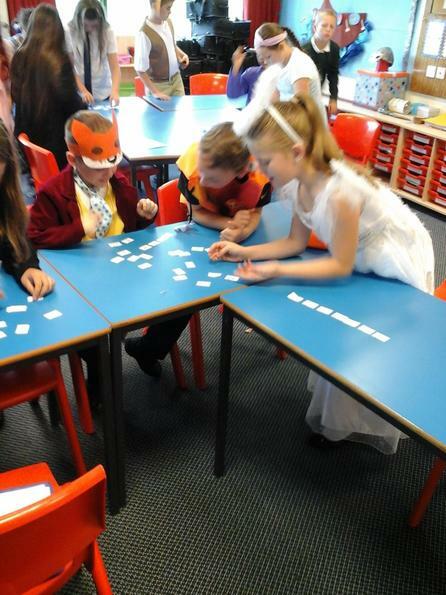 Our second Burn2Learn was a jigsaw-like task where, each time the music stopped, the children had to put the pieces back together. 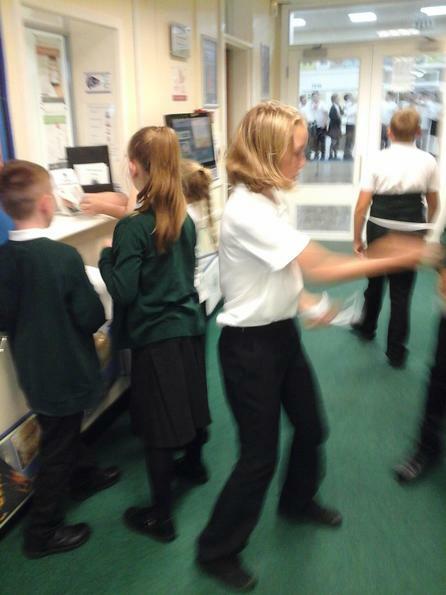 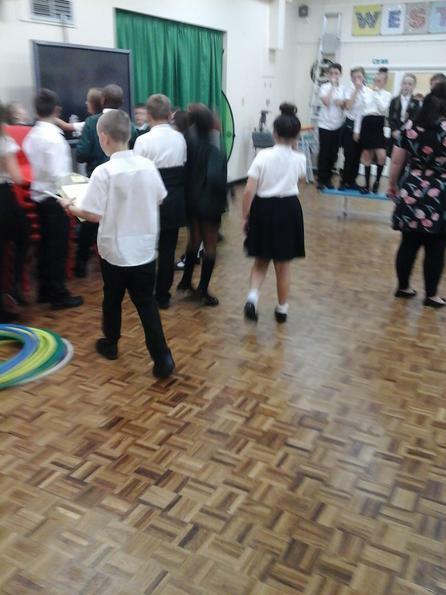 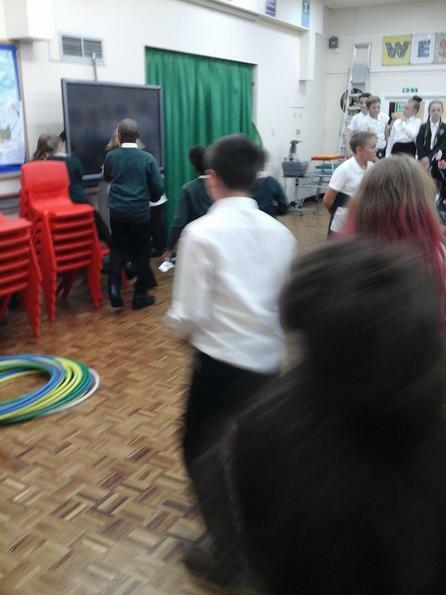 When the music was play the children had to do exercises like star jumps, press-ups and the conga! 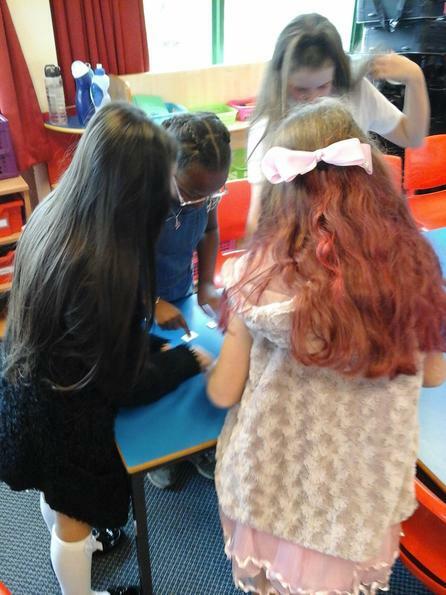 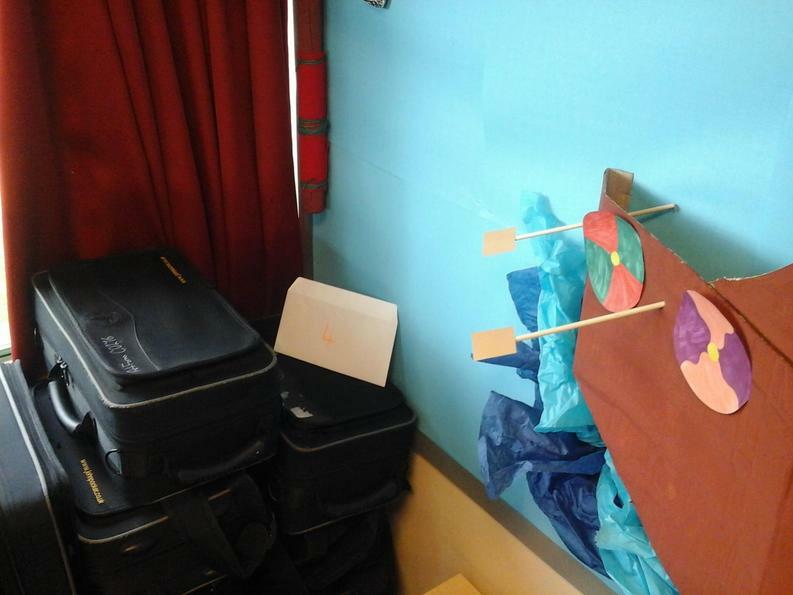 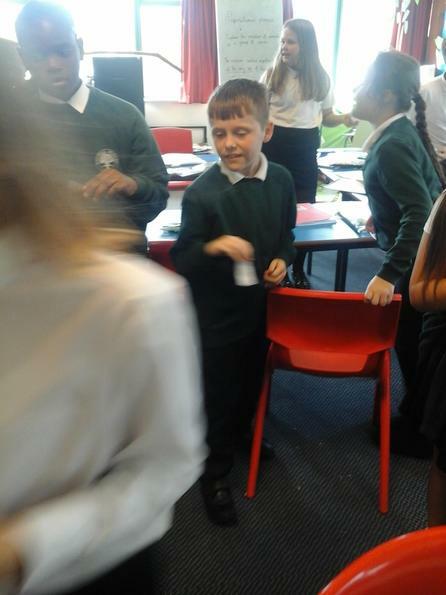 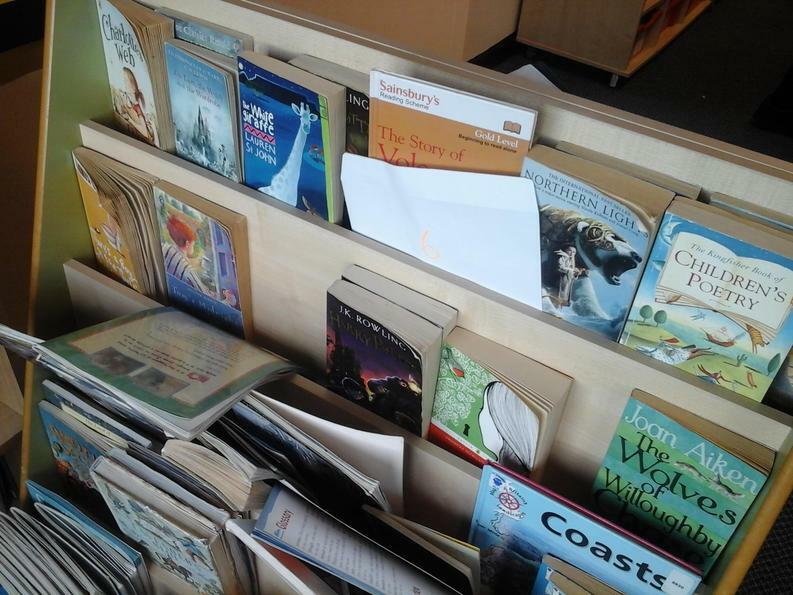 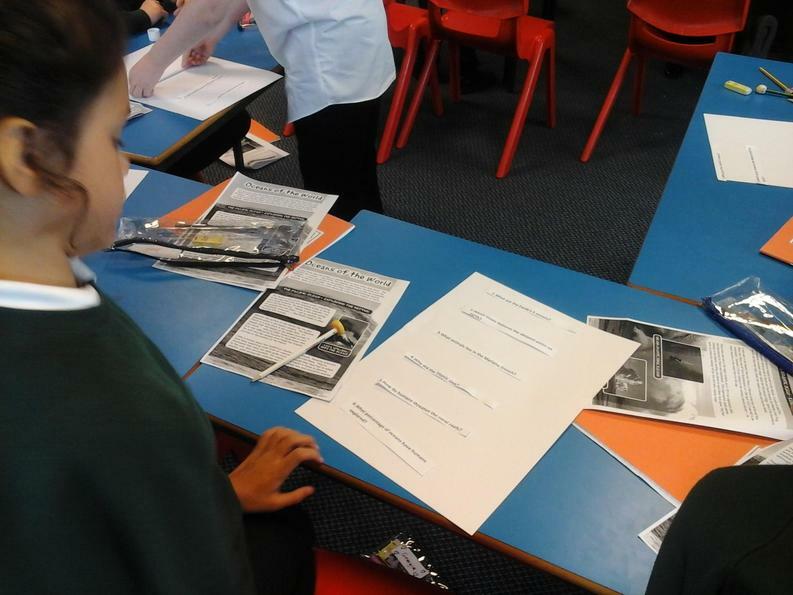 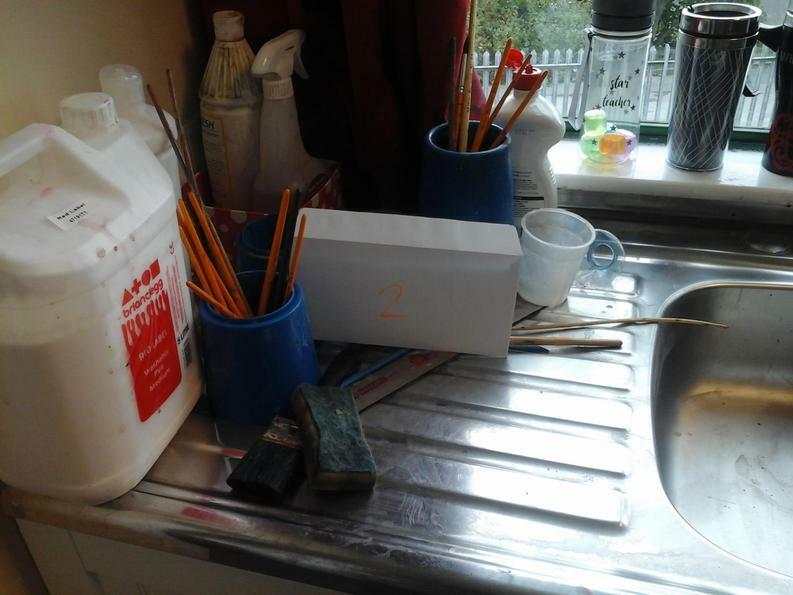 After reading our text, Oceans of the World, the children's task was to find six envelopes scattered around the classroom, each one containing a question about the text. 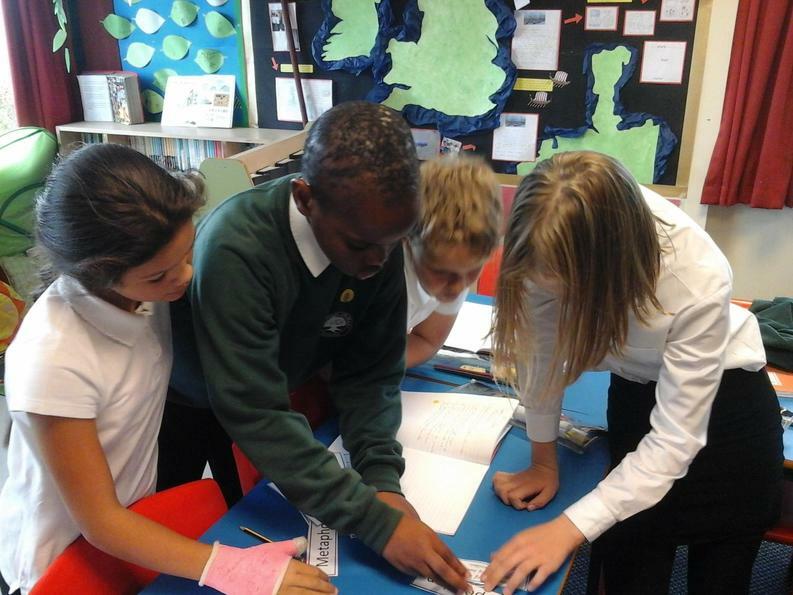 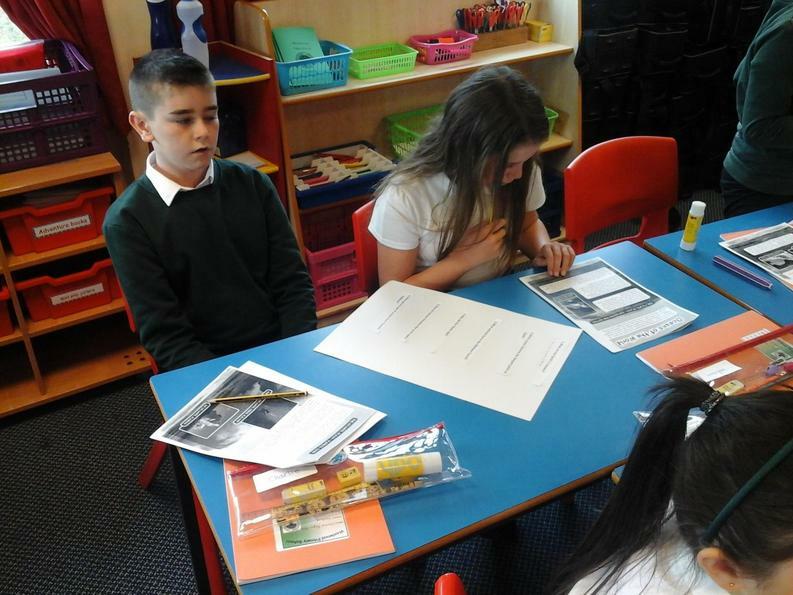 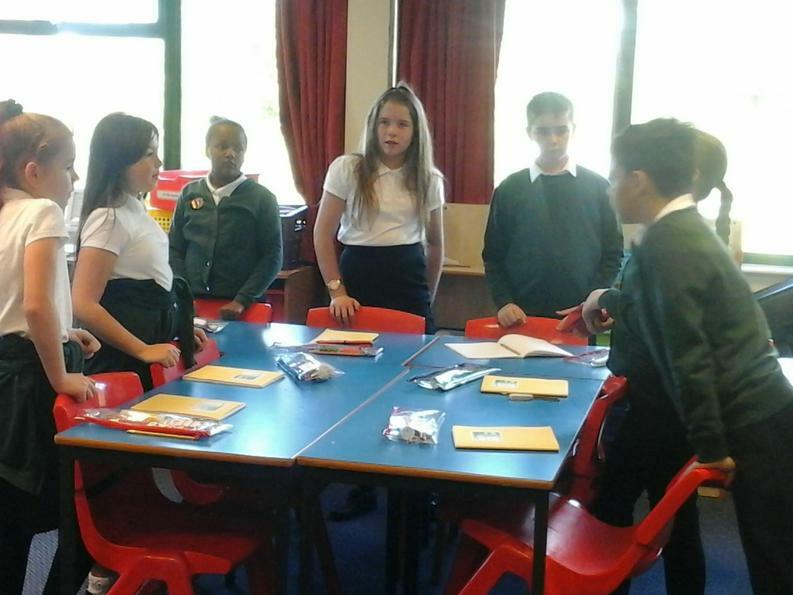 Once all six were found, they had to answer the questions using the information in front of them. 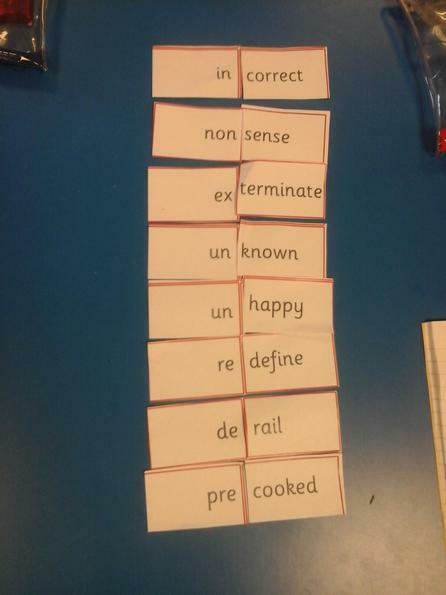 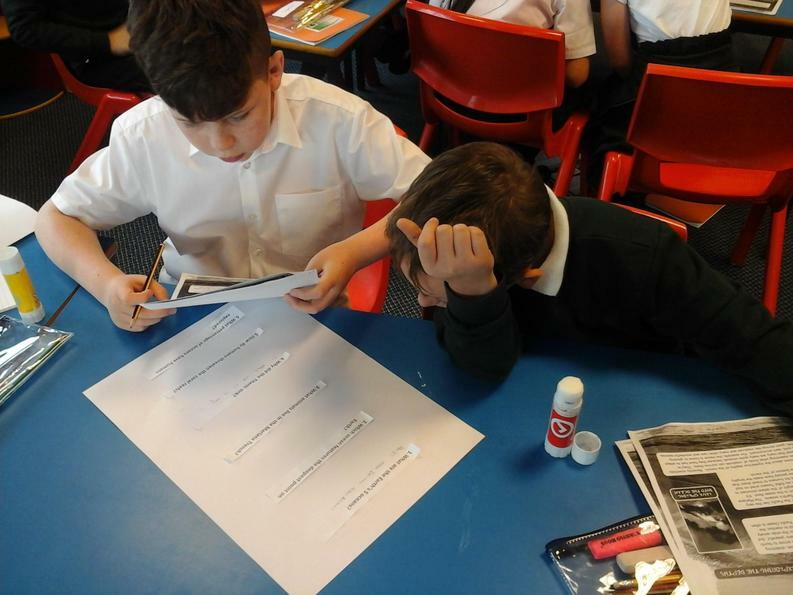 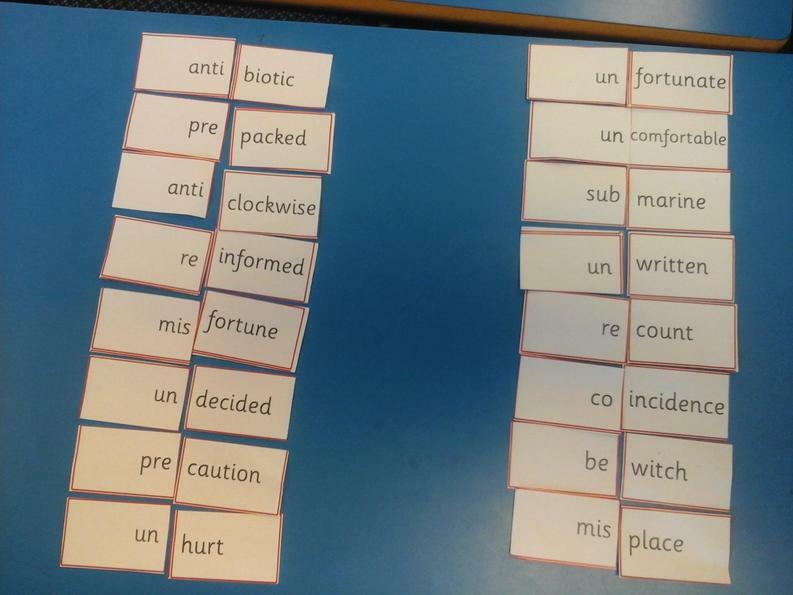 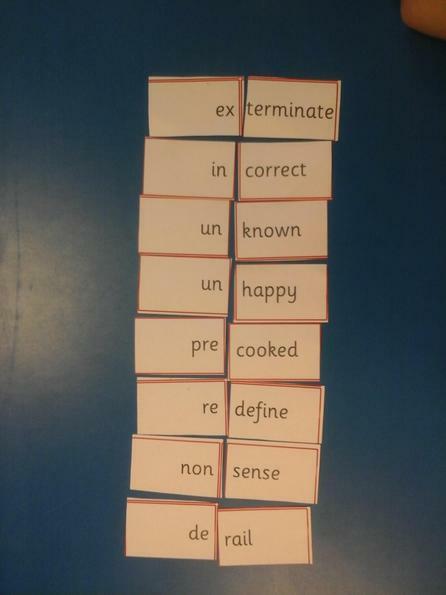 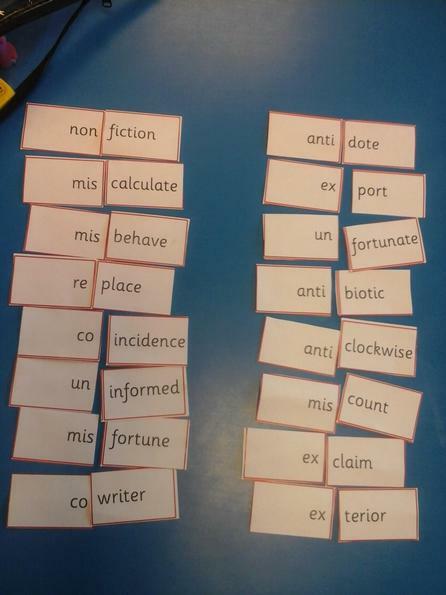 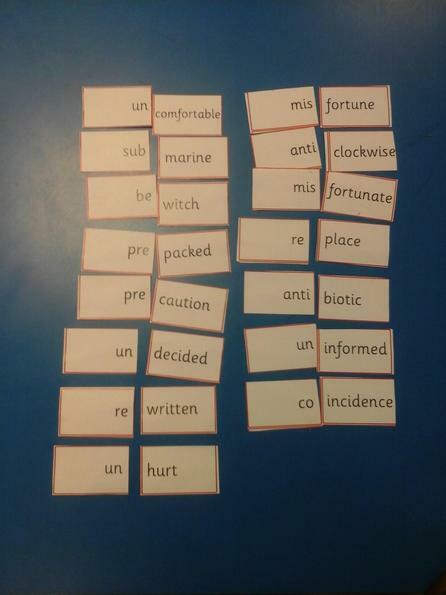 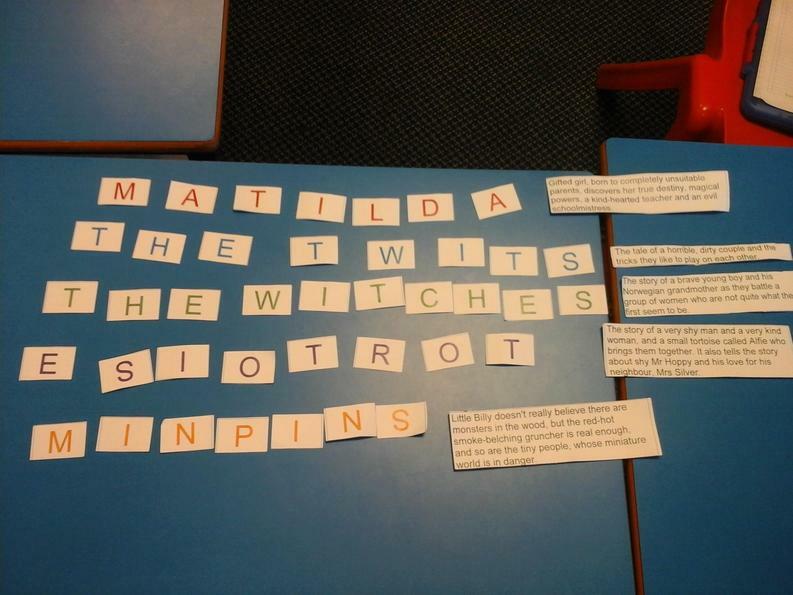 Today was Roald Dahl Day and for our reading lesson we did a pair of Burn2Learns: one where we had to find 5 blurbs from his books which where hidden outside school and another which involved unscrambling anagrams of Roald Dahl books and then matching them to the blurb. 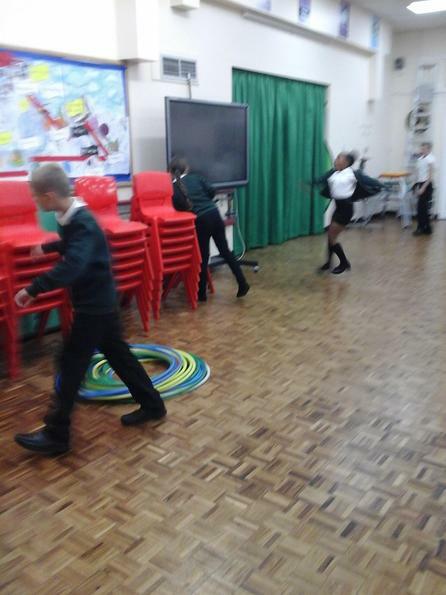 In SPAG, to help us learn our spellings, we played a game of Spelling Tennis where we had to volley an imaginary ball and call out the next letter in the word we were trying to spell out. 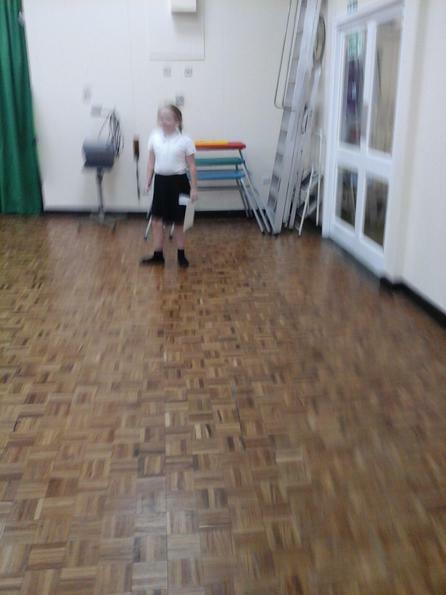 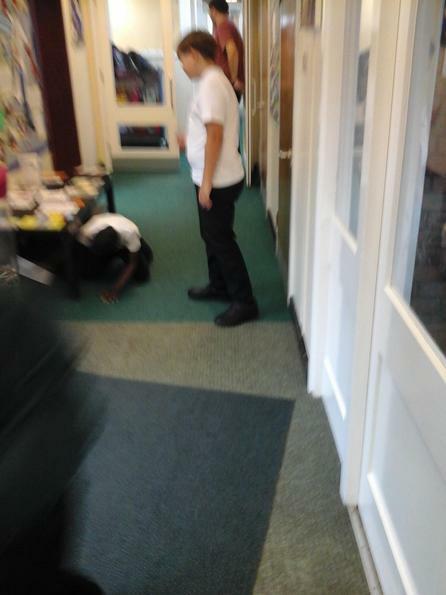 In SPAG Circle, we passed a beanbag around and, when we caught it, had to call out a type of word. 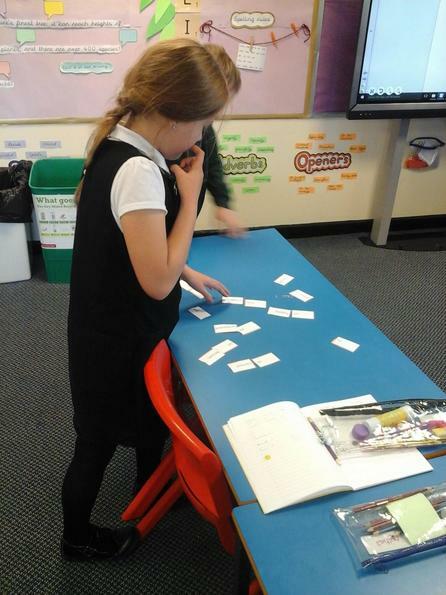 In the game, we did adverbs, then nouns and finally adjectives describing objects on the board. 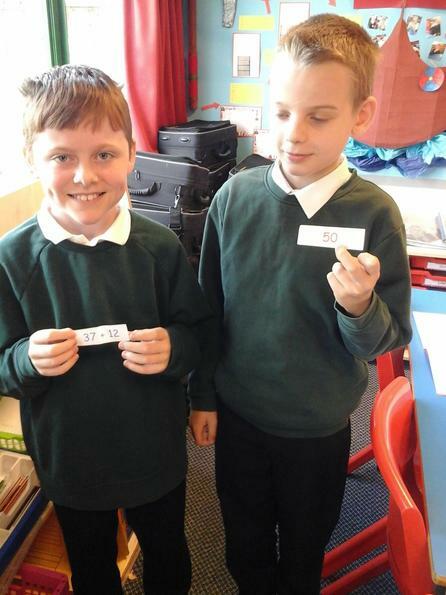 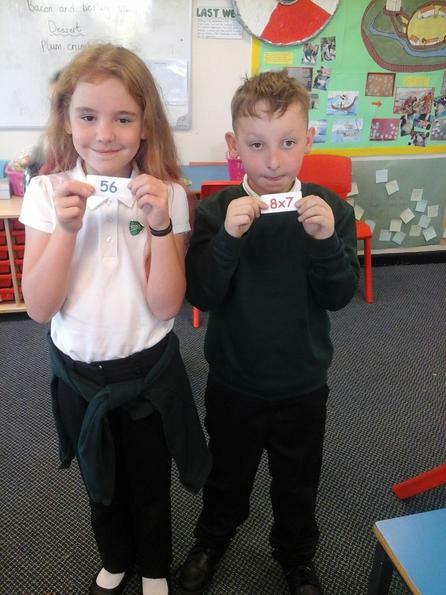 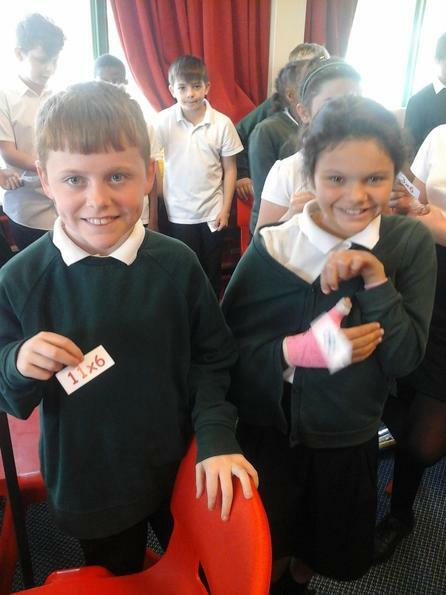 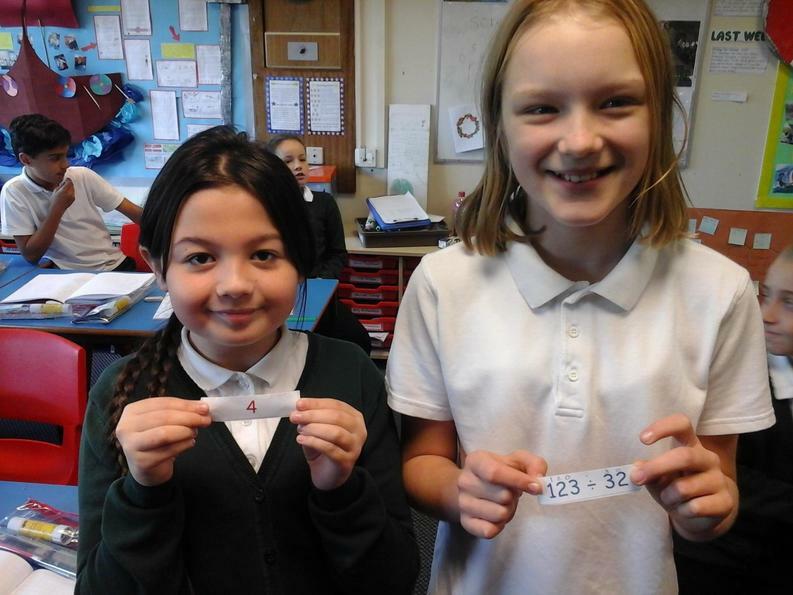 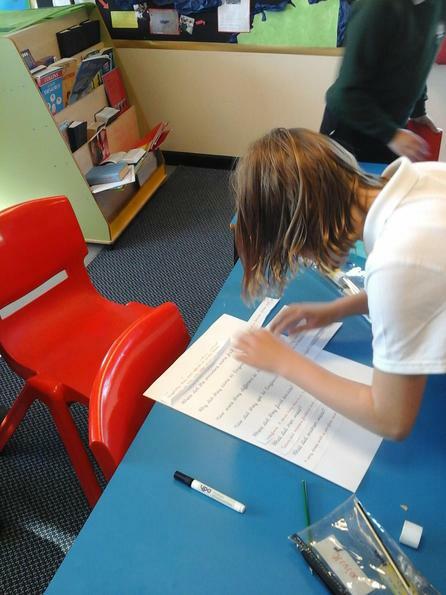 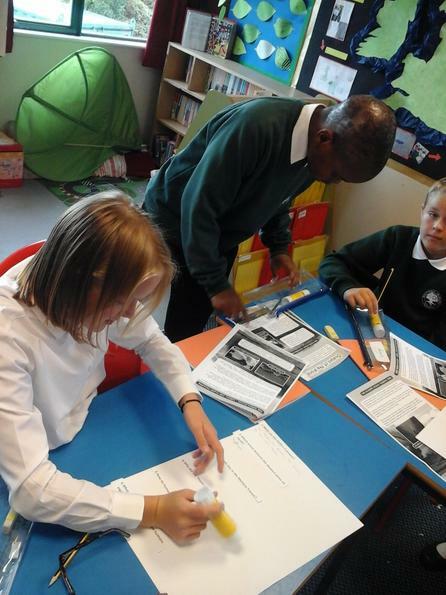 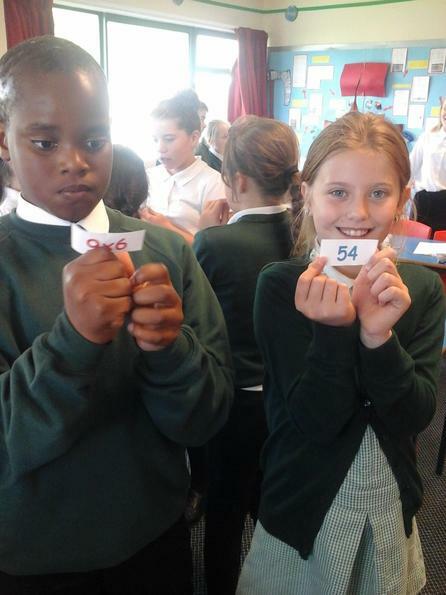 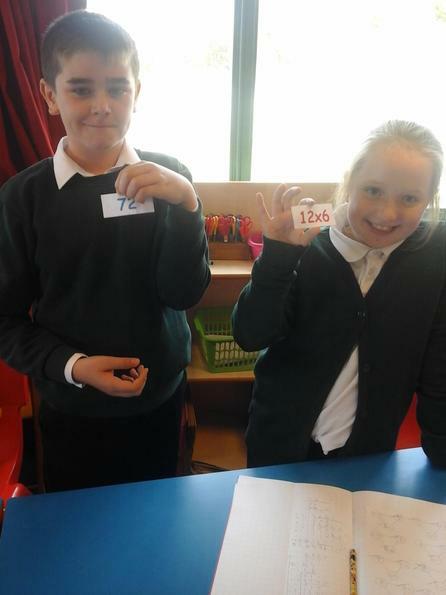 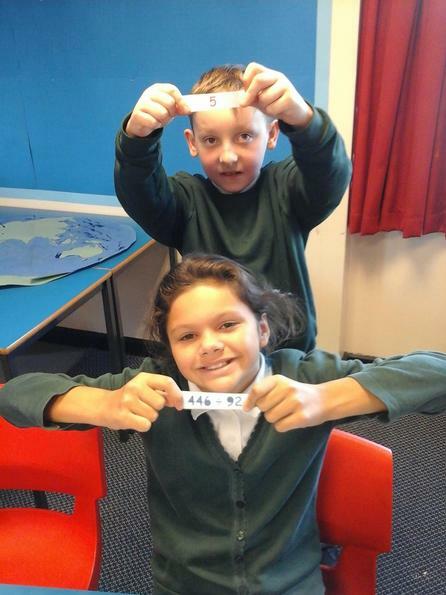 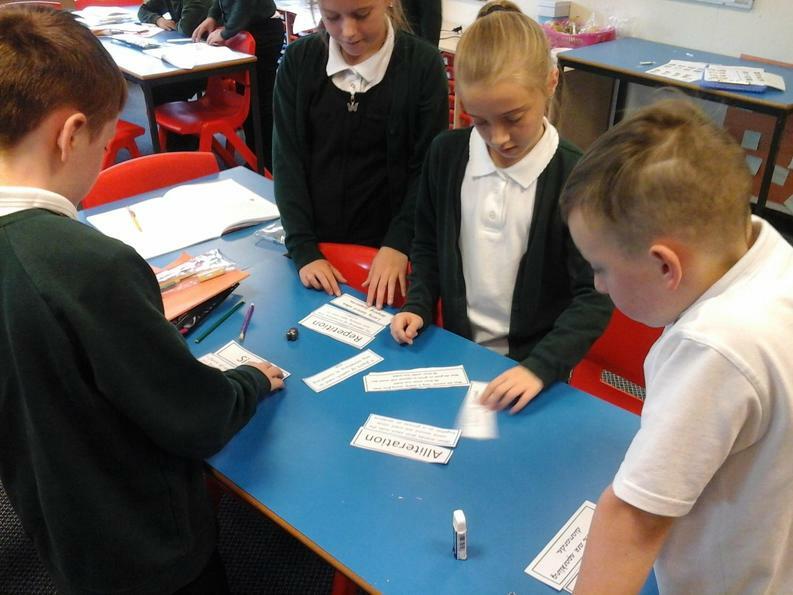 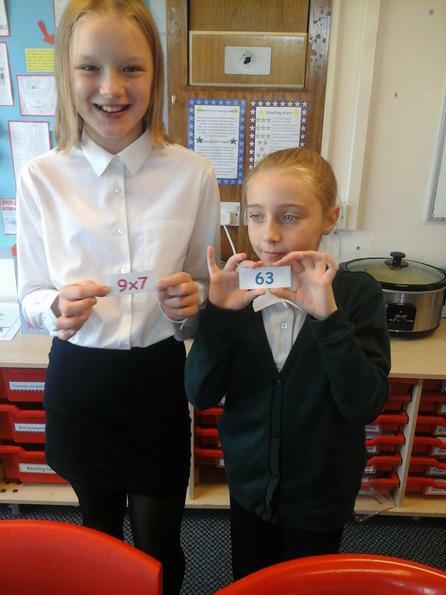 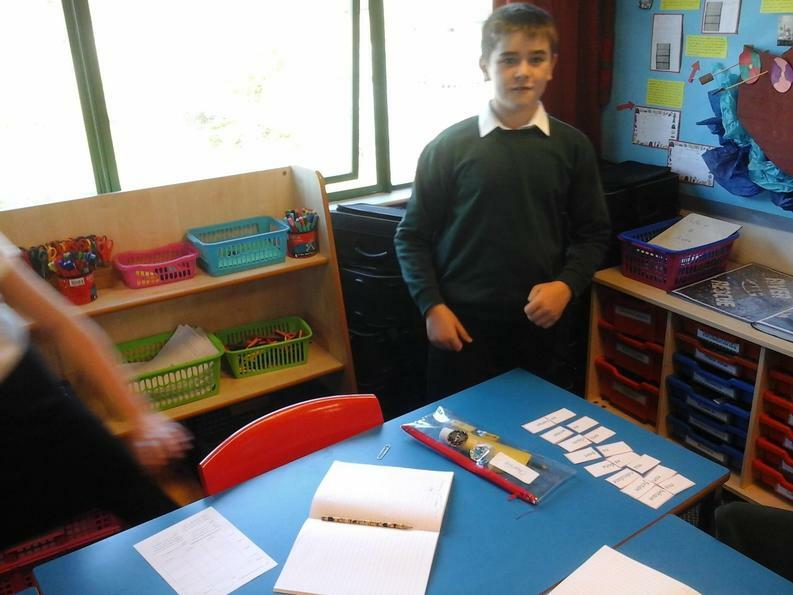 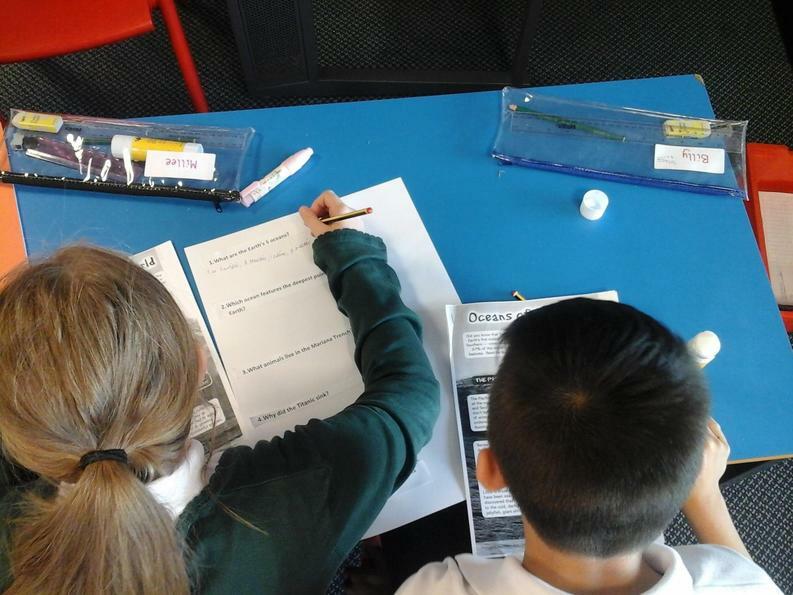 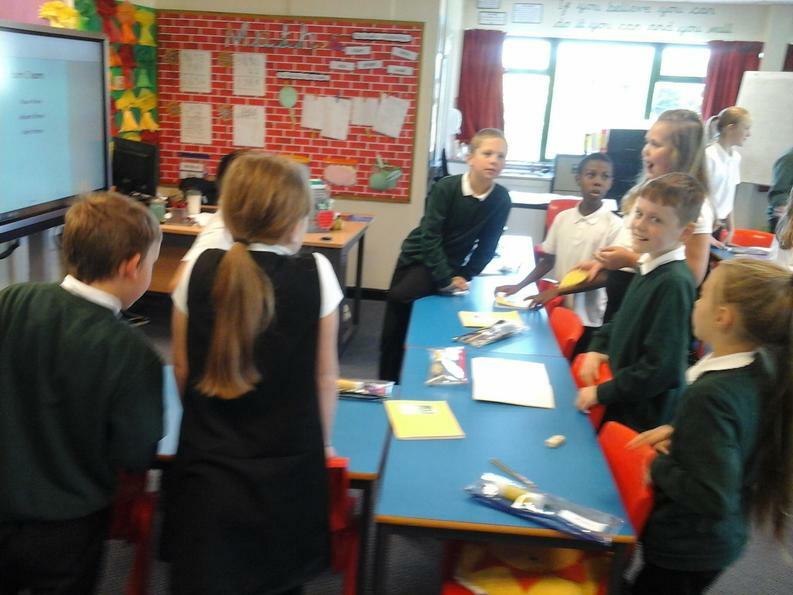 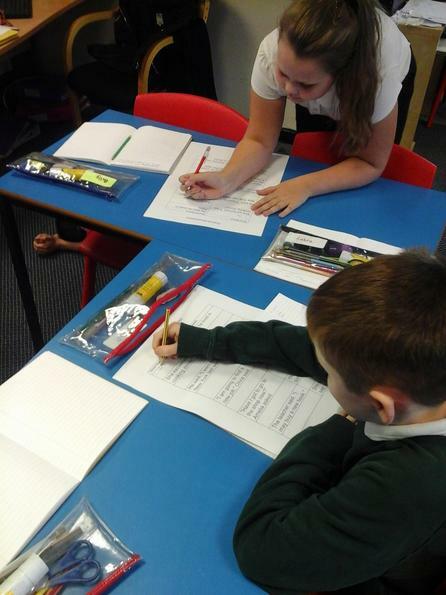 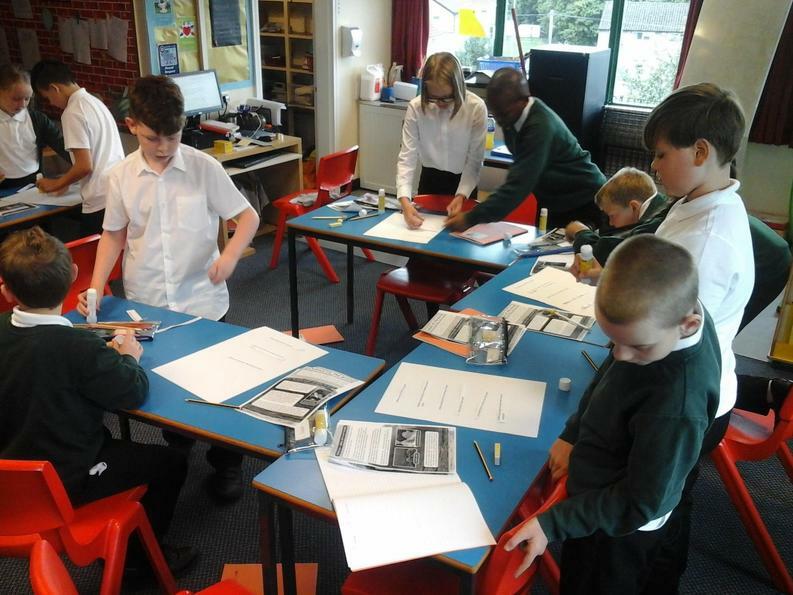 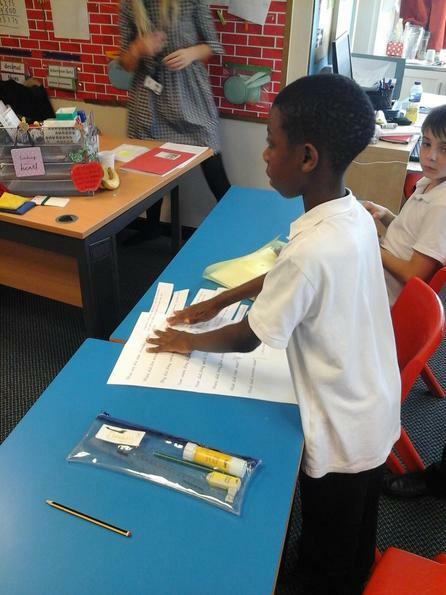 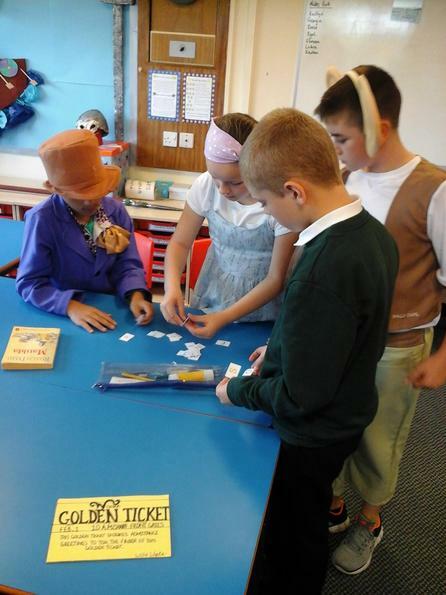 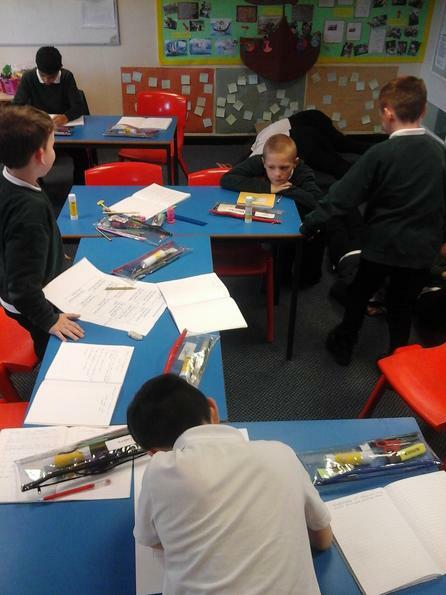 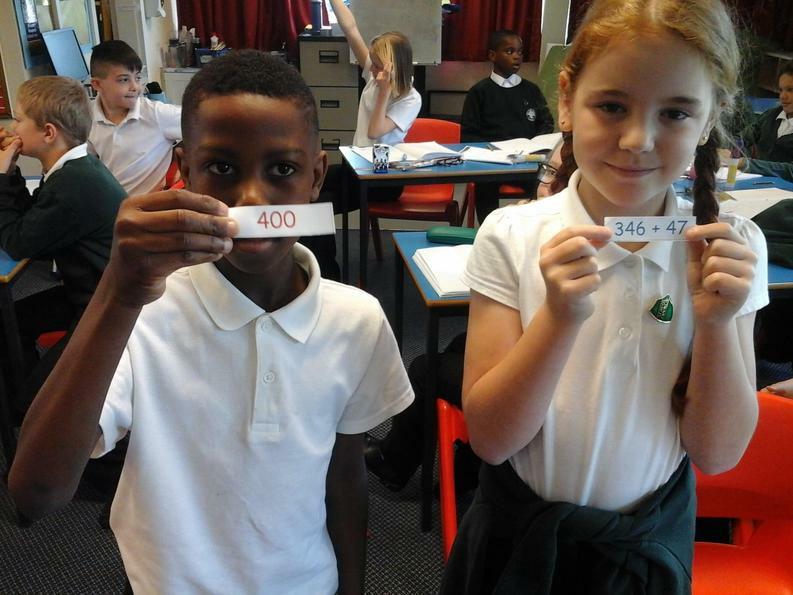 In maths, we used a Burn 2 Learn to practice our times table knowledge. 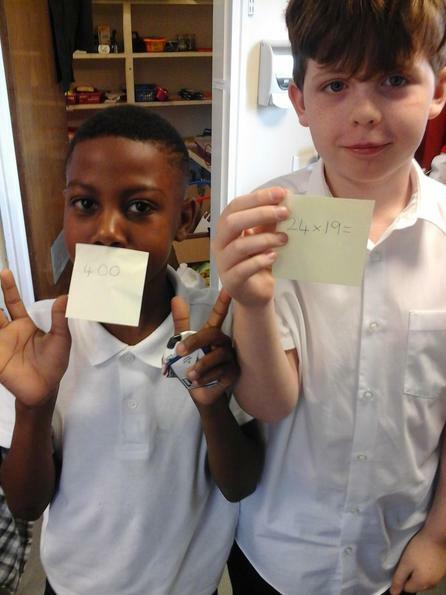 Everyone in class was given a piece of paper with either a multiplication question or an answer on it. 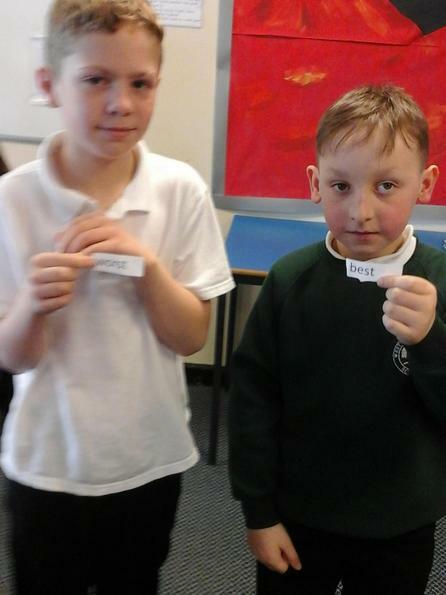 It was then our task to find the person with the piece of paper that paired with our own. 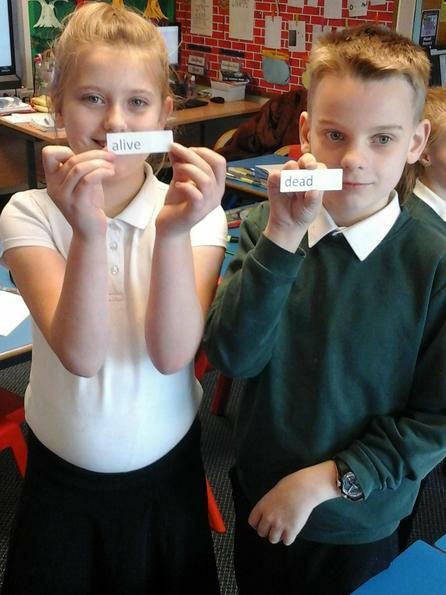 In Reading, we have begun to look at poetry. 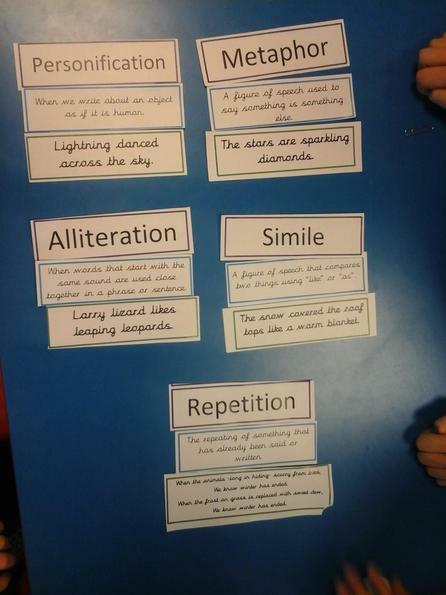 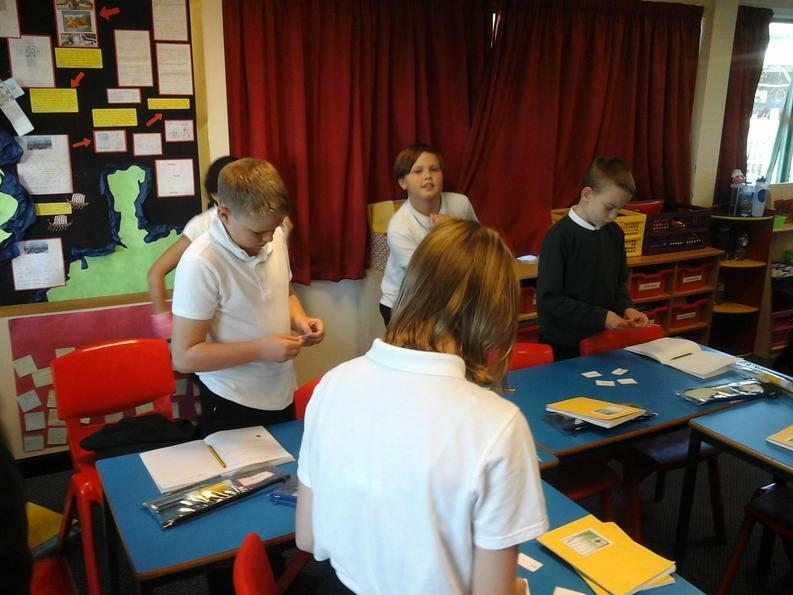 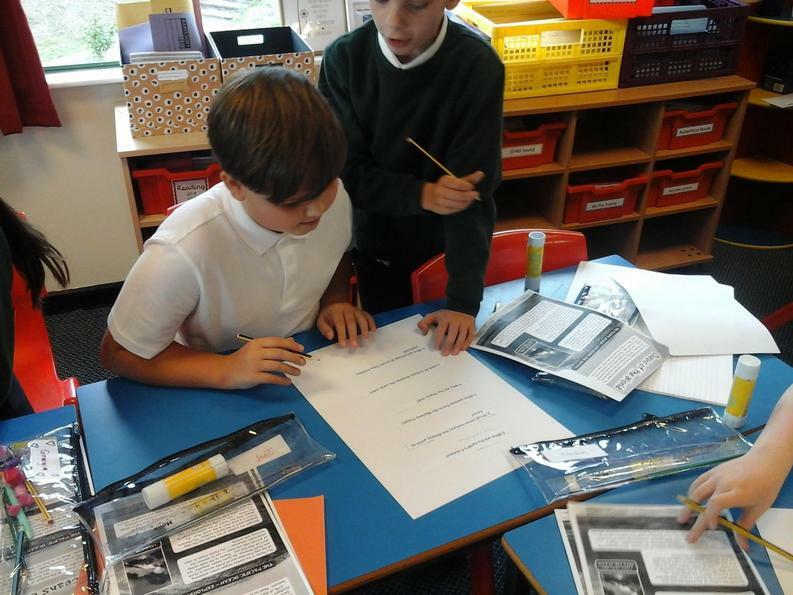 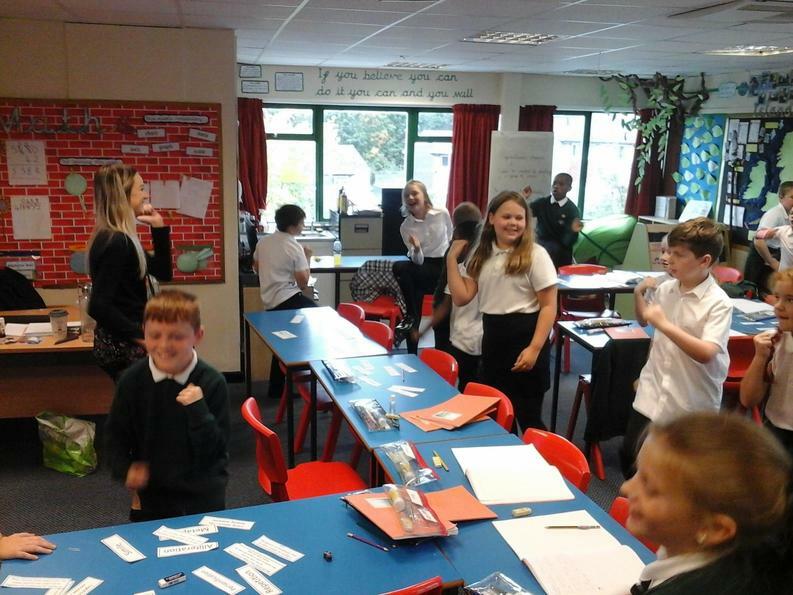 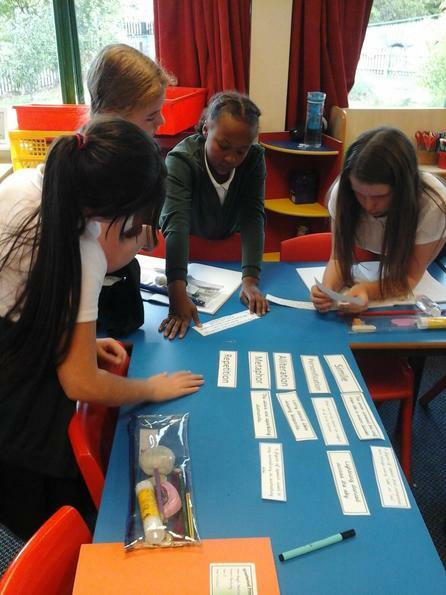 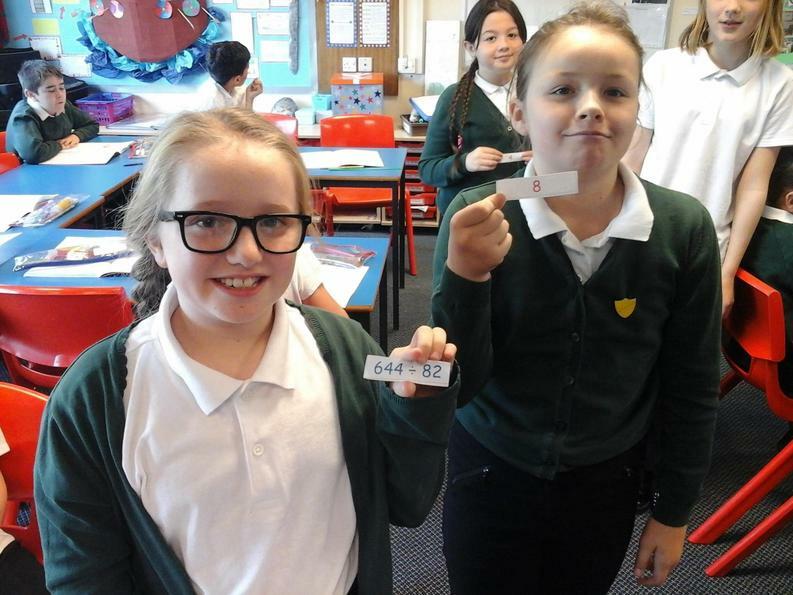 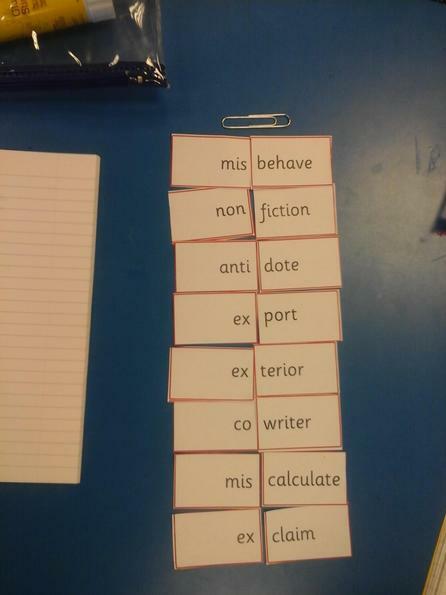 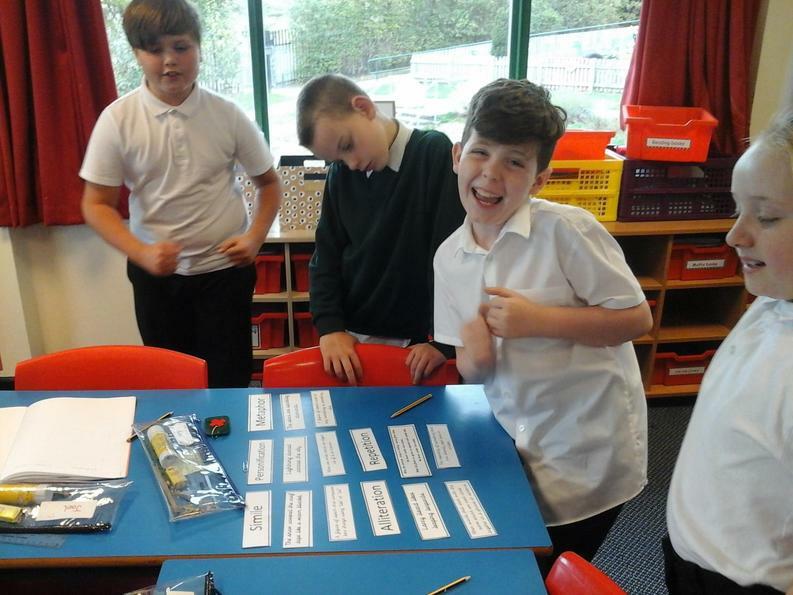 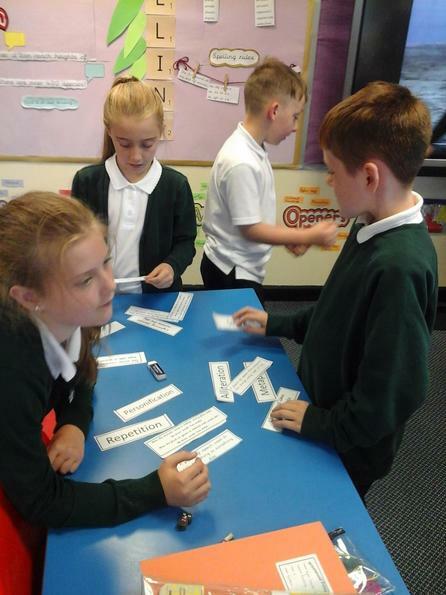 As part of this we needed to know about different types of figurative language and in order to do this we had a matching activity. 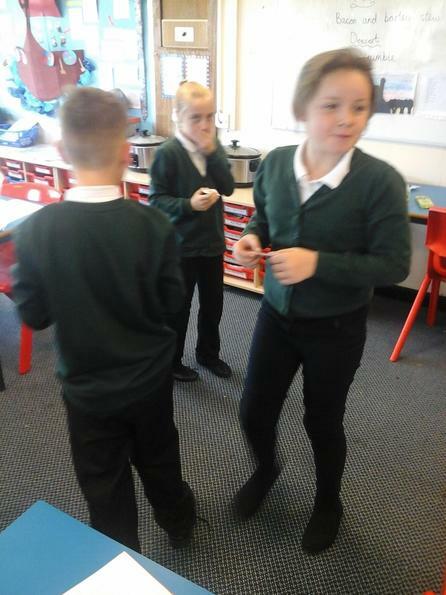 We had to match a type of language with an explanation and an example stopping to exercise whenever the music started! 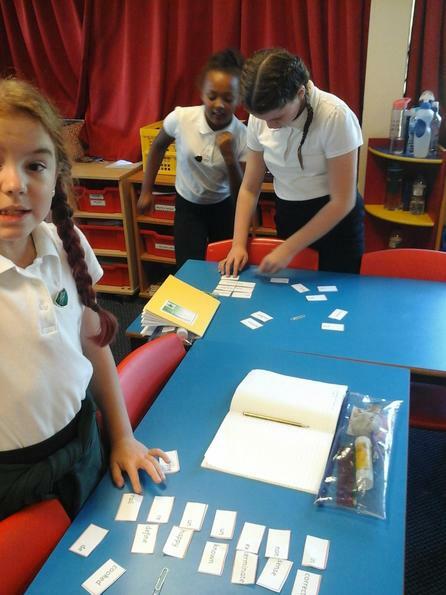 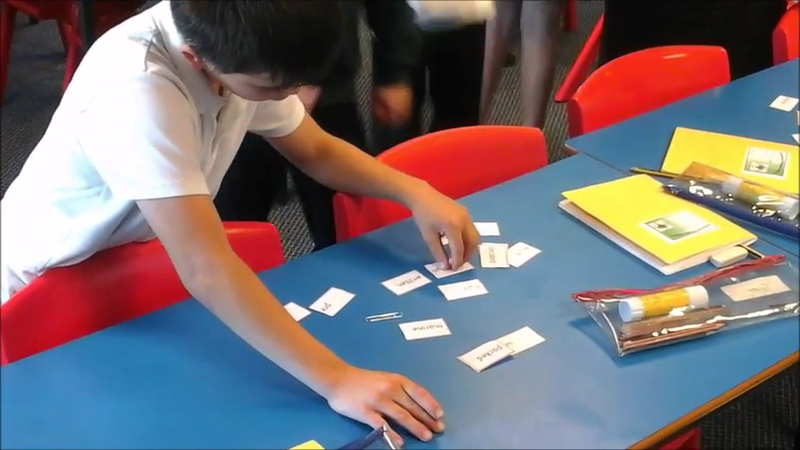 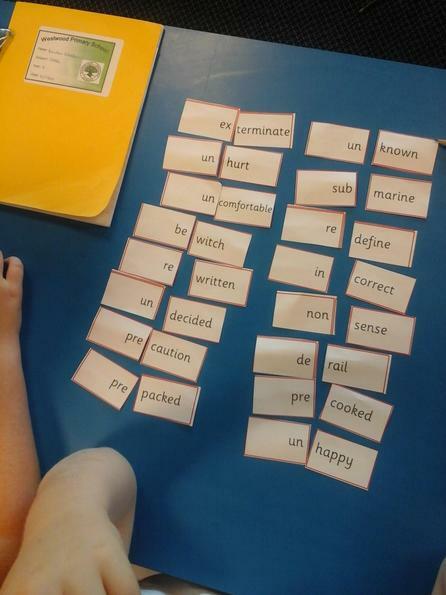 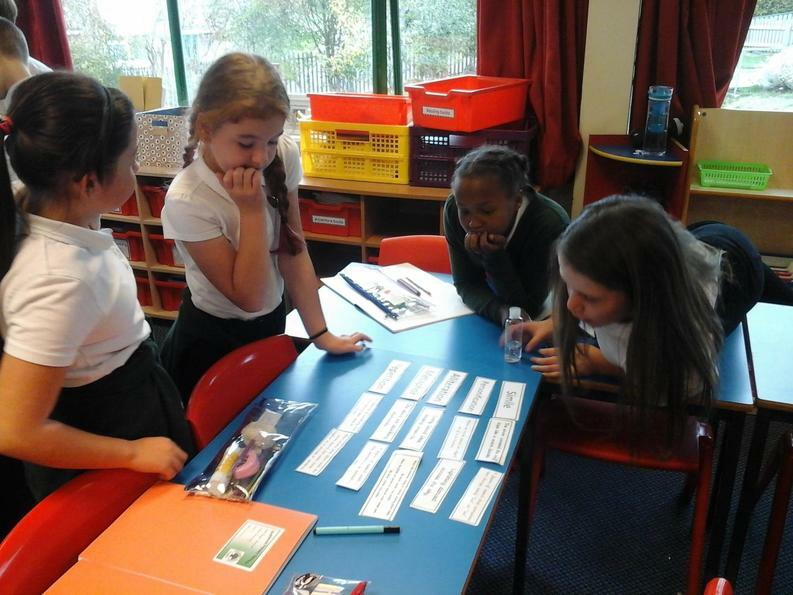 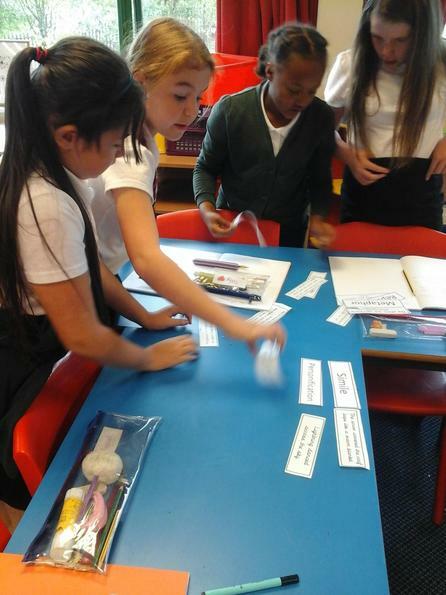 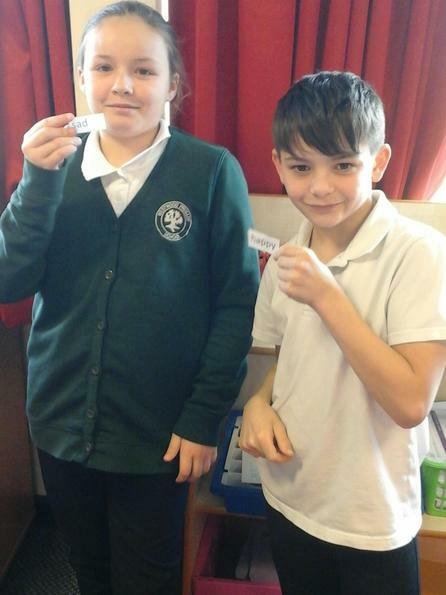 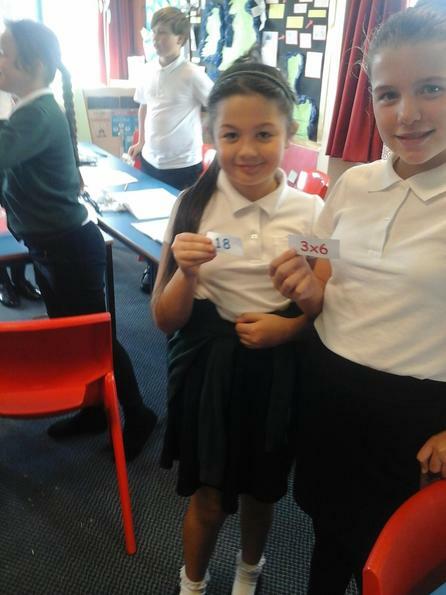 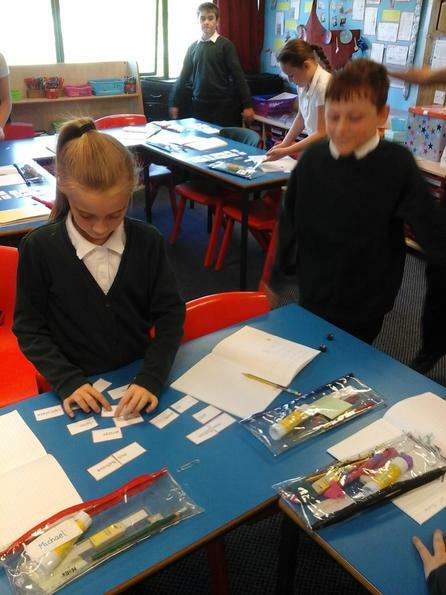 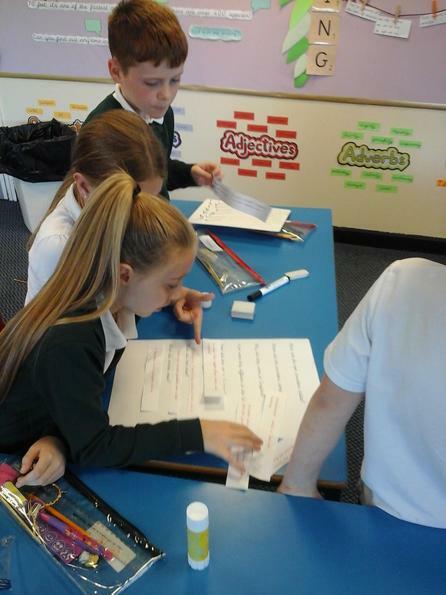 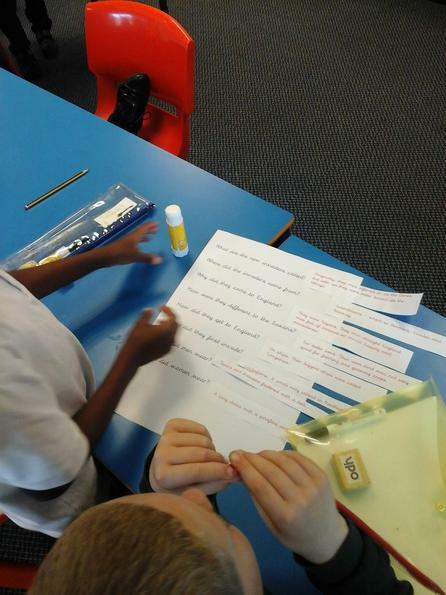 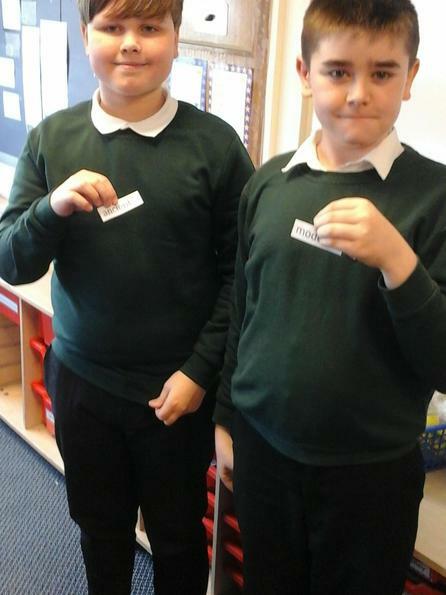 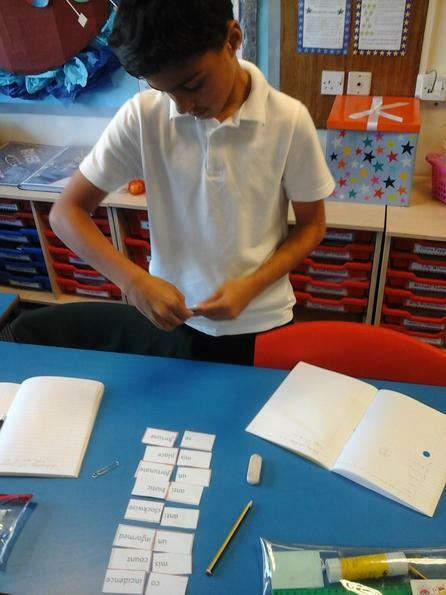 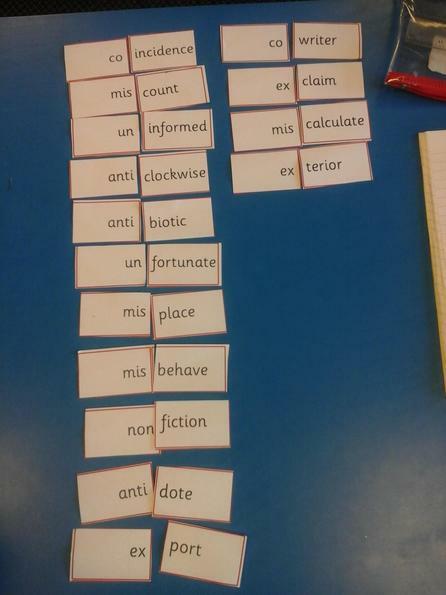 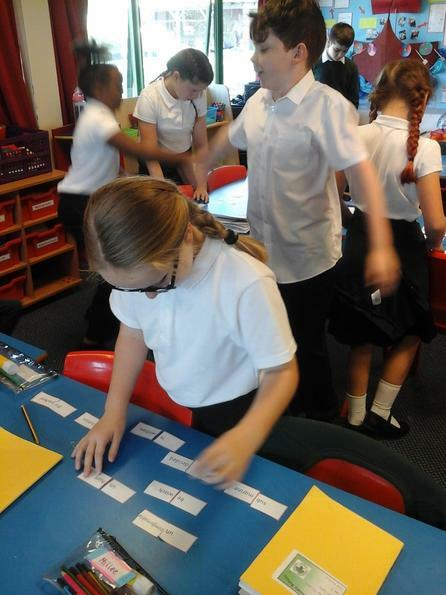 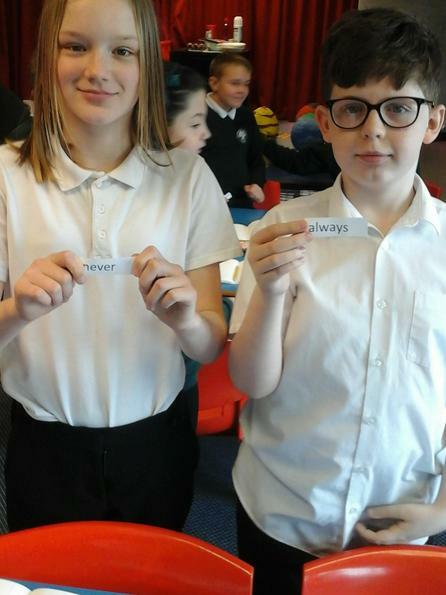 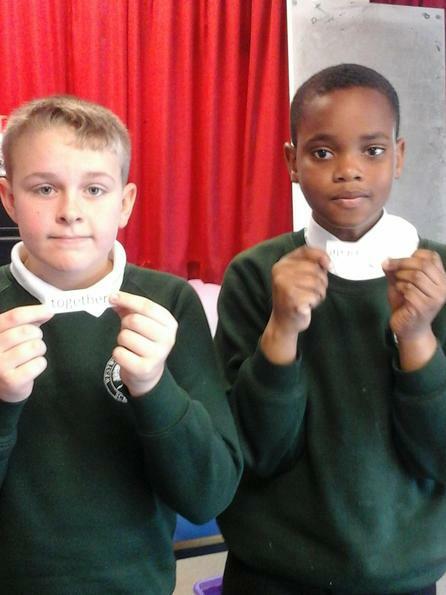 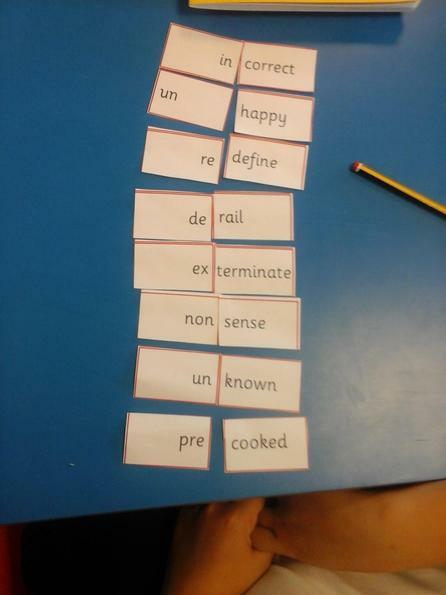 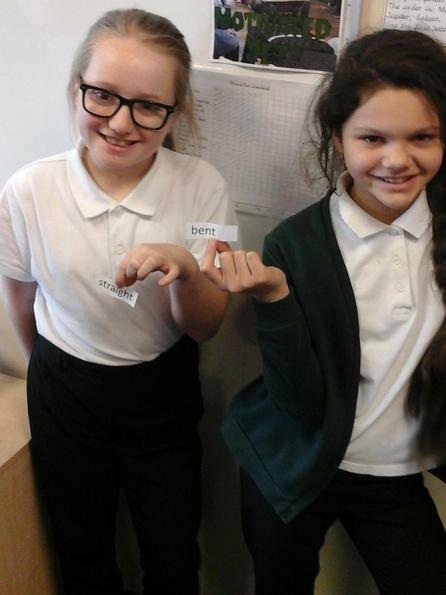 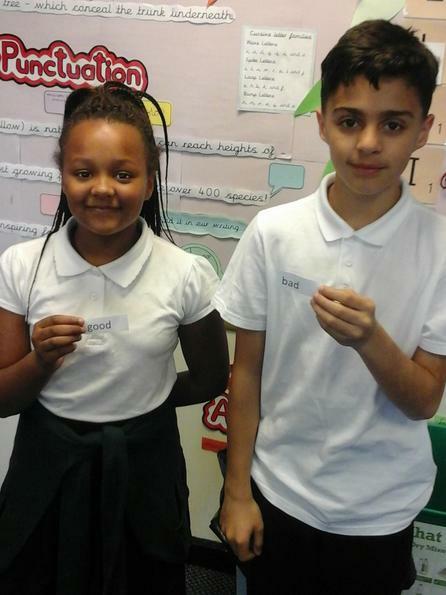 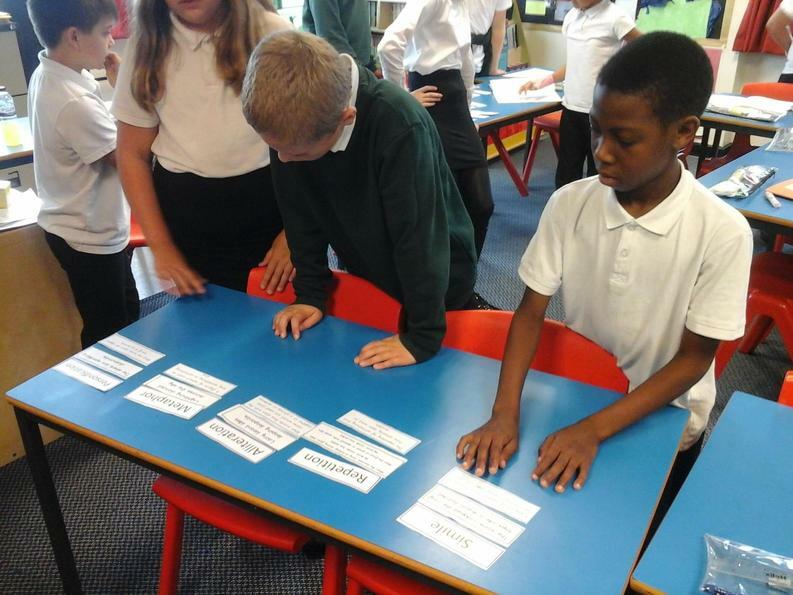 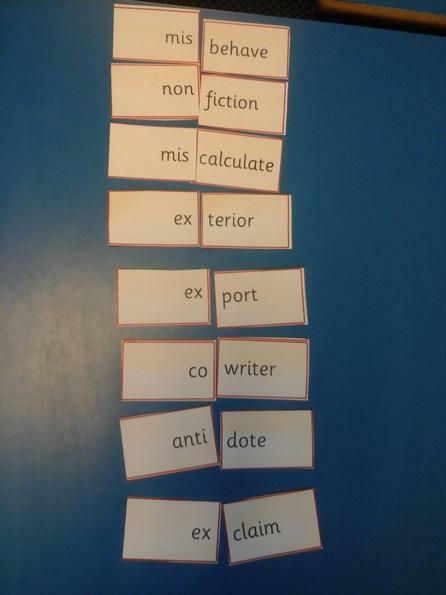 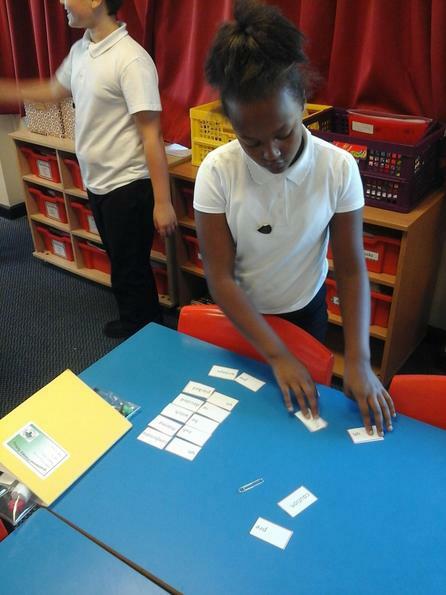 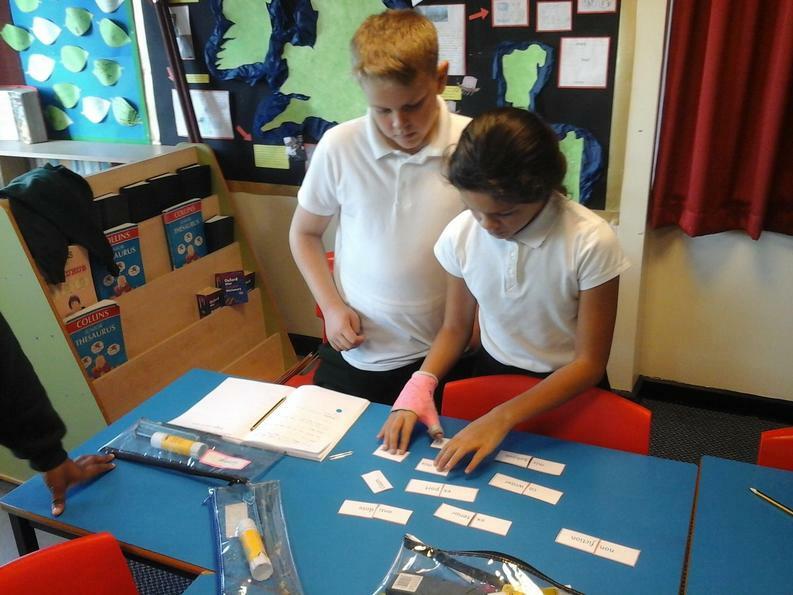 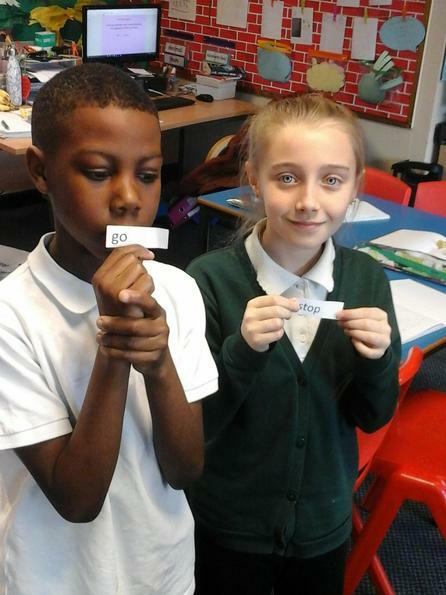 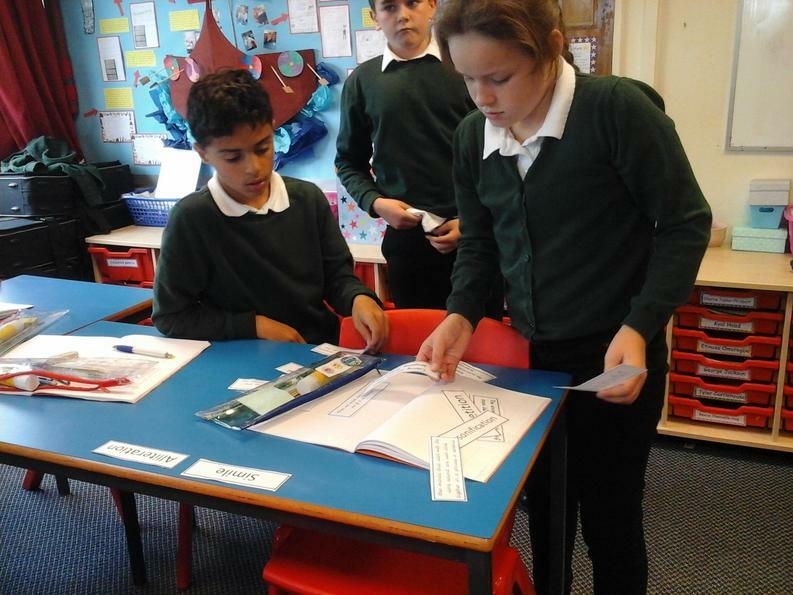 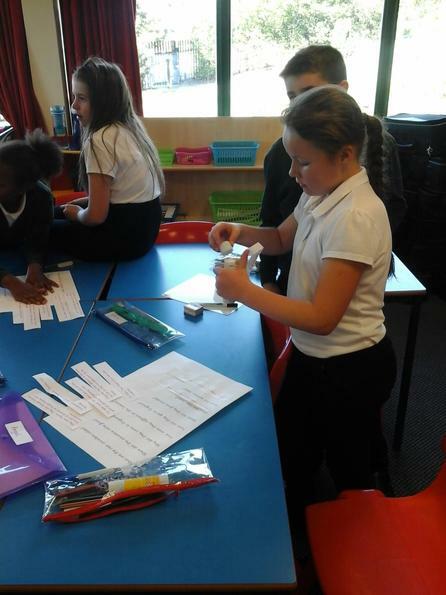 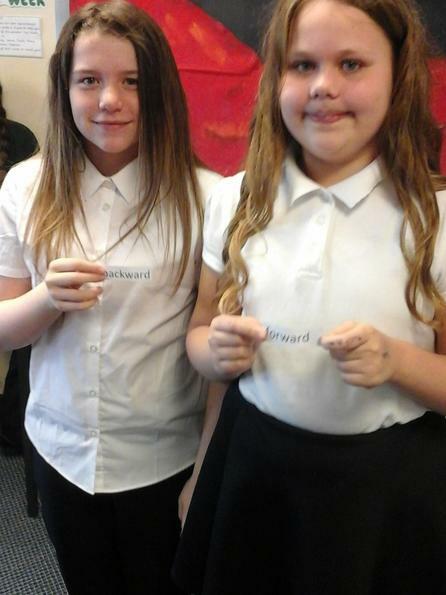 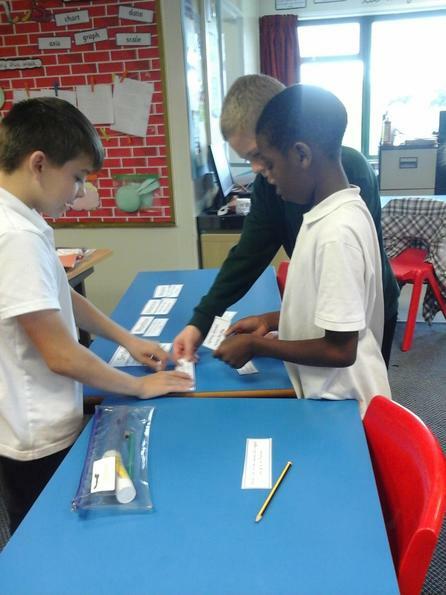 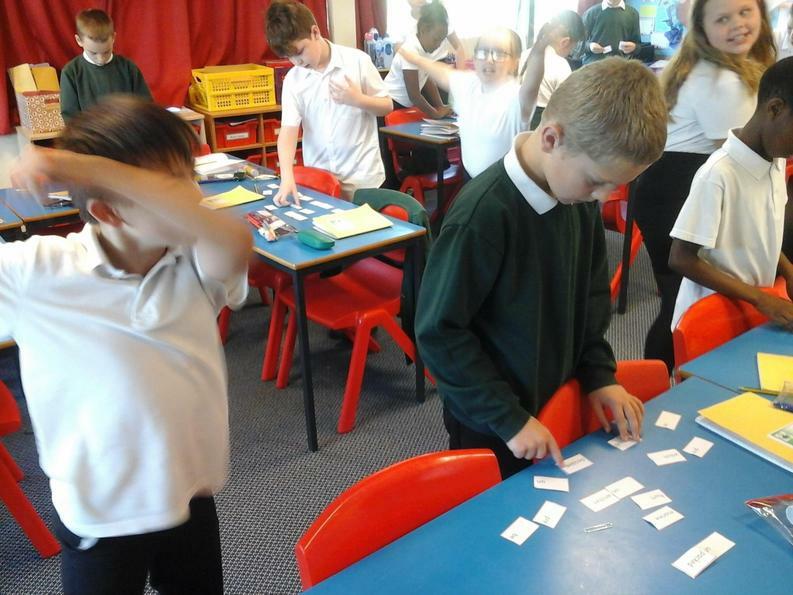 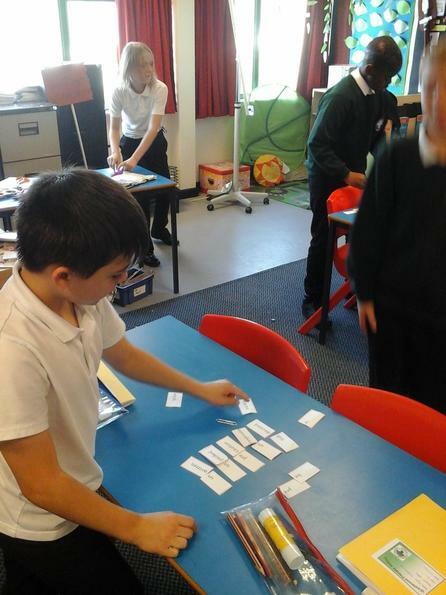 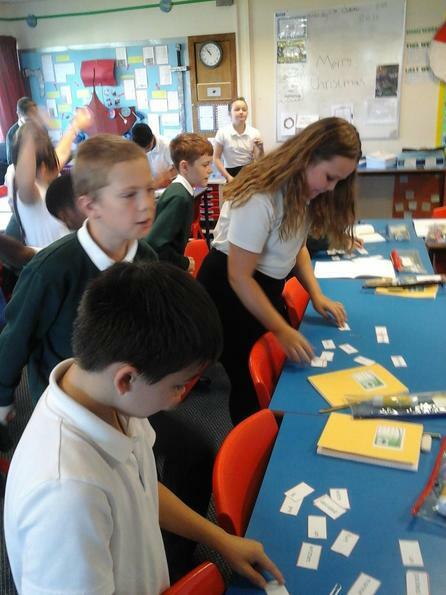 In SPAG, we were working in pairs to match prefixes to their root words. 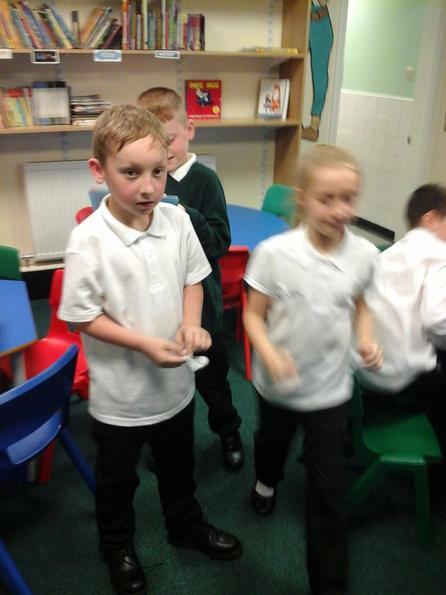 While one partner was sorting, the other was exercising. 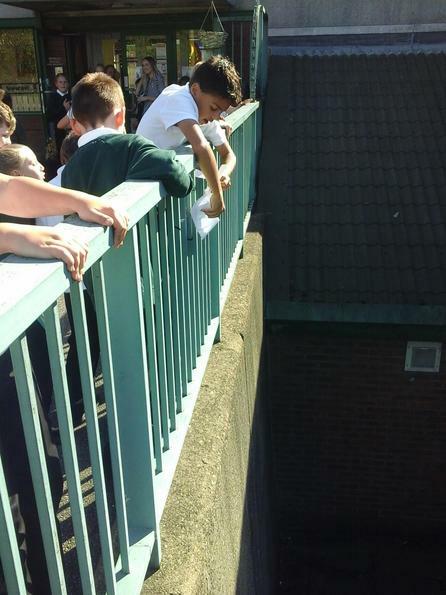 Every 30seconds or so, we'd swap. 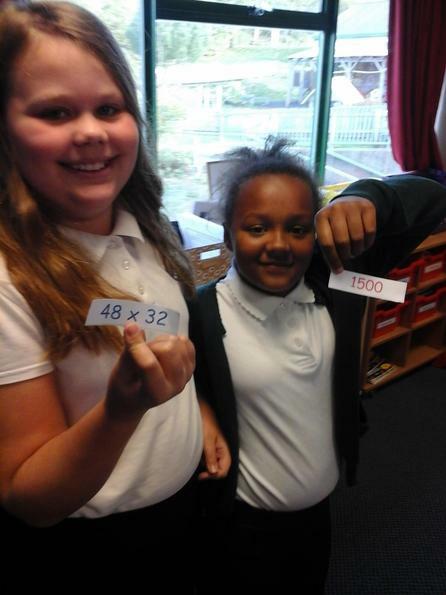 In Maths, we used a Burn 2 Learn to practice approximation. 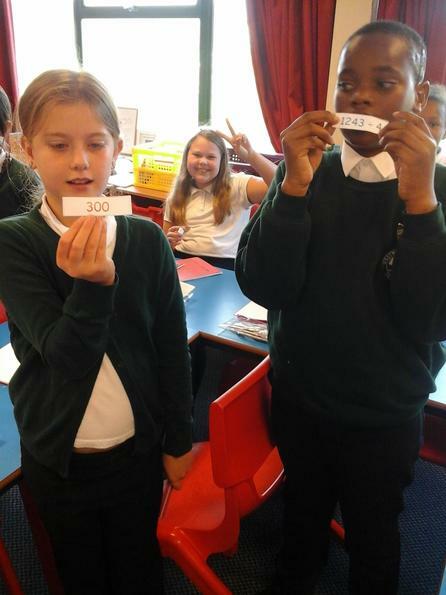 Everyone in class was given either a number sentence or an approximate answer. 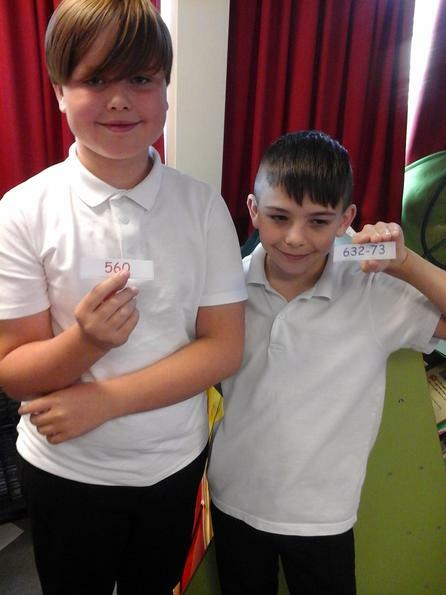 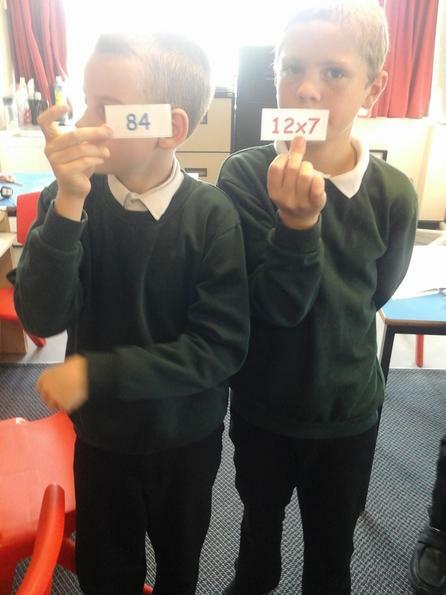 Those with the number sentences had to work out the approximate answer by rounding the numbers and then find their 'mate'. 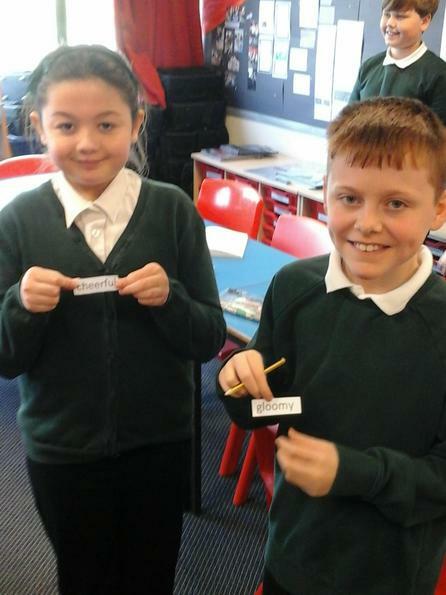 In SPAG, we have been learning about the two uses of apostrophes: contractions and possession. 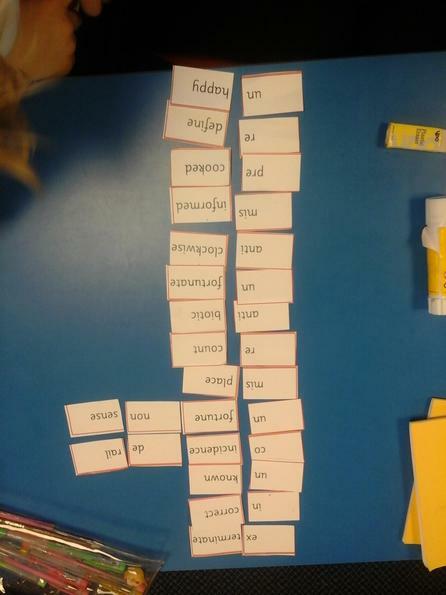 When learning about their use in contractions, groups were given a group of letters and had to work out which words they spelled out. 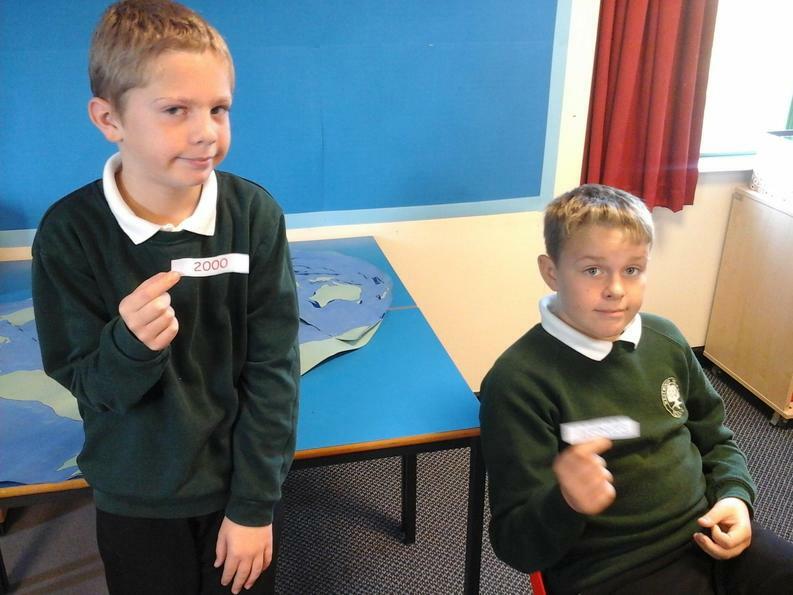 Then, when given an apostrophe, they had to work out which letters would be replaced by the piece of punctuation. 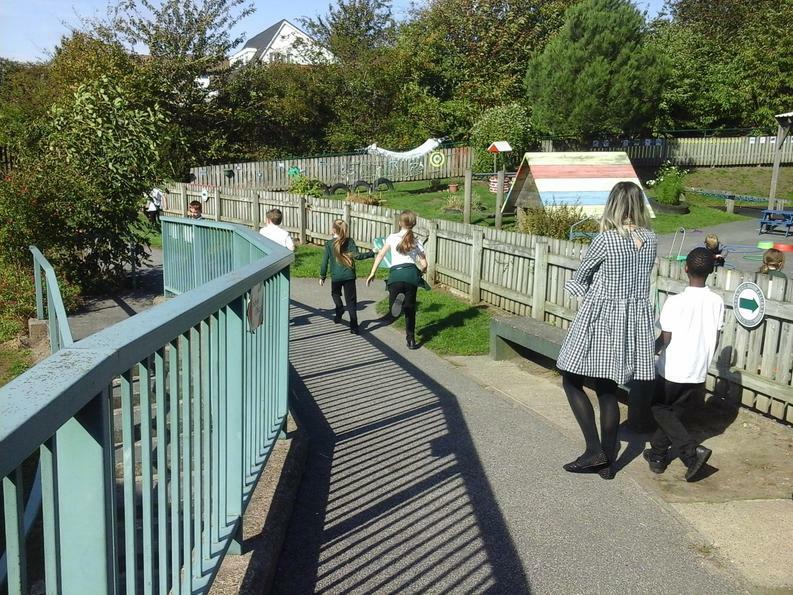 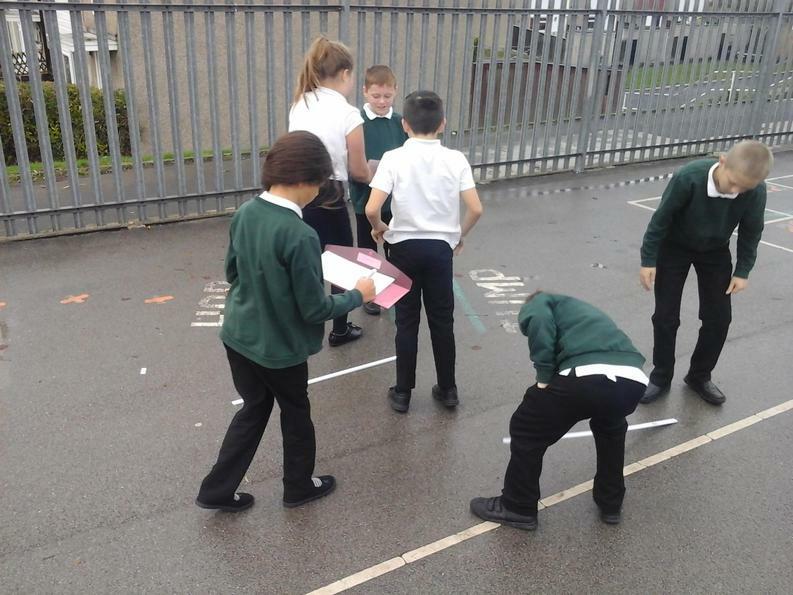 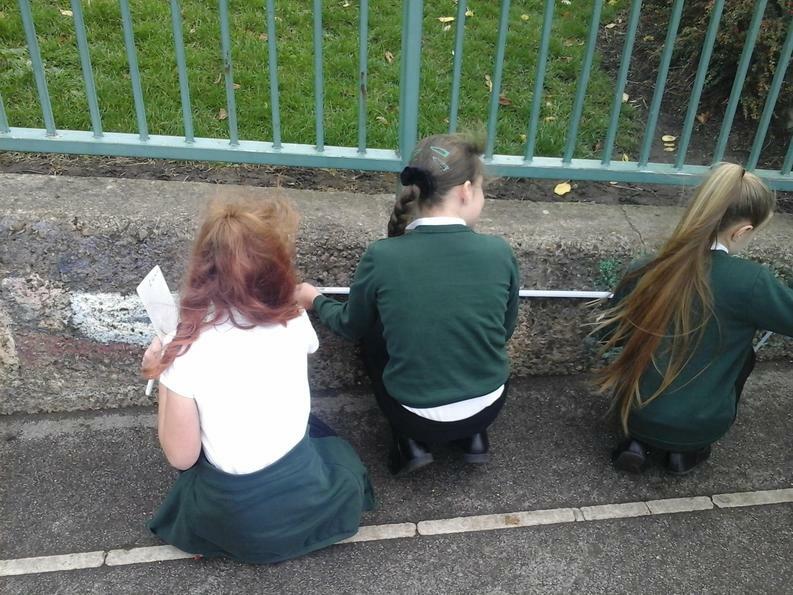 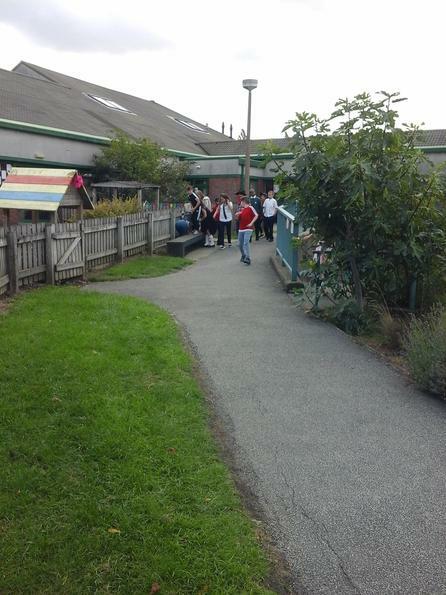 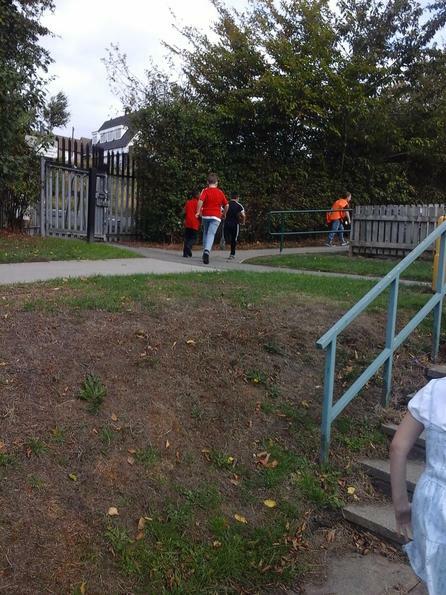 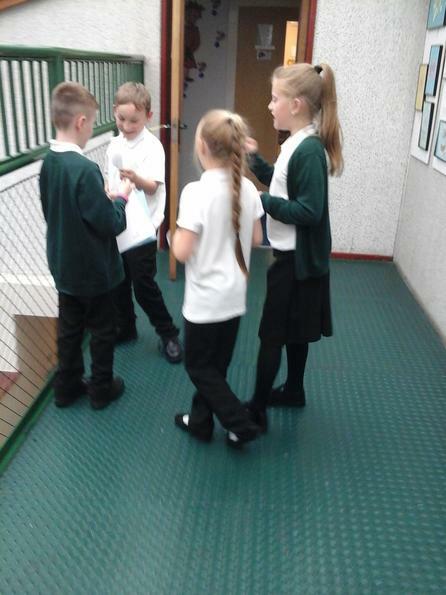 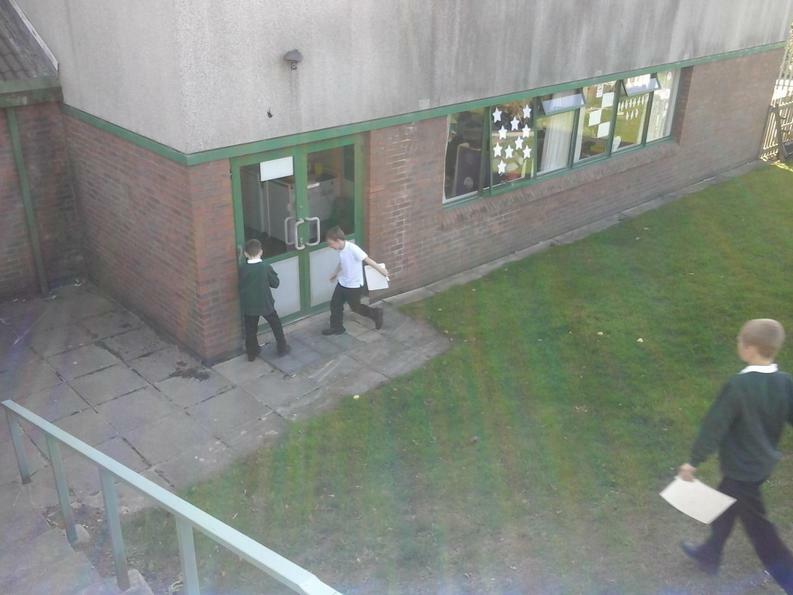 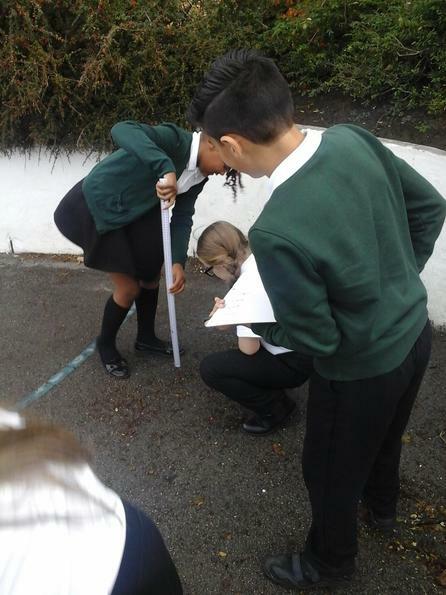 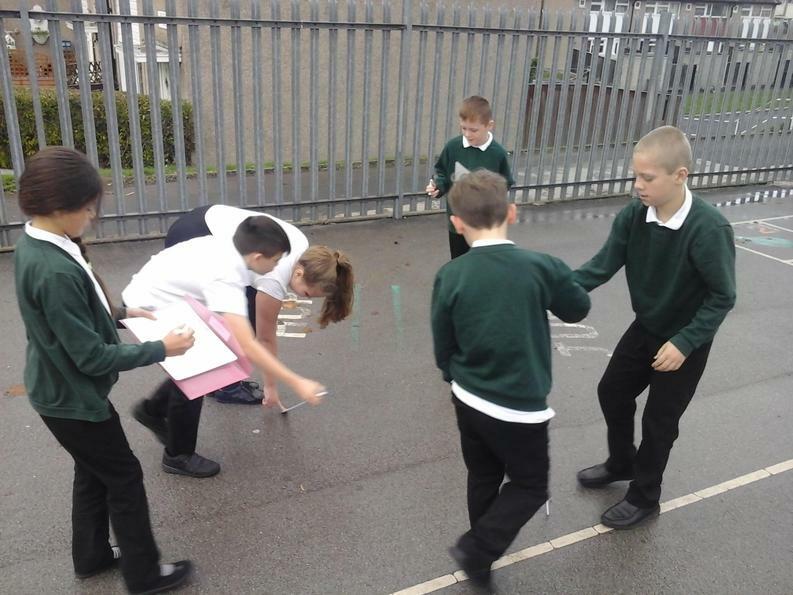 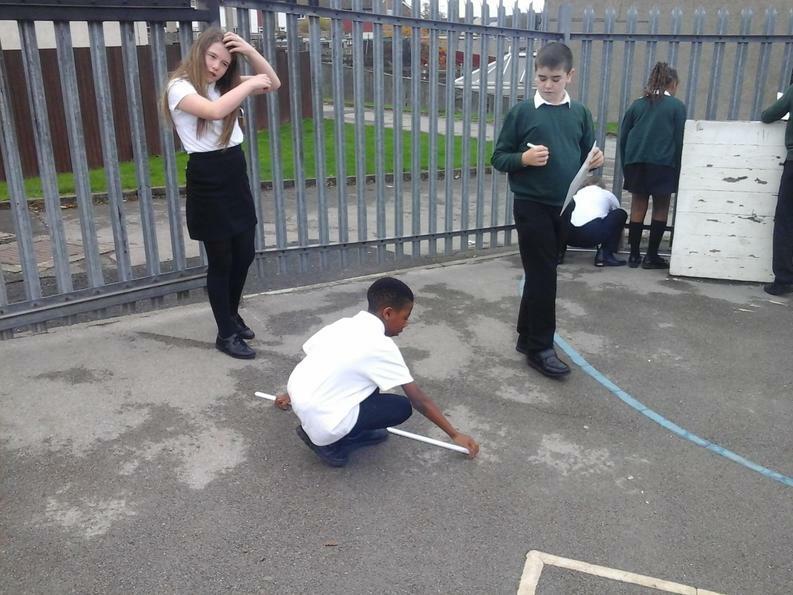 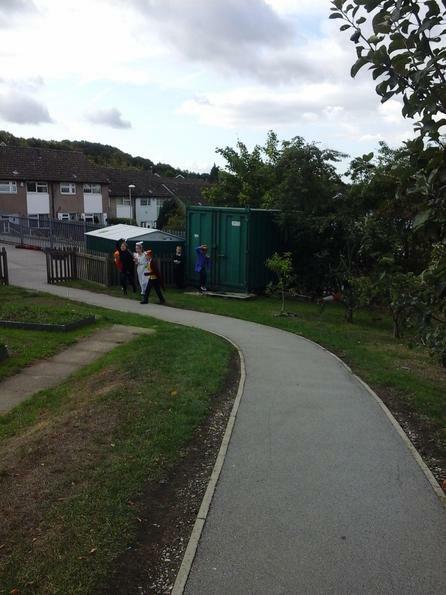 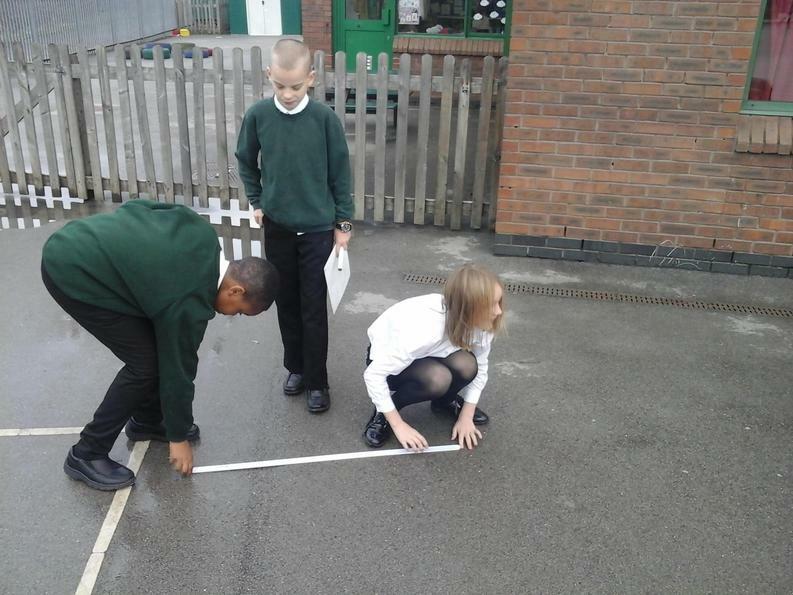 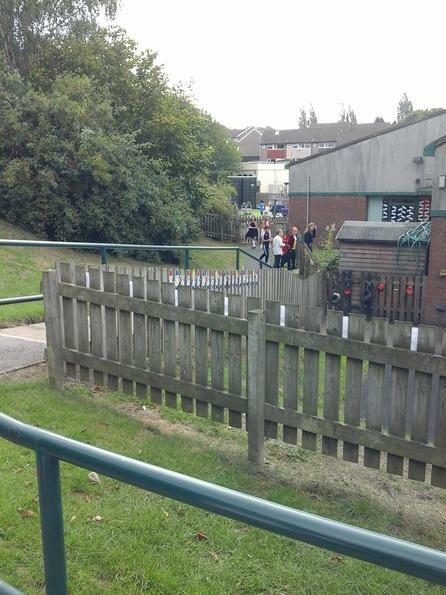 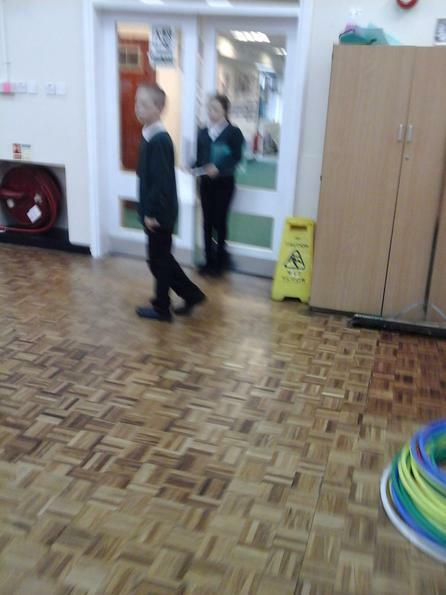 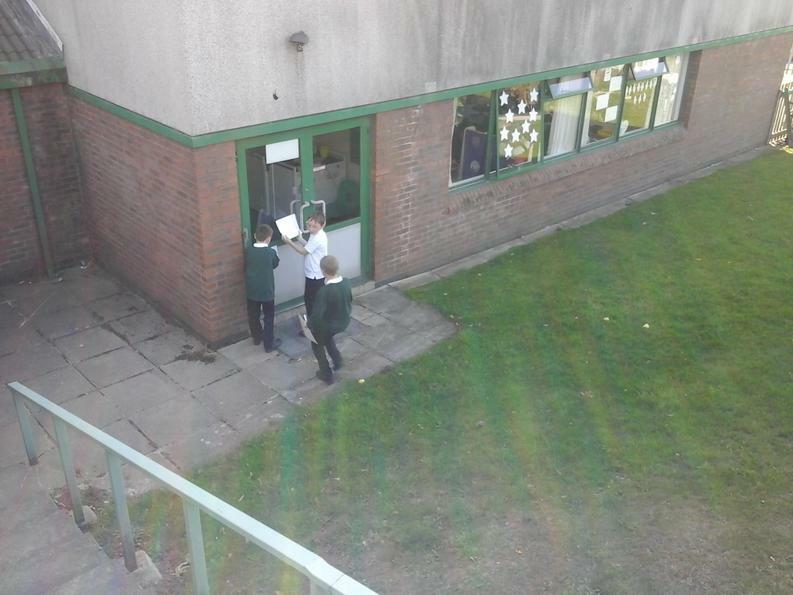 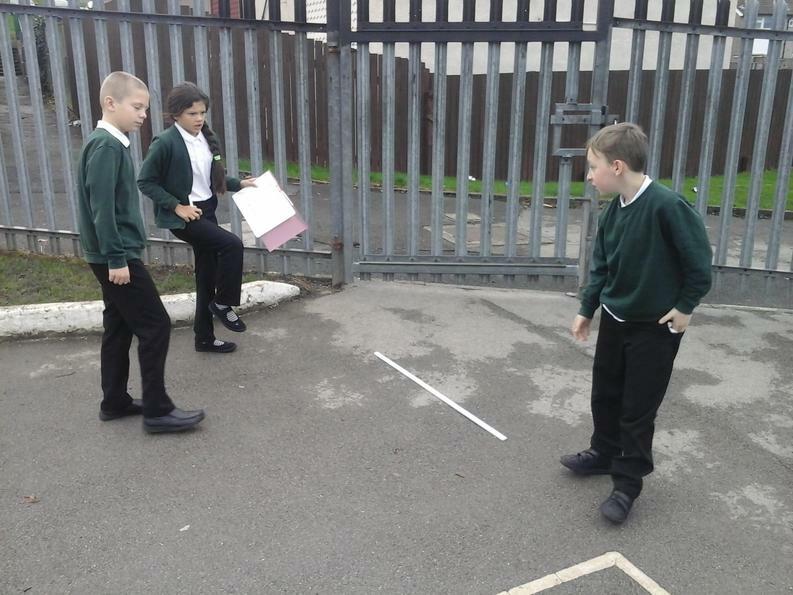 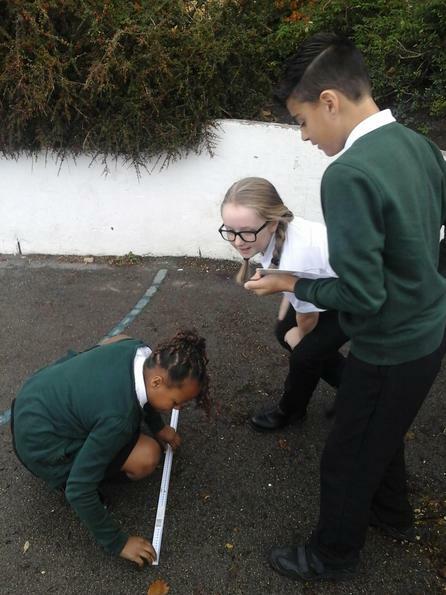 In Maths, we have been learning about perimeter and for our lesson we had to work out the perimeter of the playground. 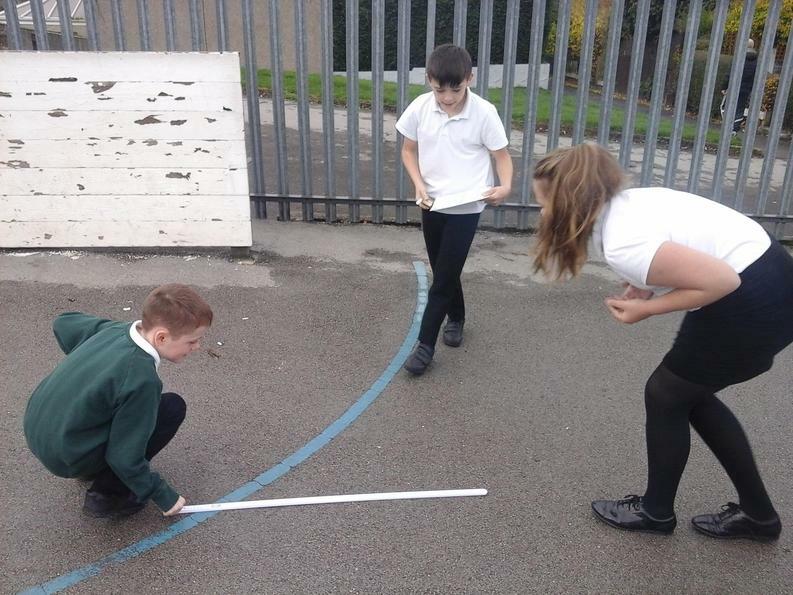 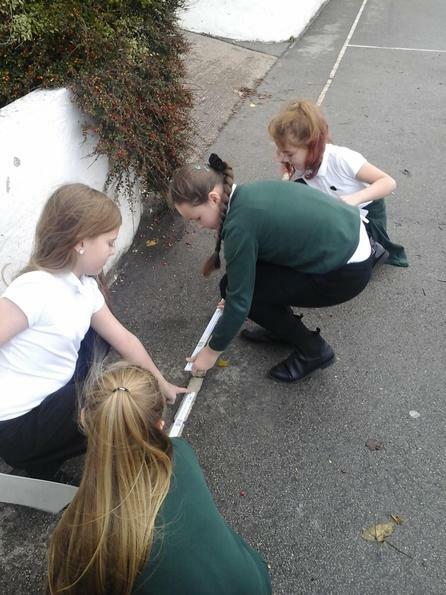 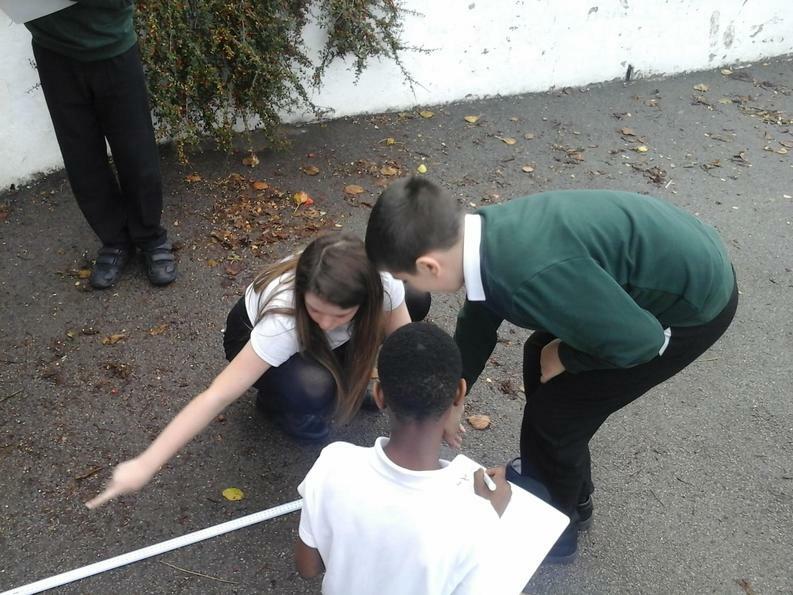 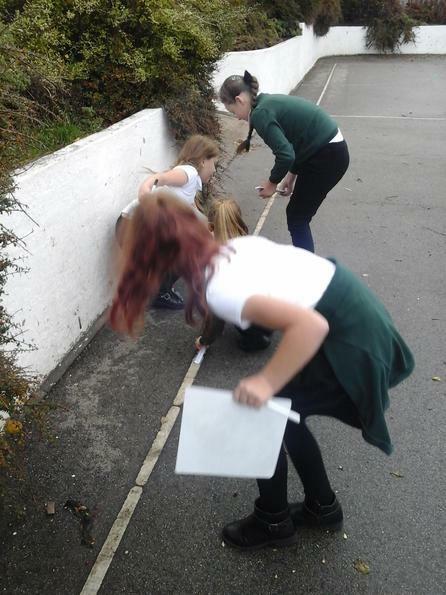 Using metre sticks we measured each side and added them to find the perimeter. 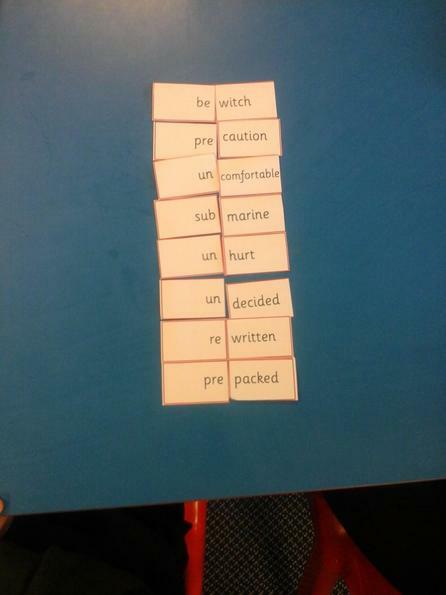 In SPAG, we have been looking at the difference between direct and reported speech. 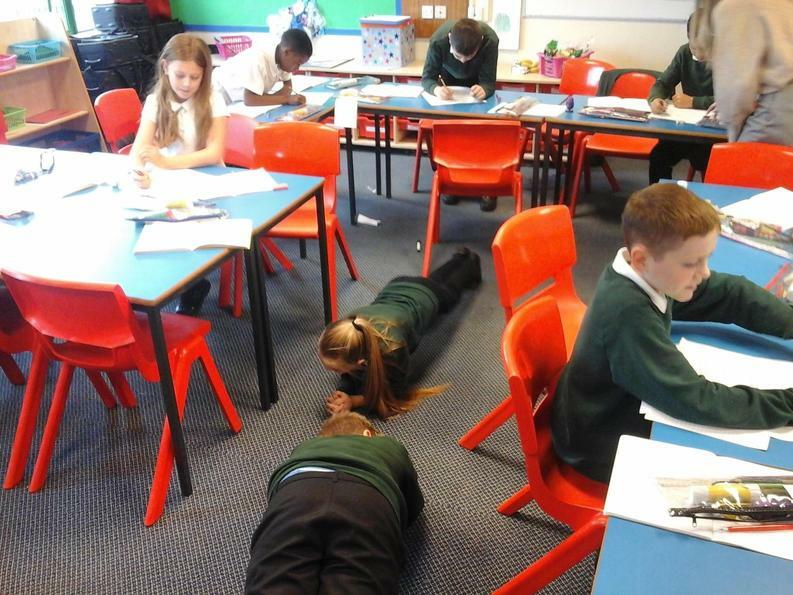 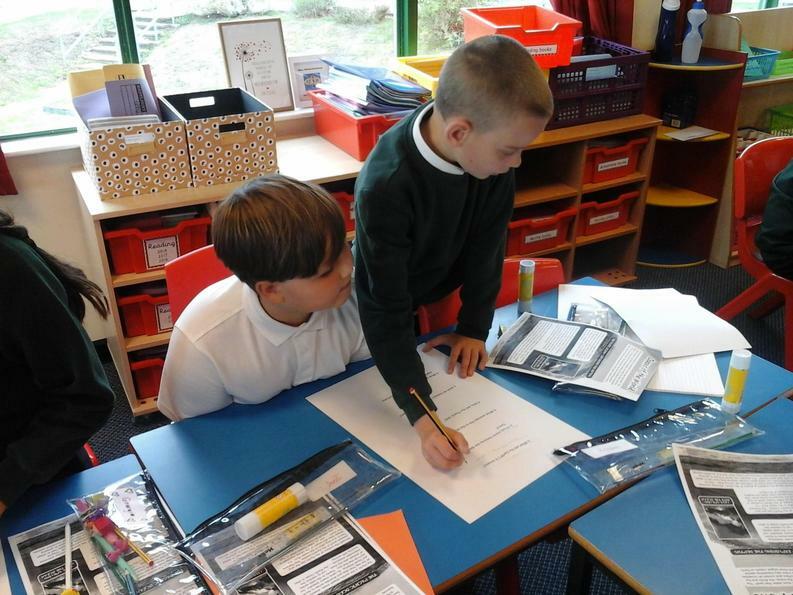 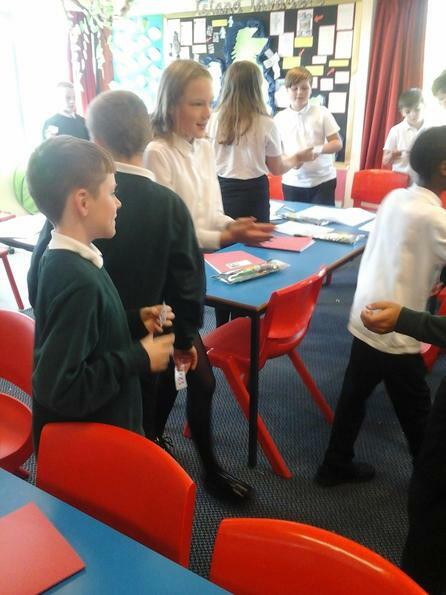 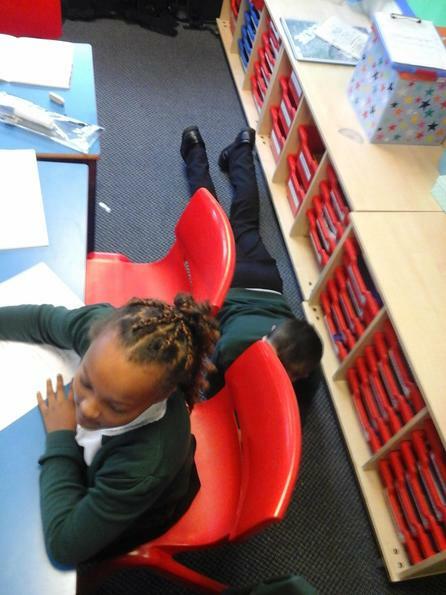 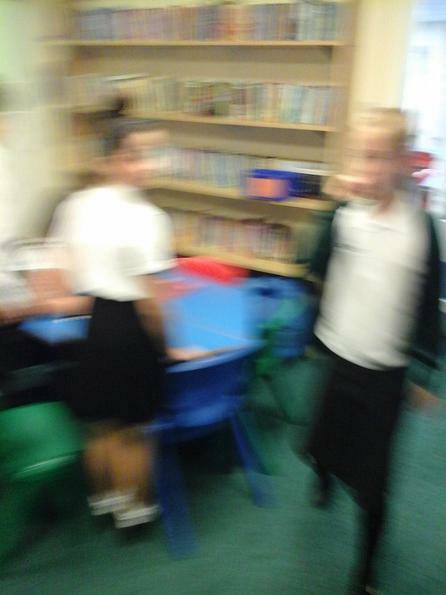 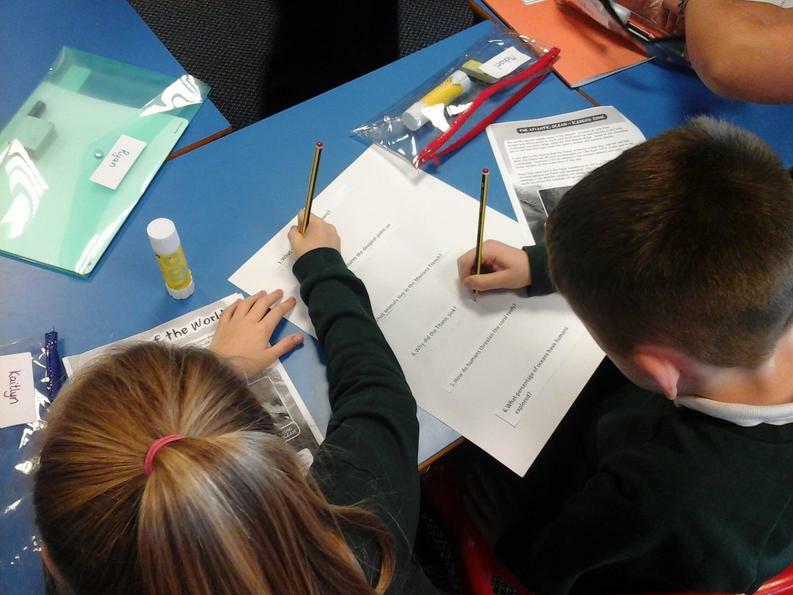 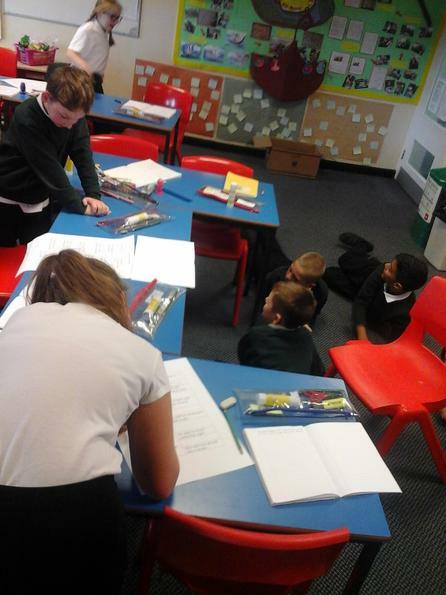 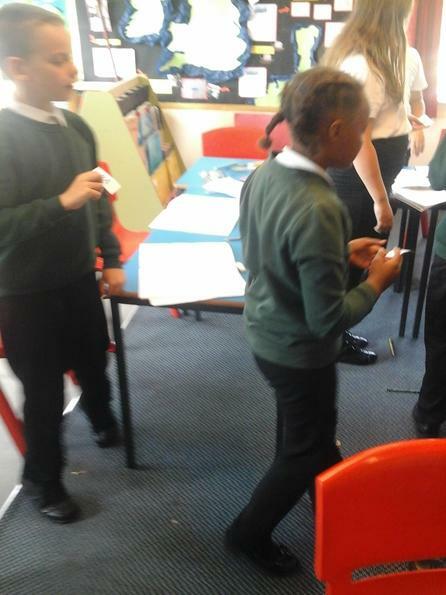 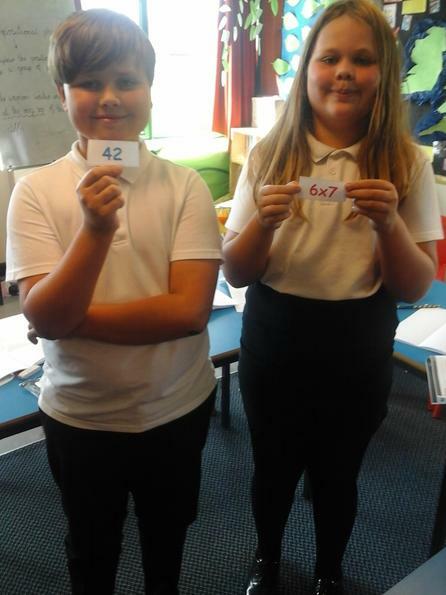 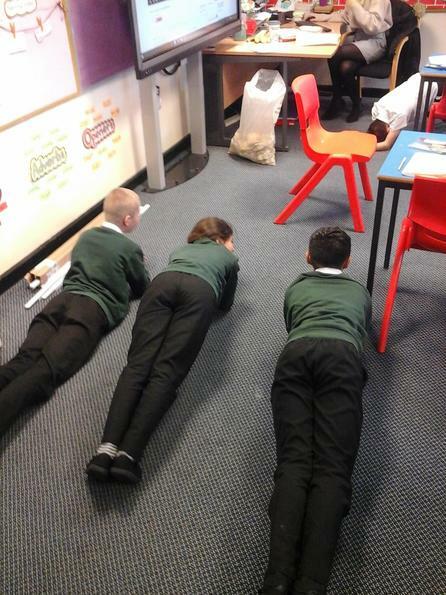 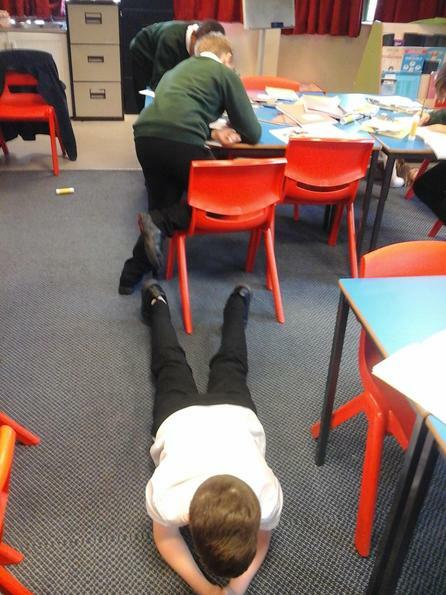 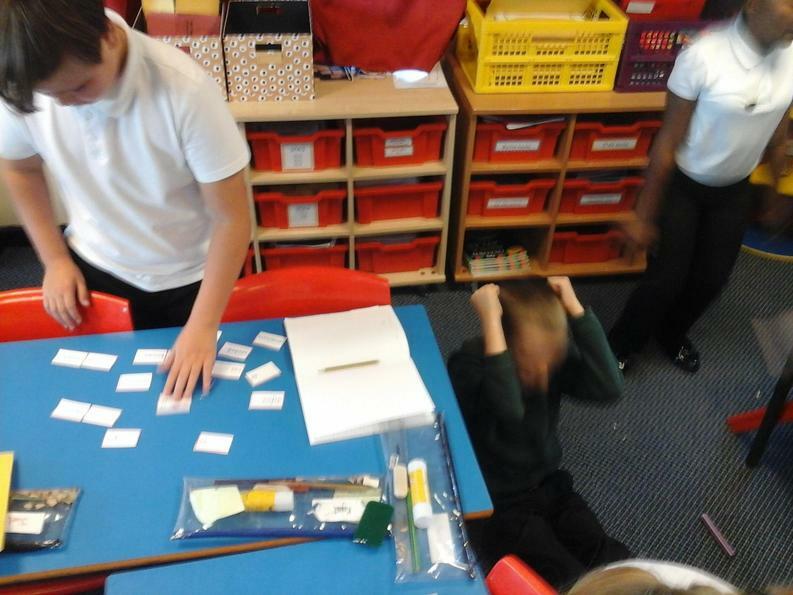 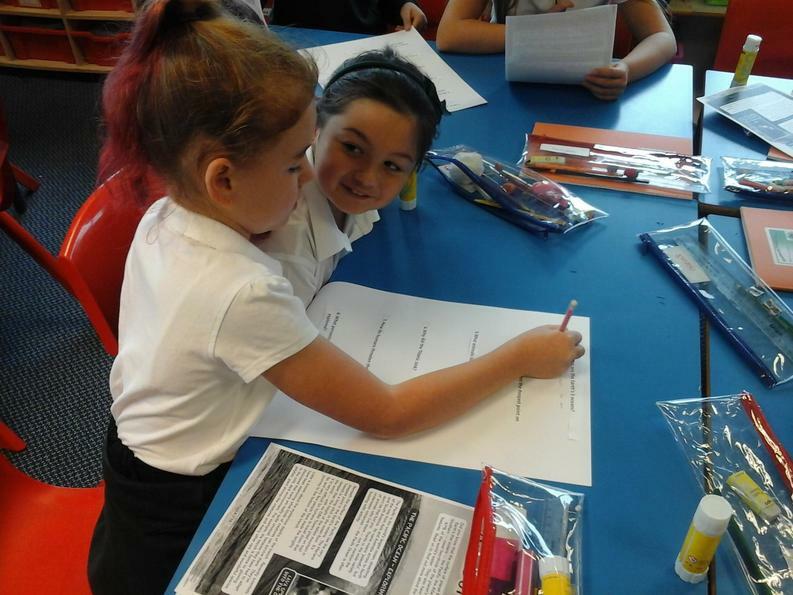 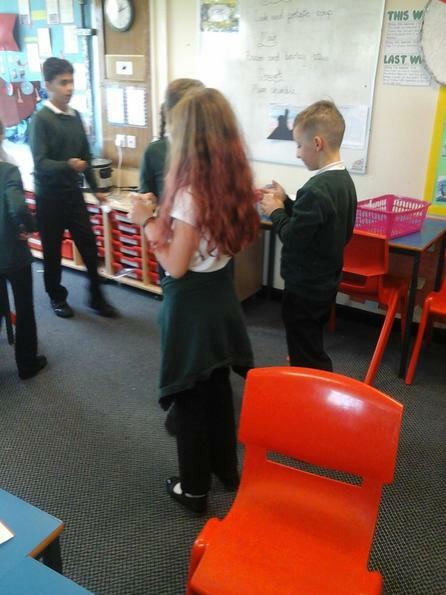 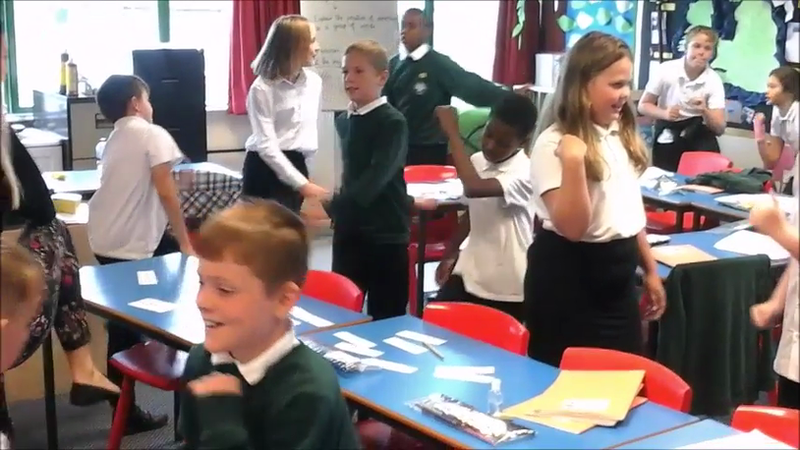 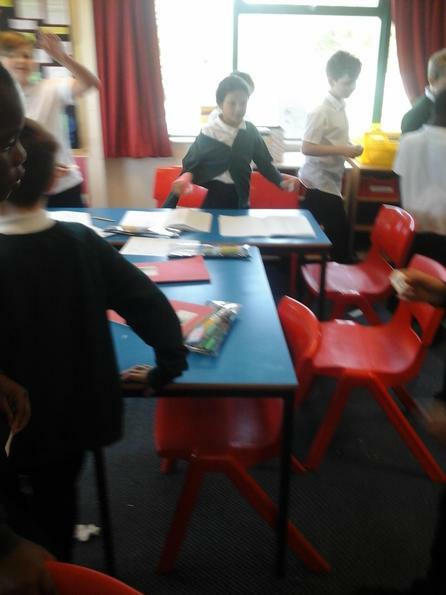 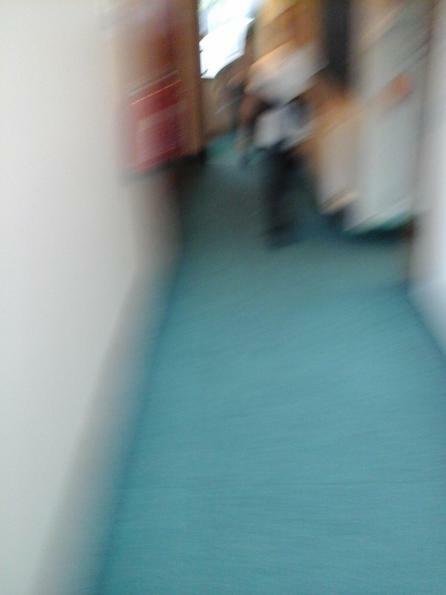 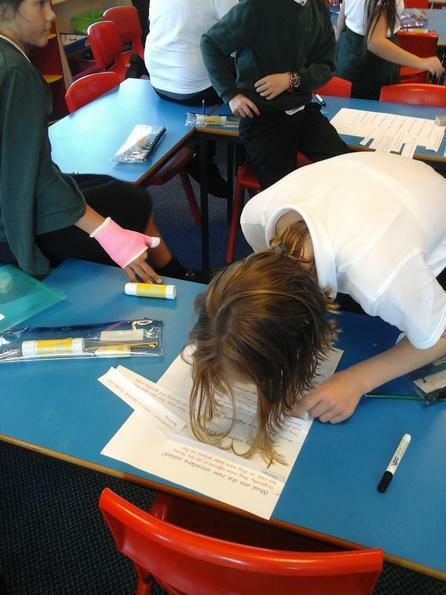 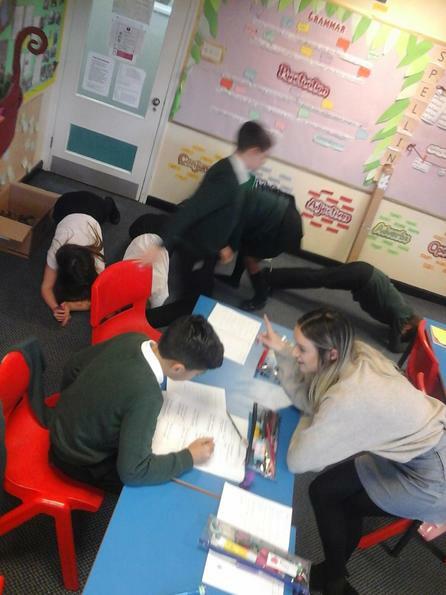 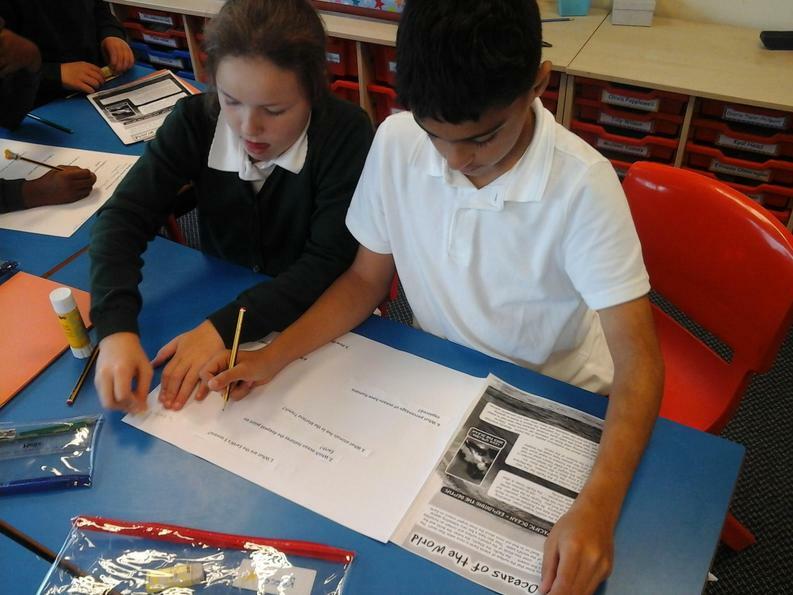 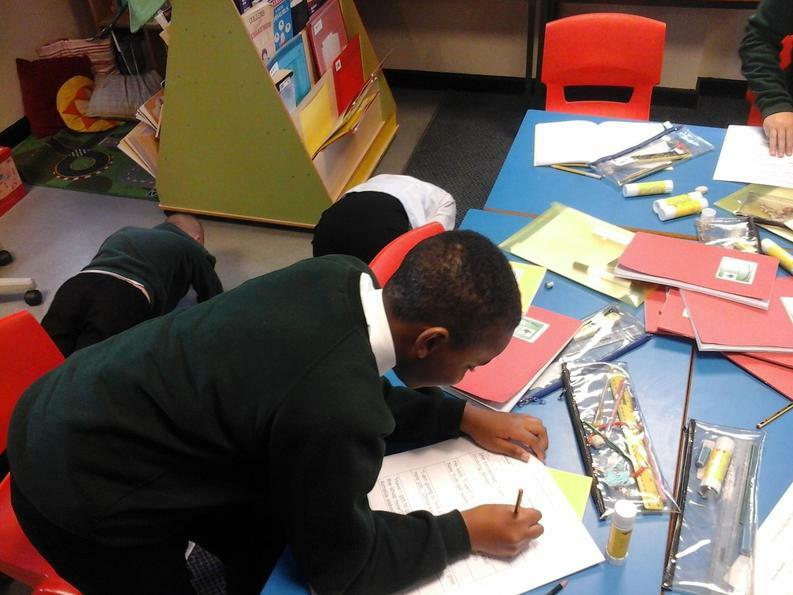 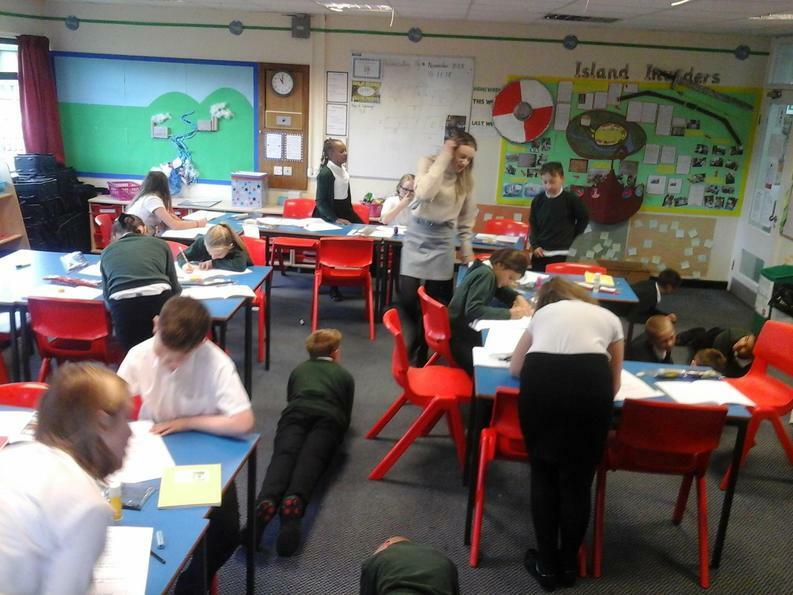 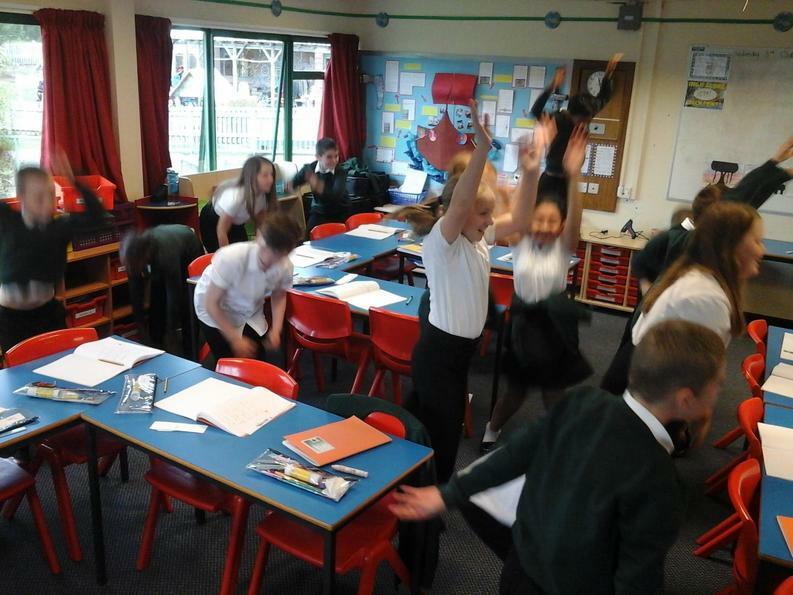 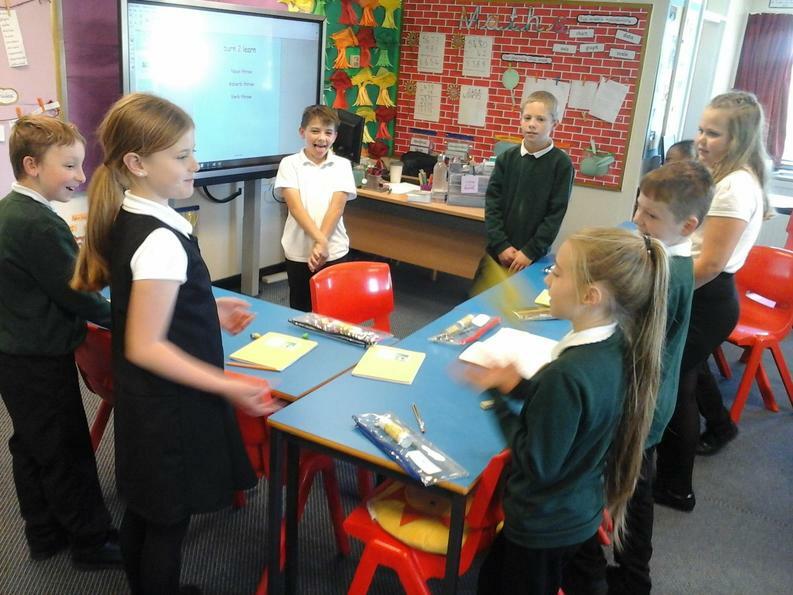 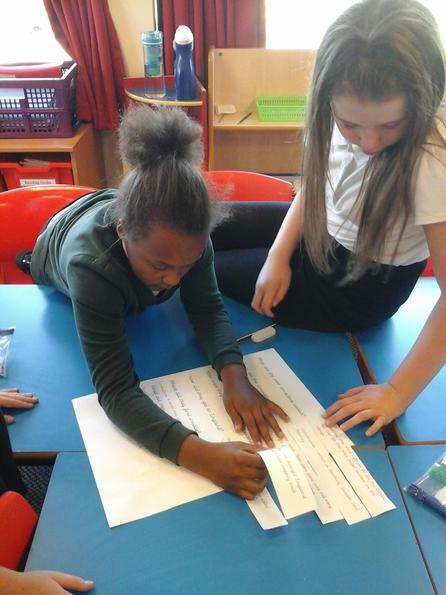 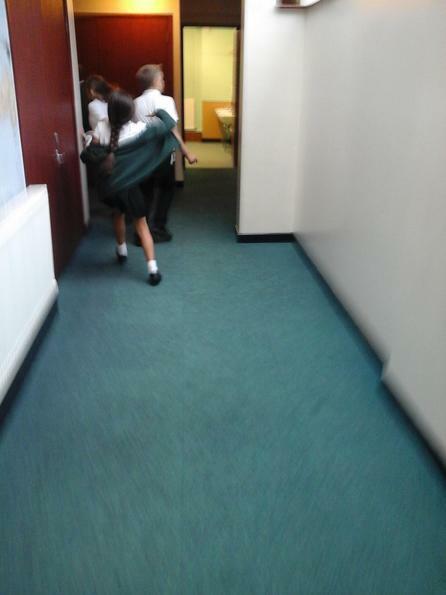 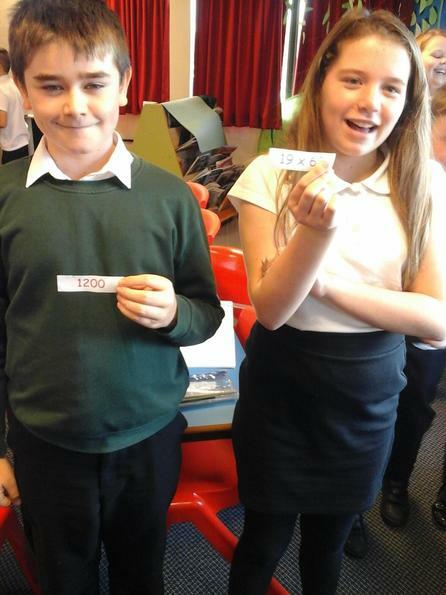 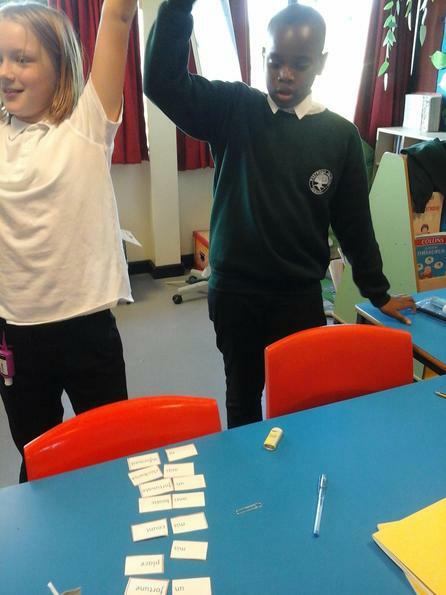 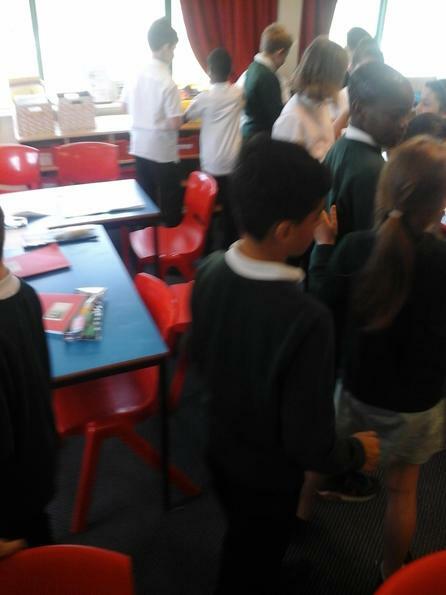 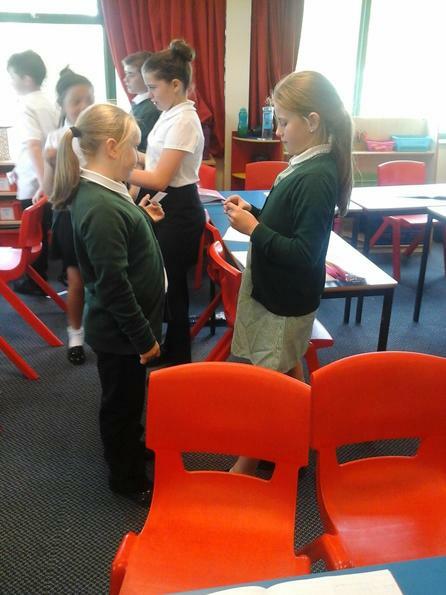 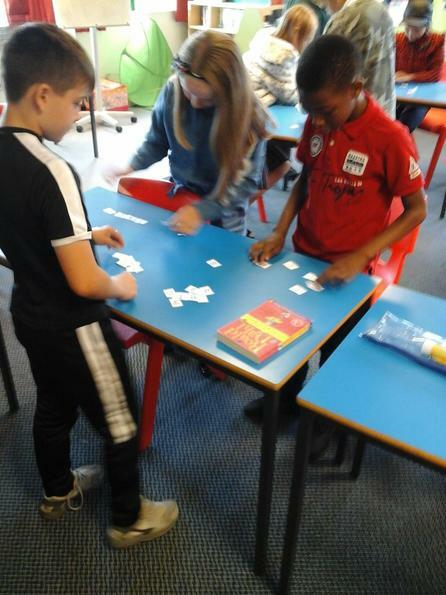 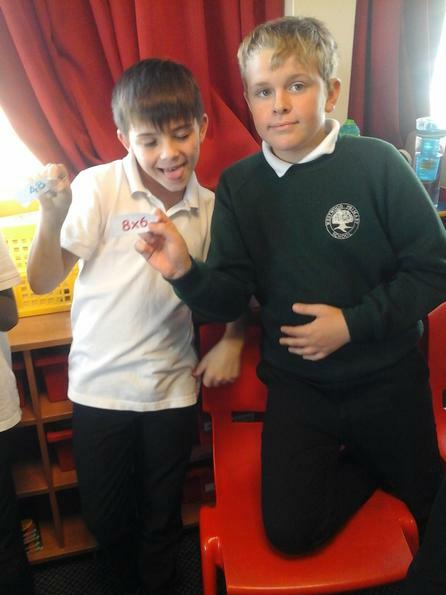 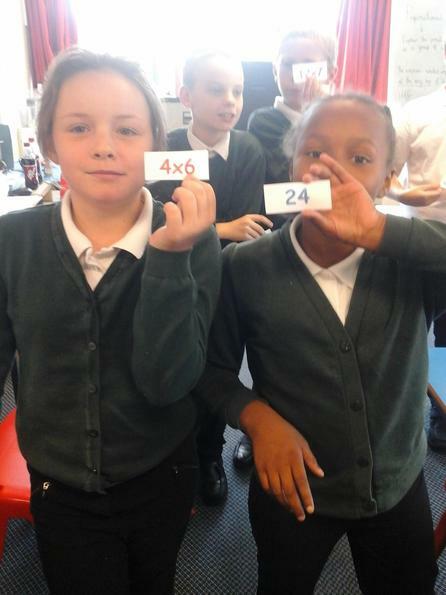 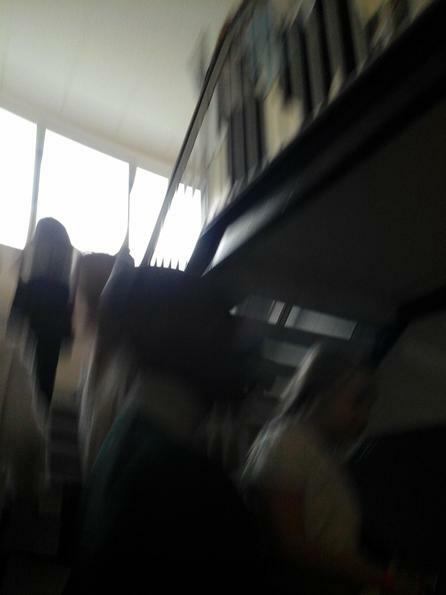 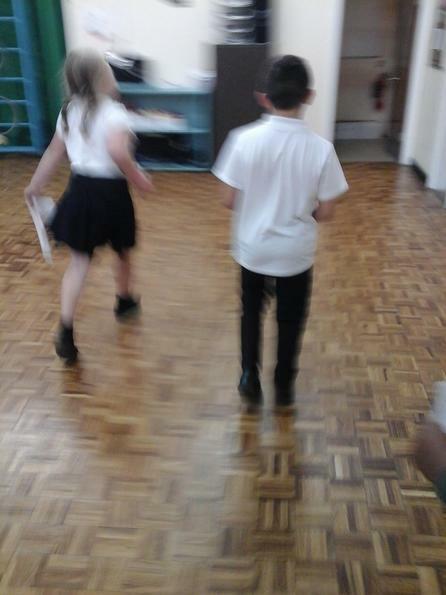 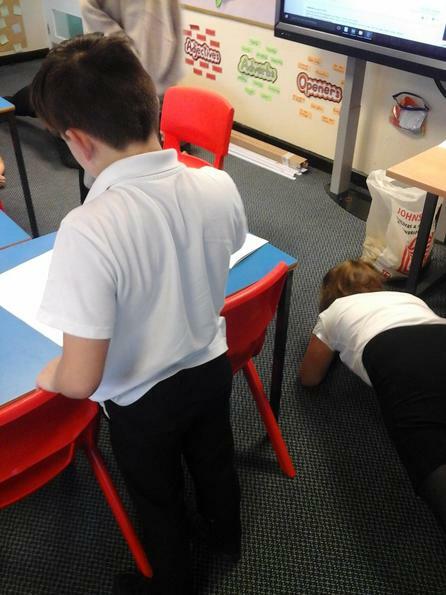 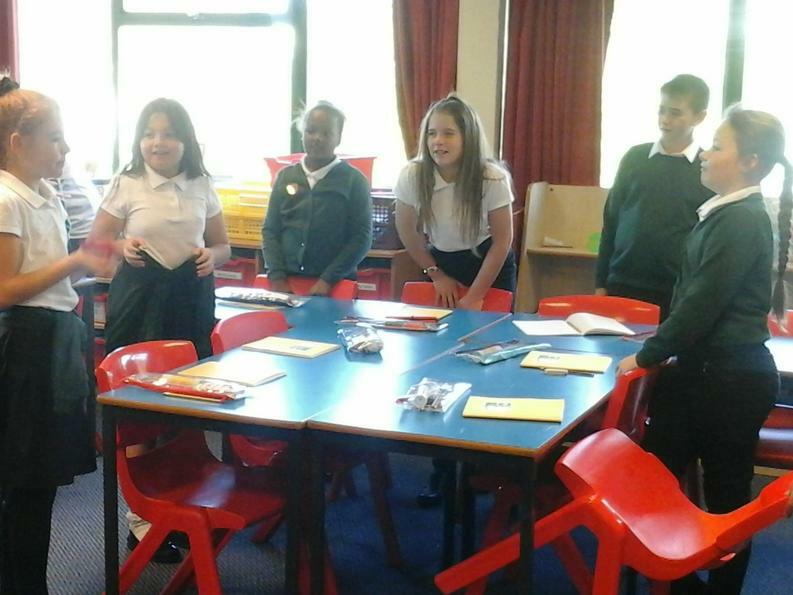 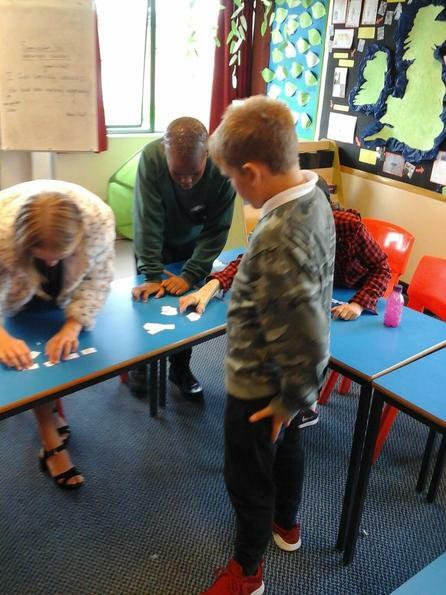 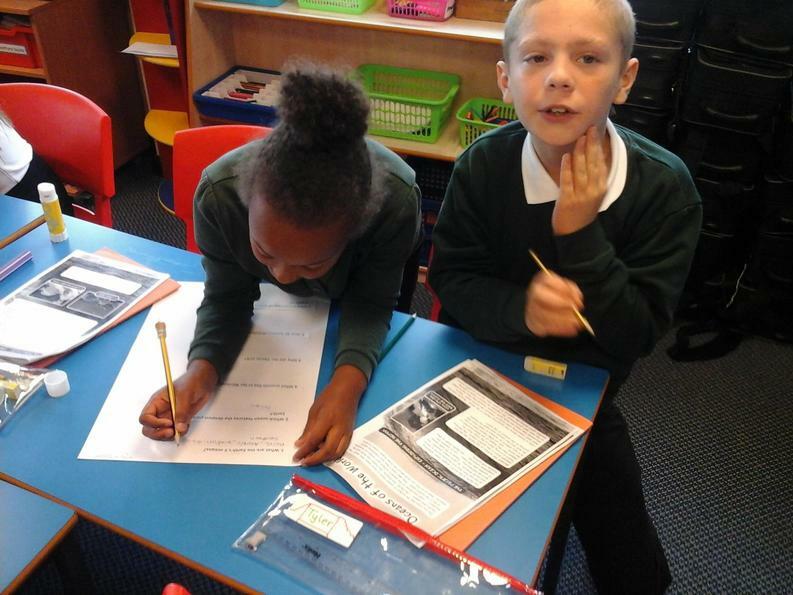 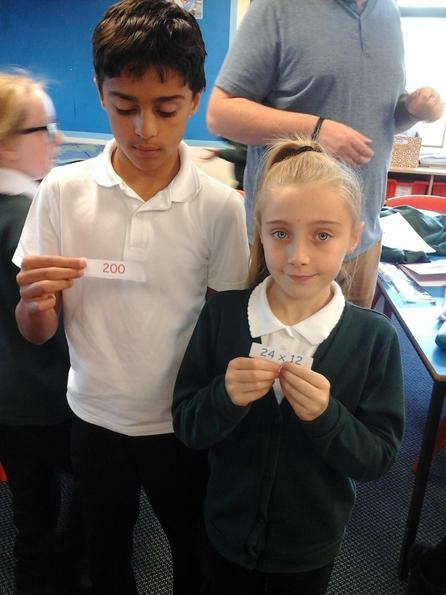 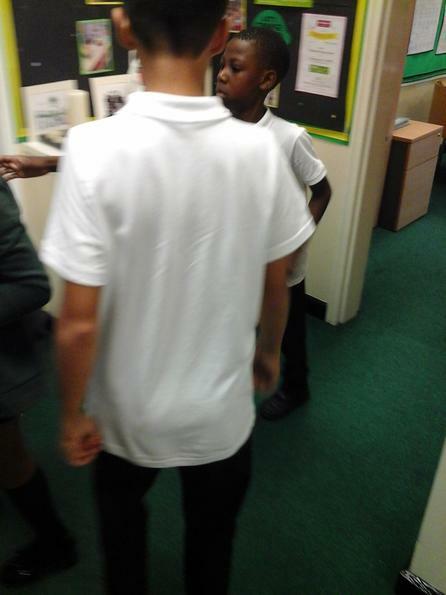 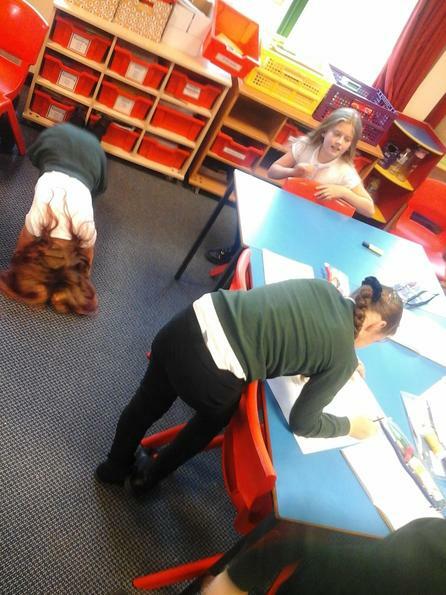 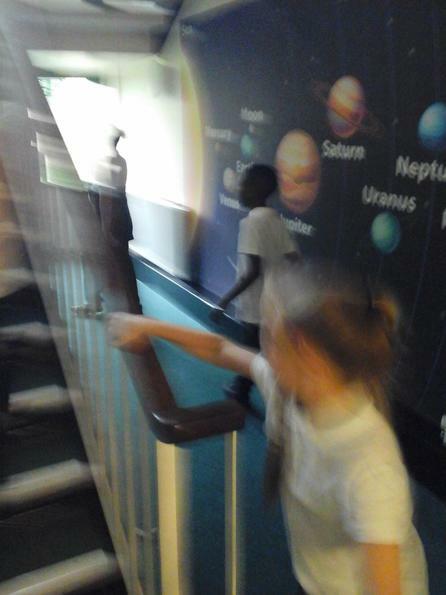 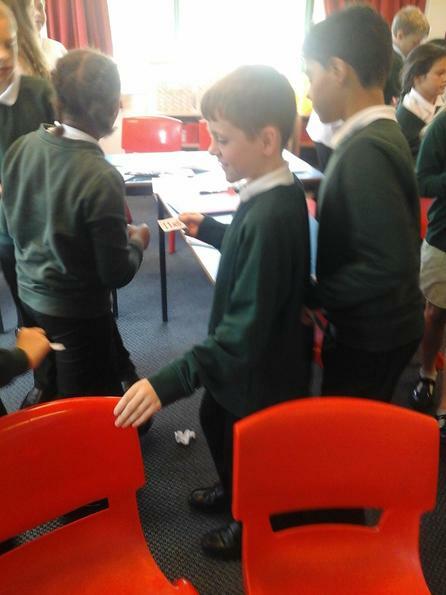 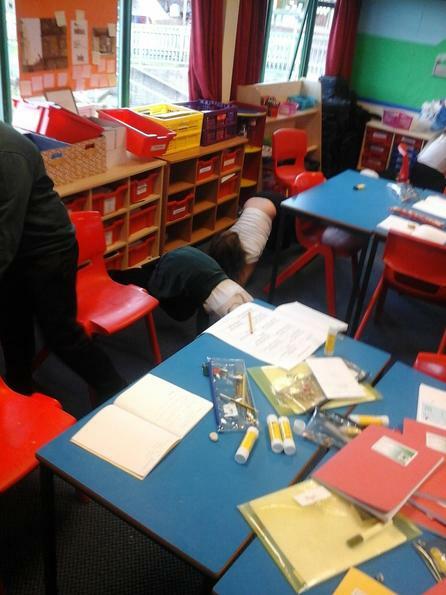 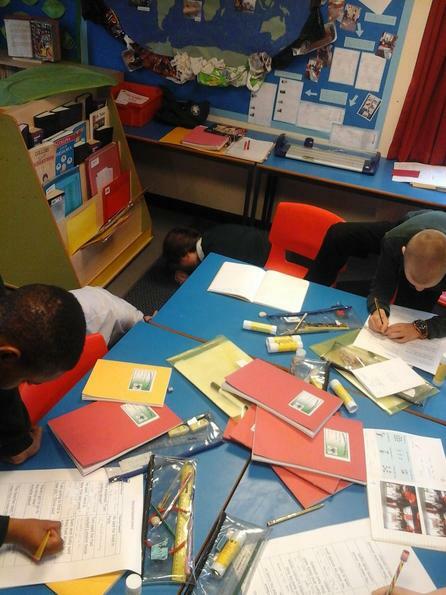 In this Burn 2 Learn, the children had to work in pairs to convert one into the other but while one partner was doing this, the other had to be holding a plank position on the floor.